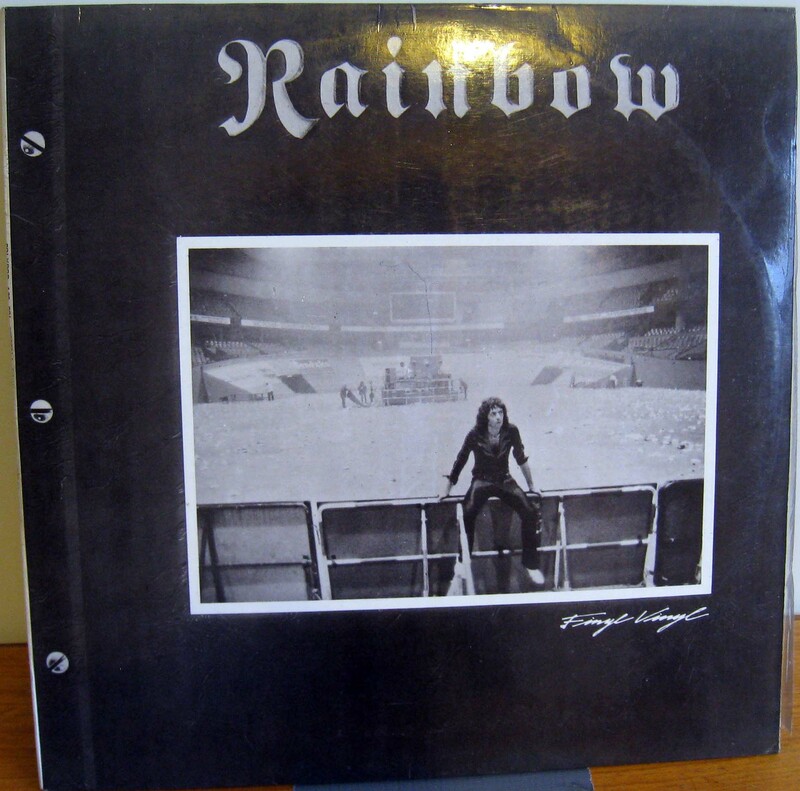 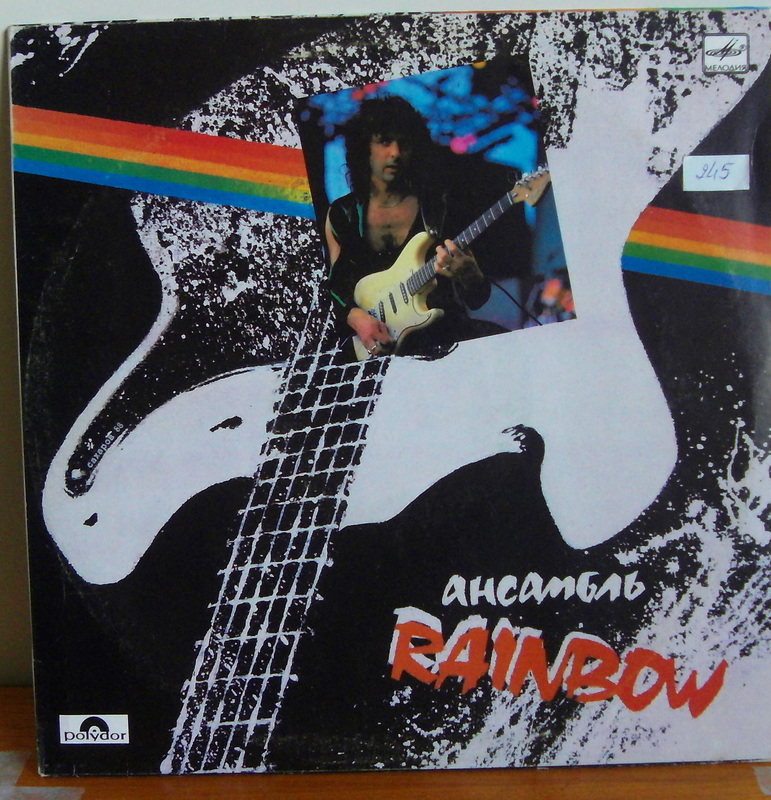 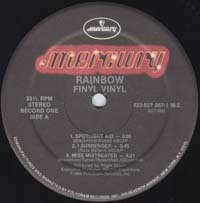 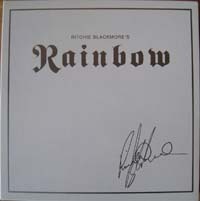 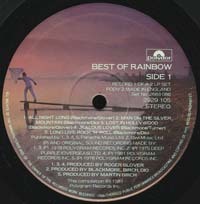 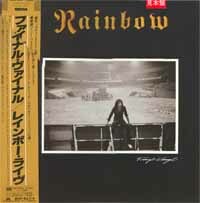 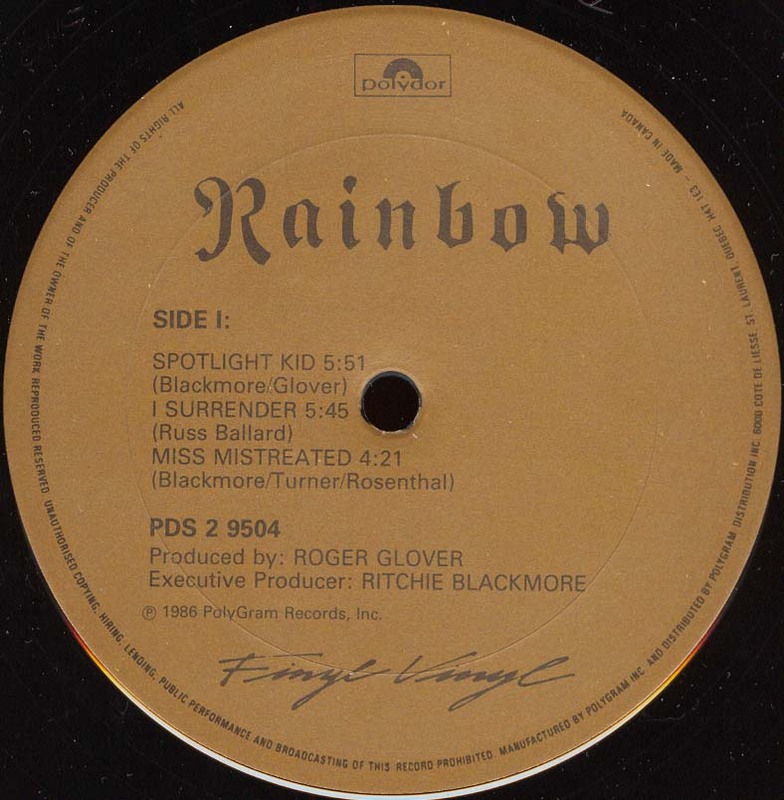 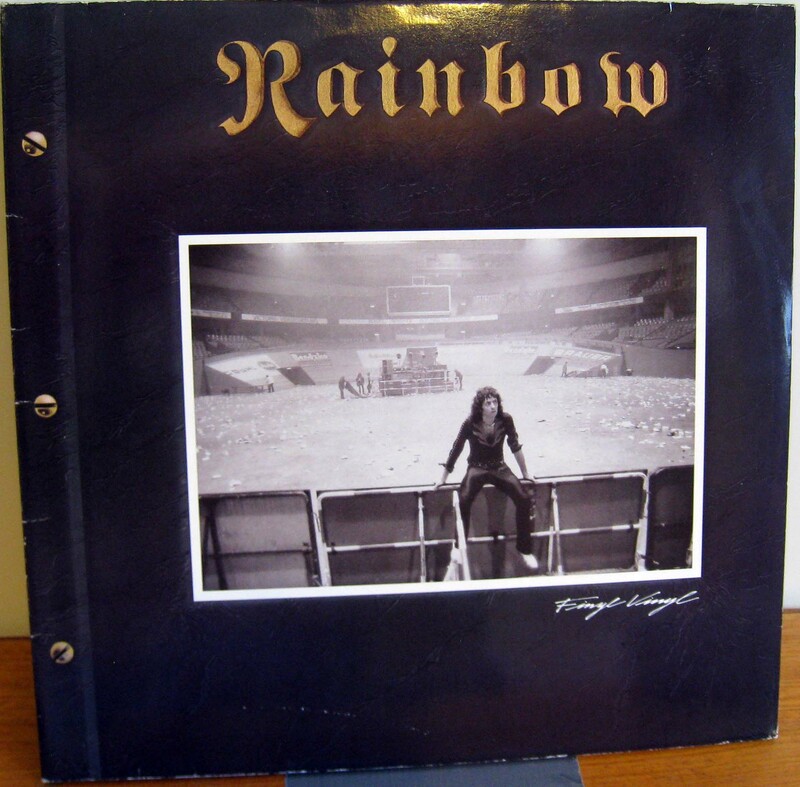 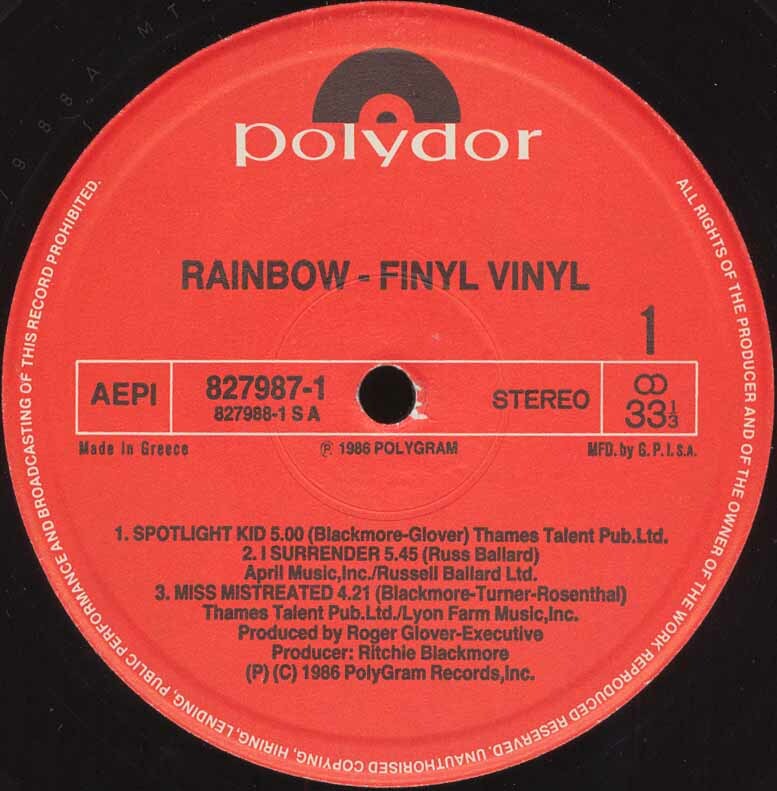 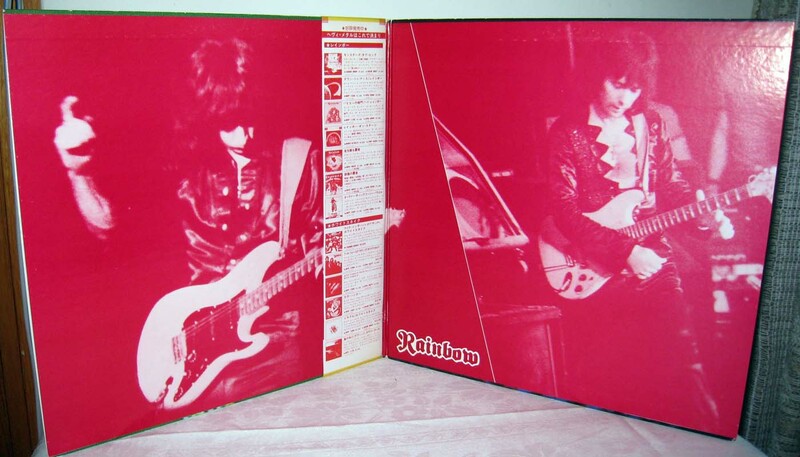 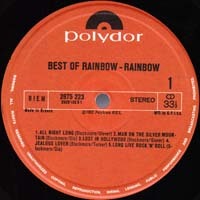 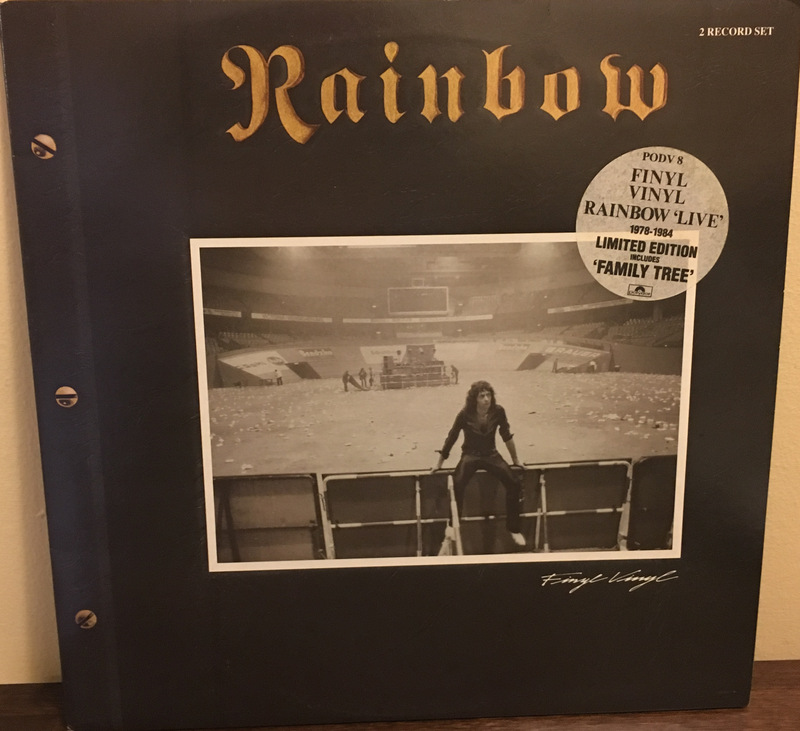 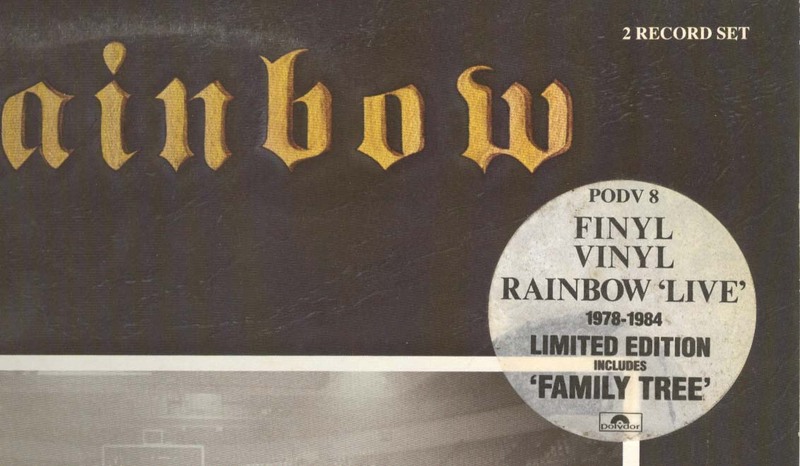 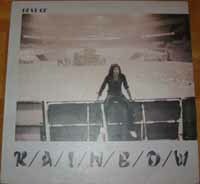 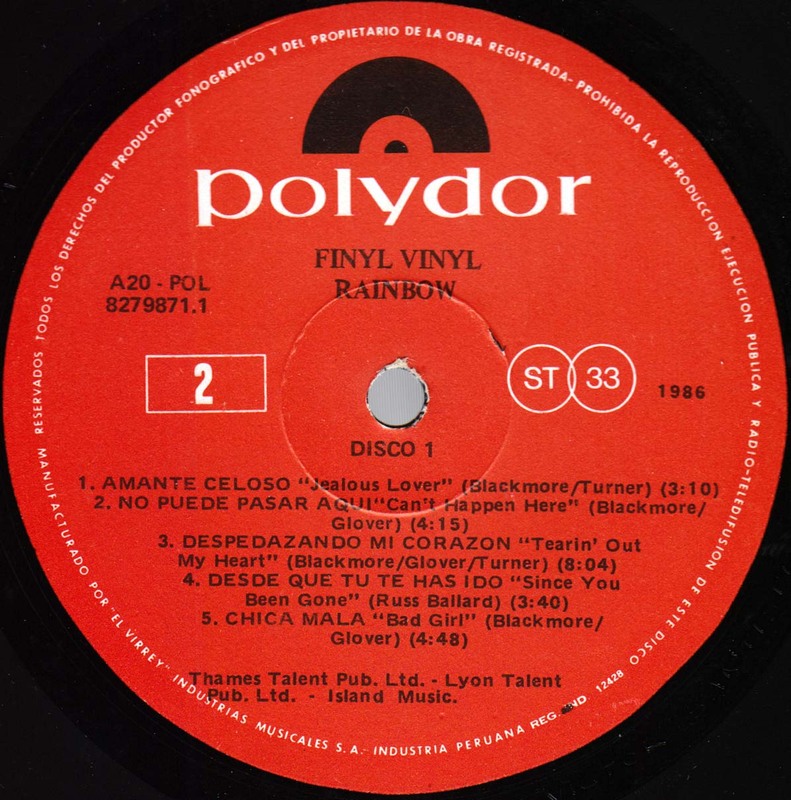 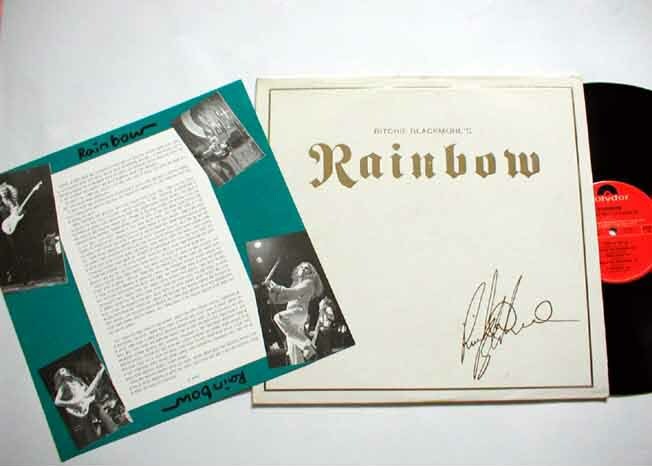 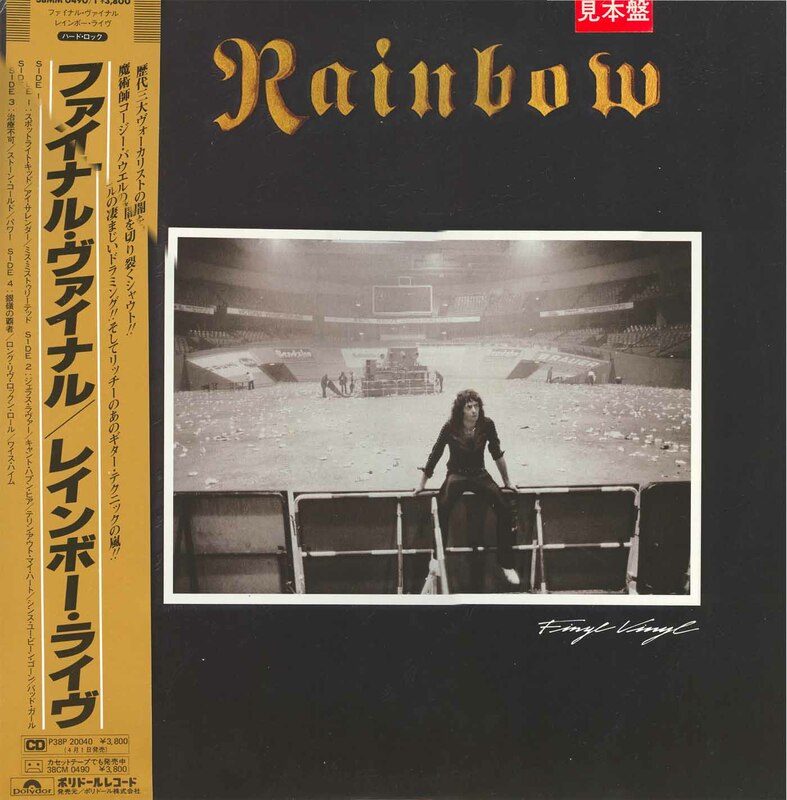 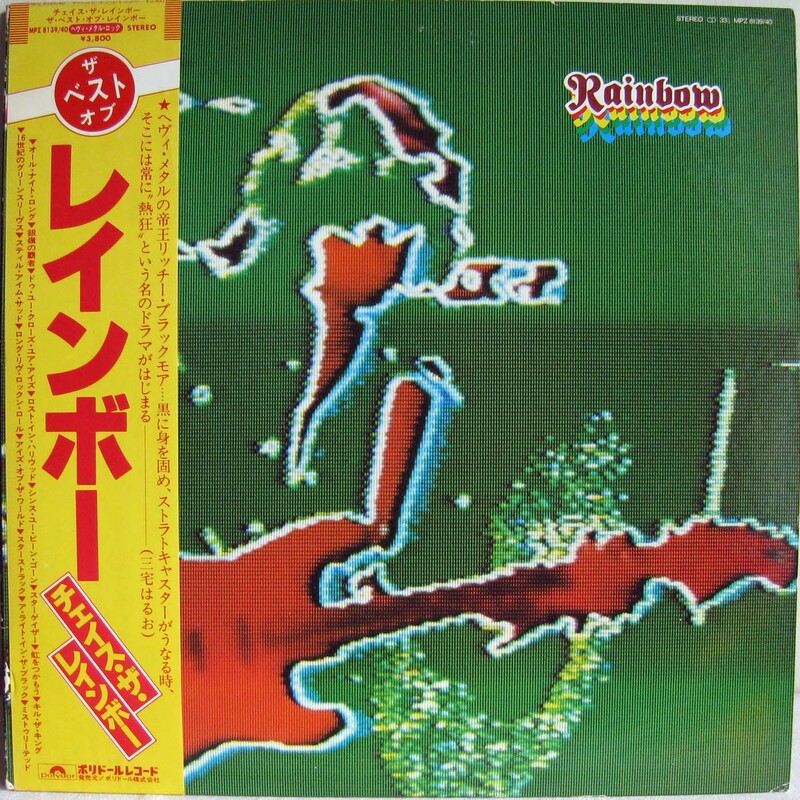 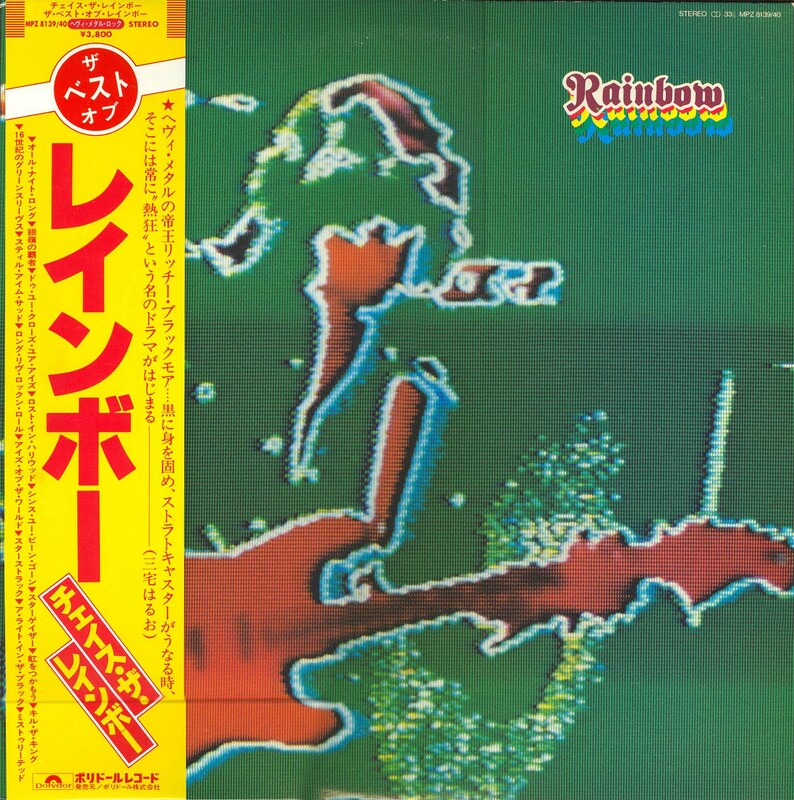 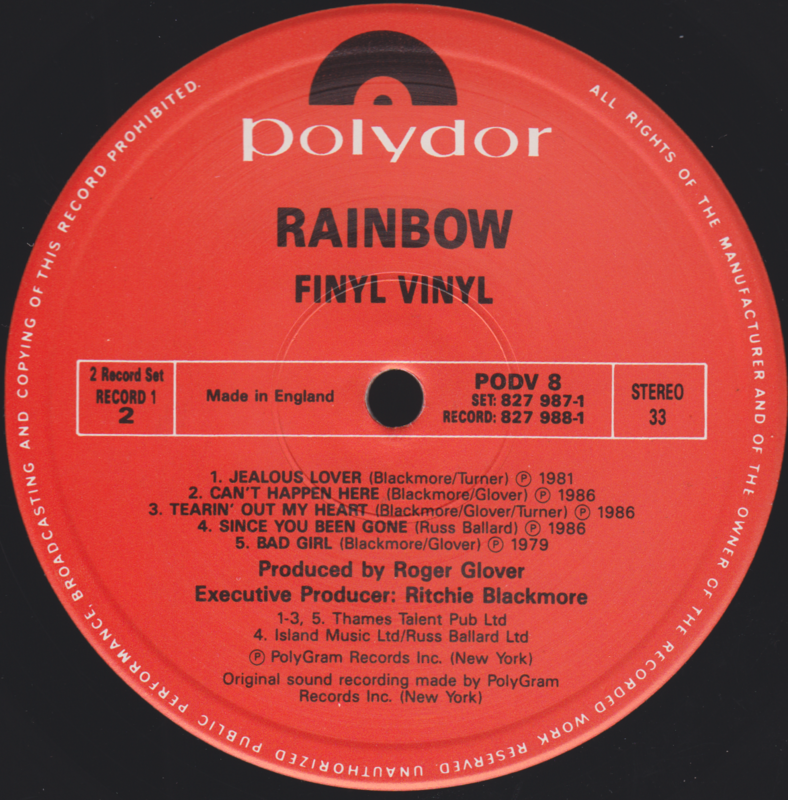 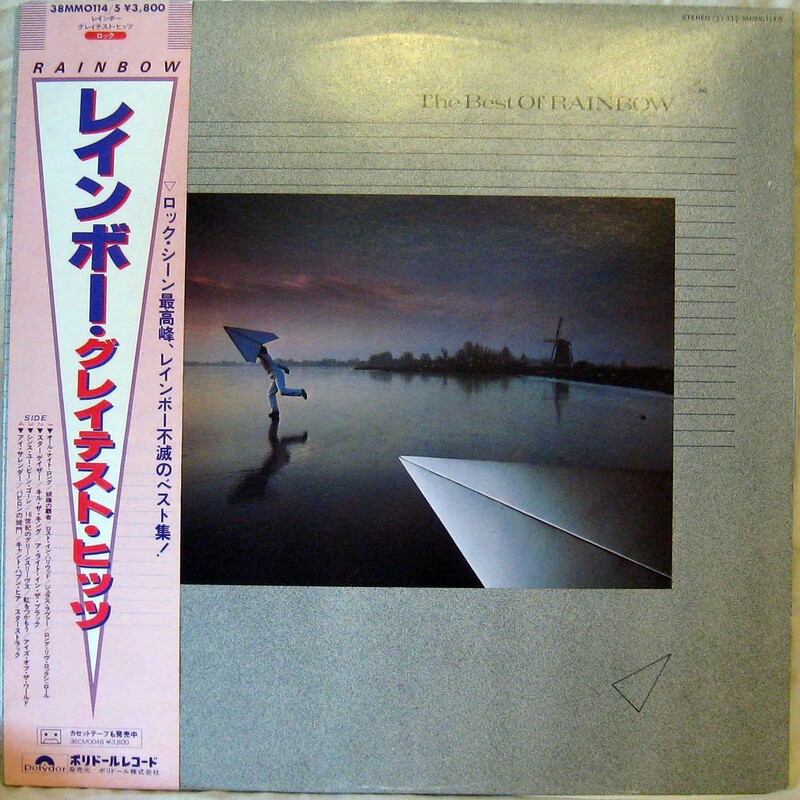 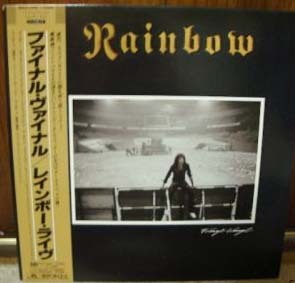 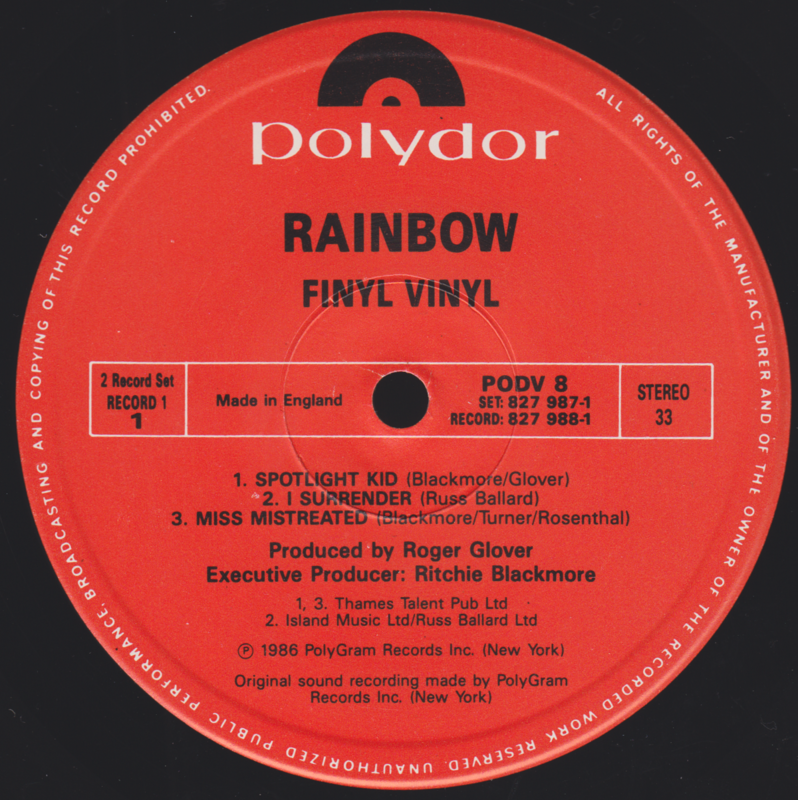 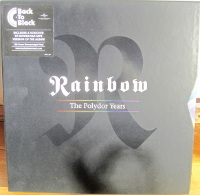 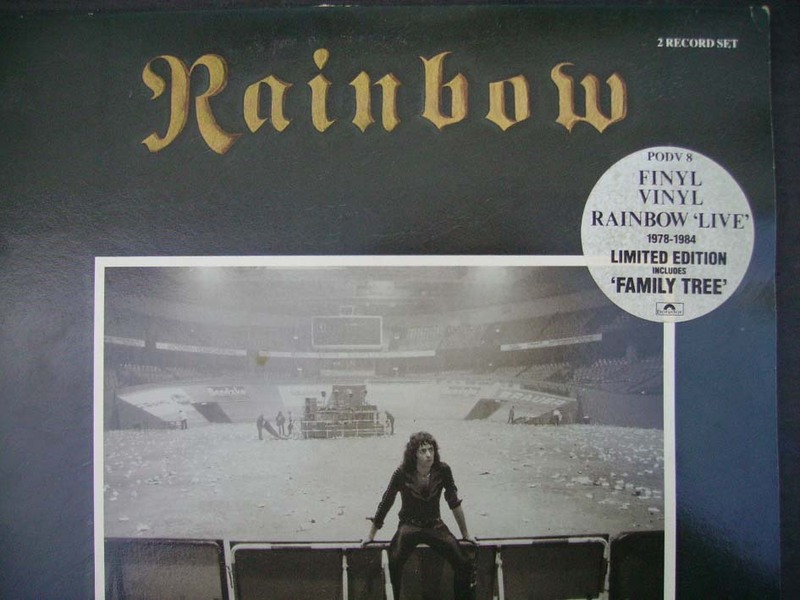 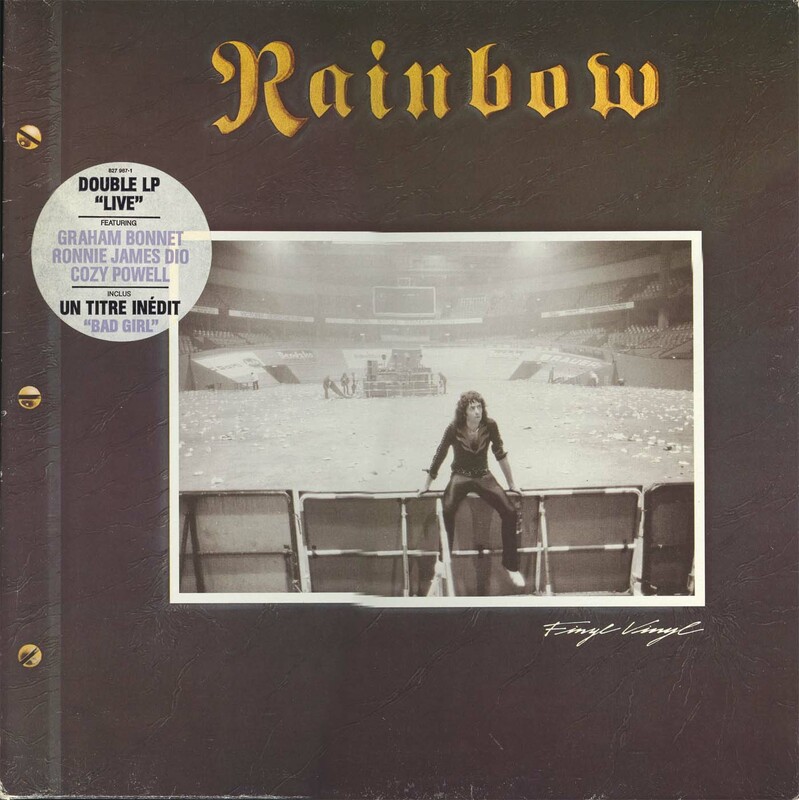 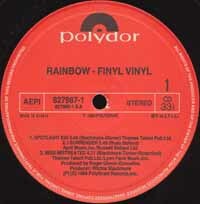 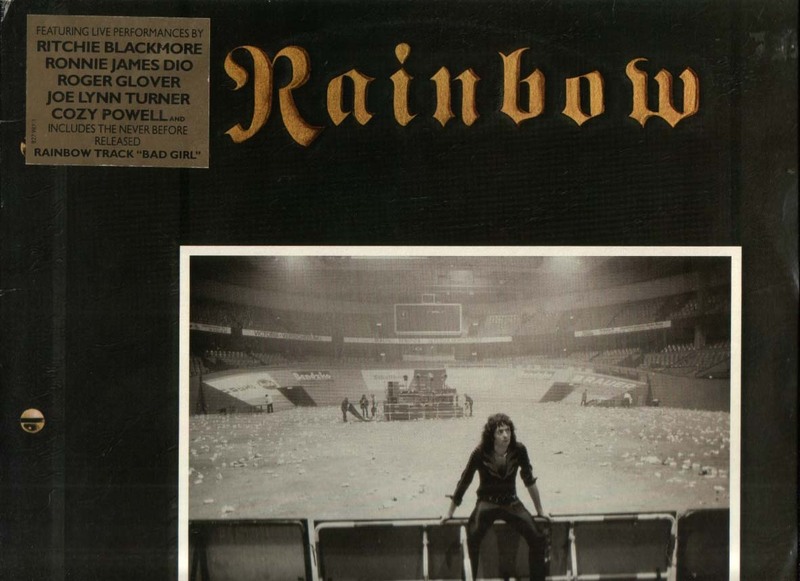 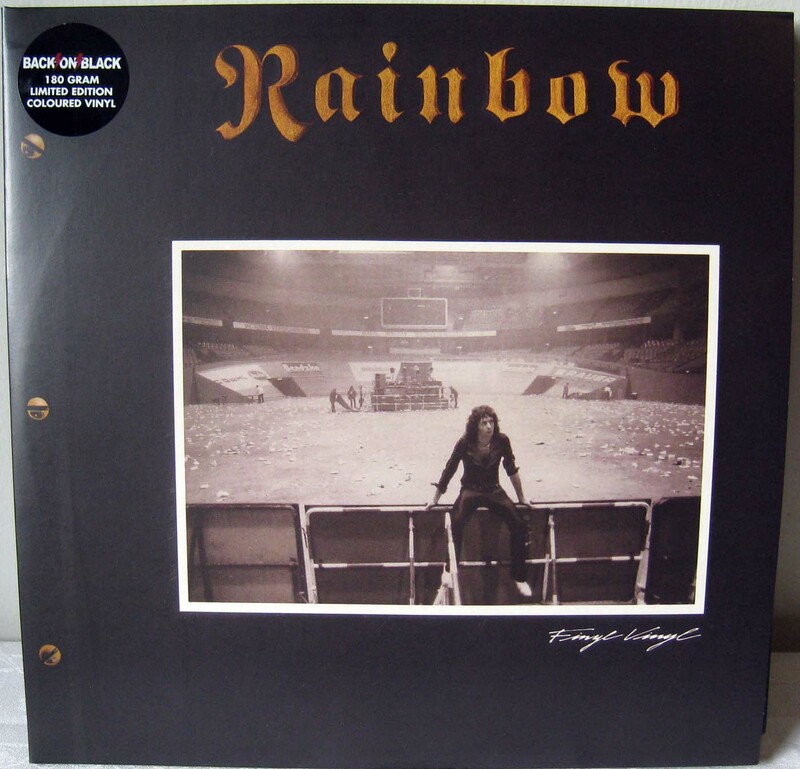 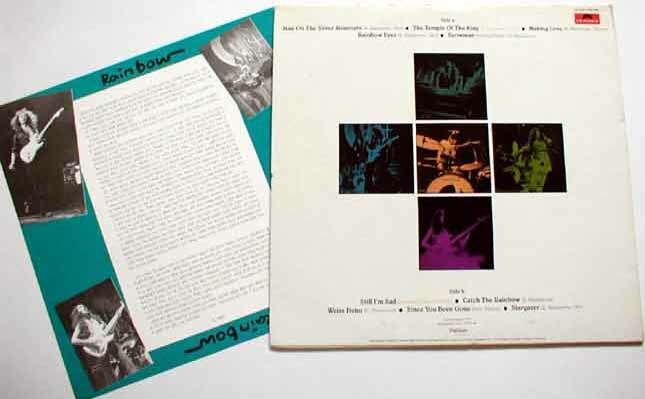 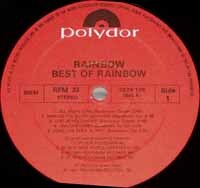 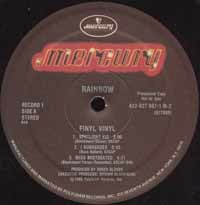 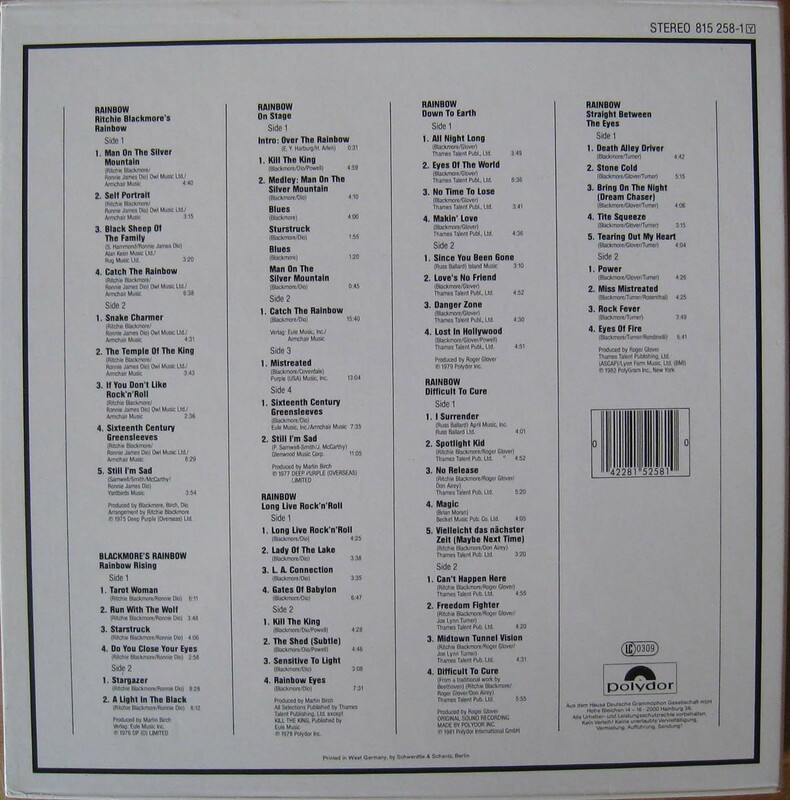 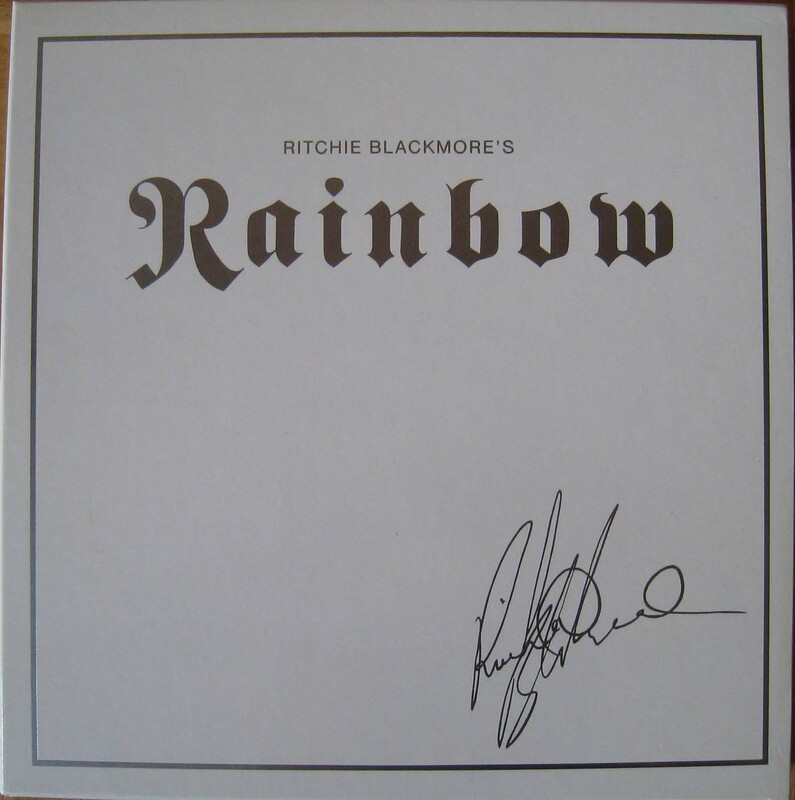 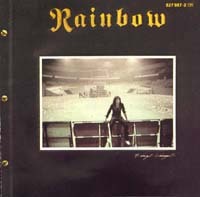 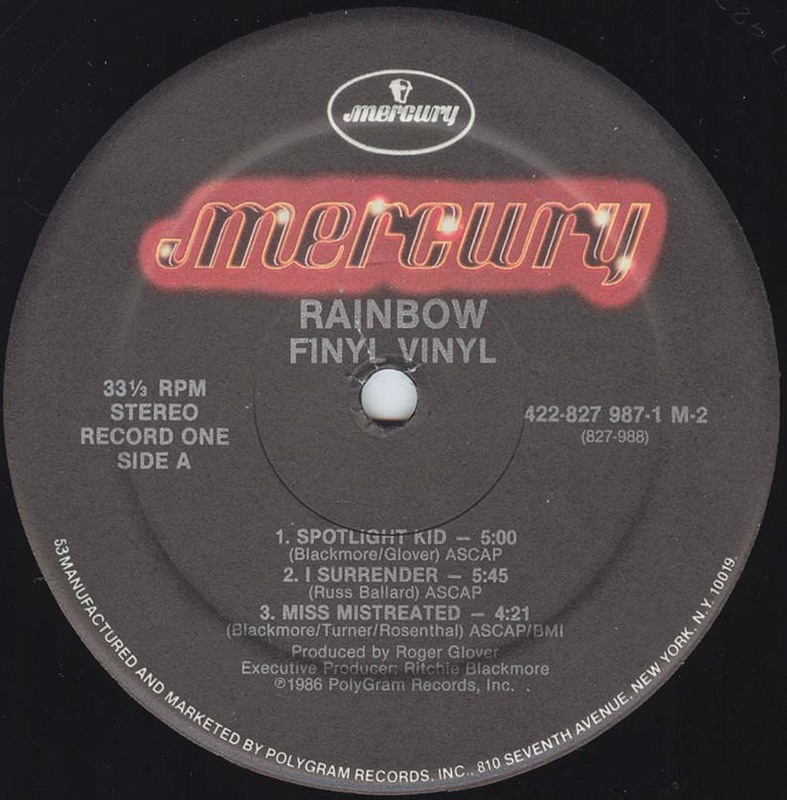 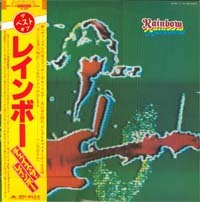 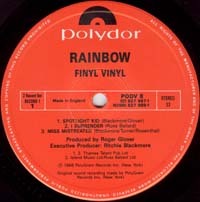 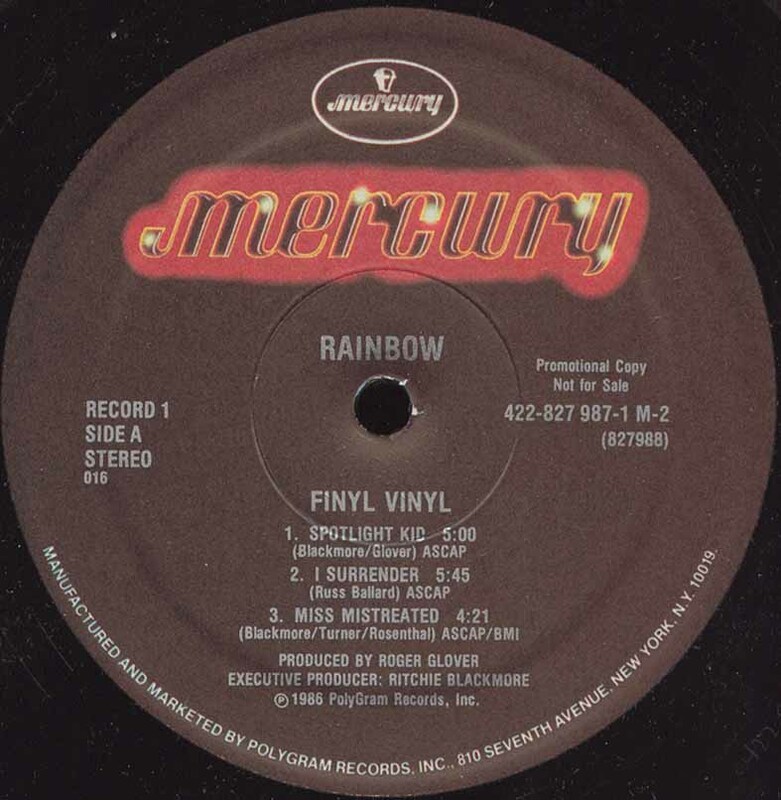 These are Rainbow's compilation LPs with at least one track from Rainbow's days with Ronnie James Dio. 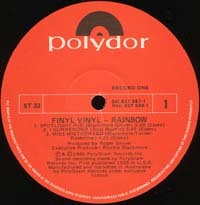 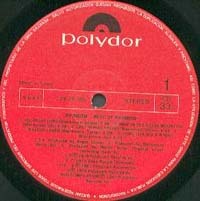 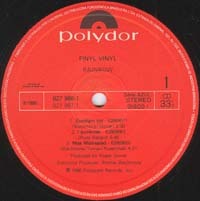 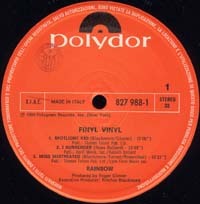 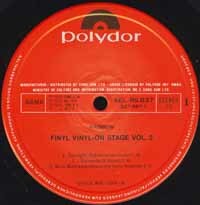 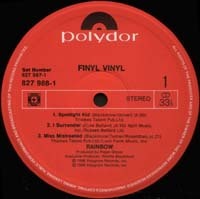 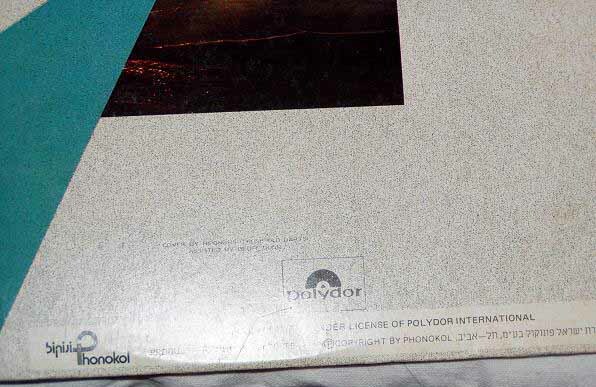 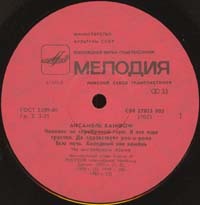 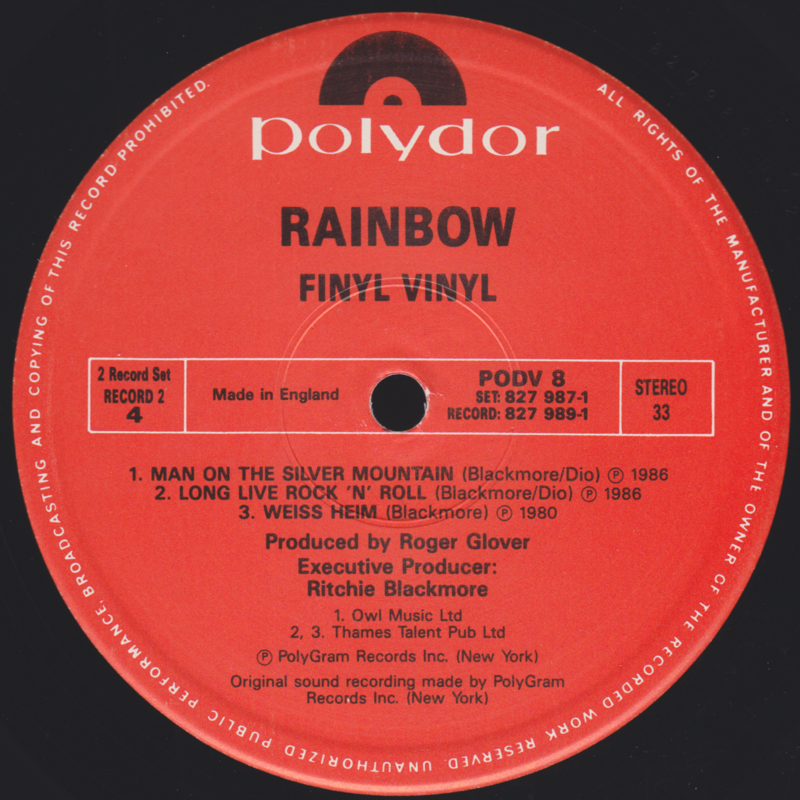 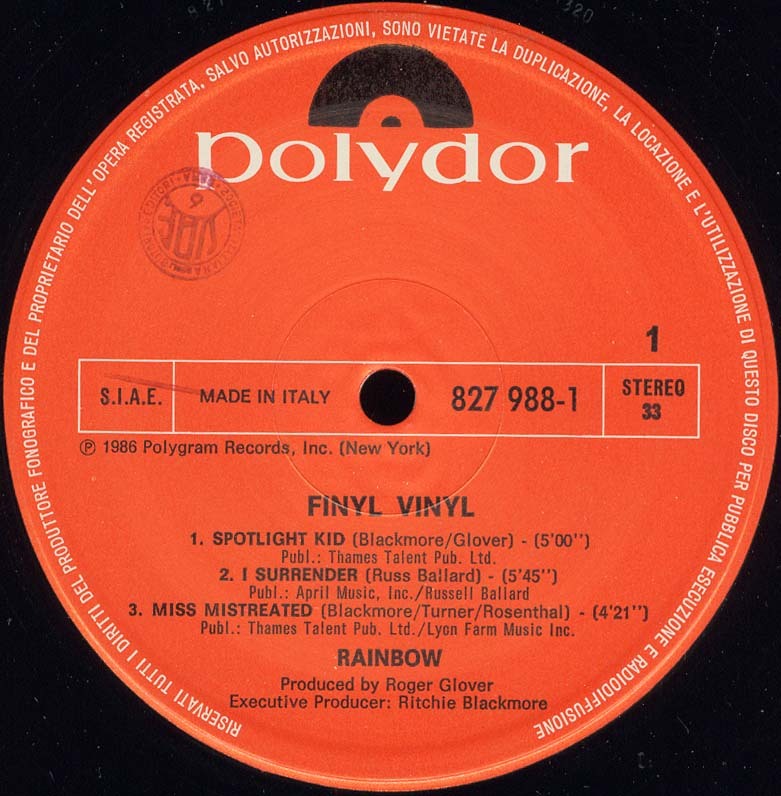 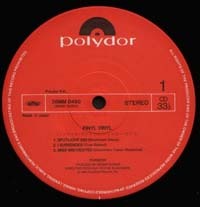 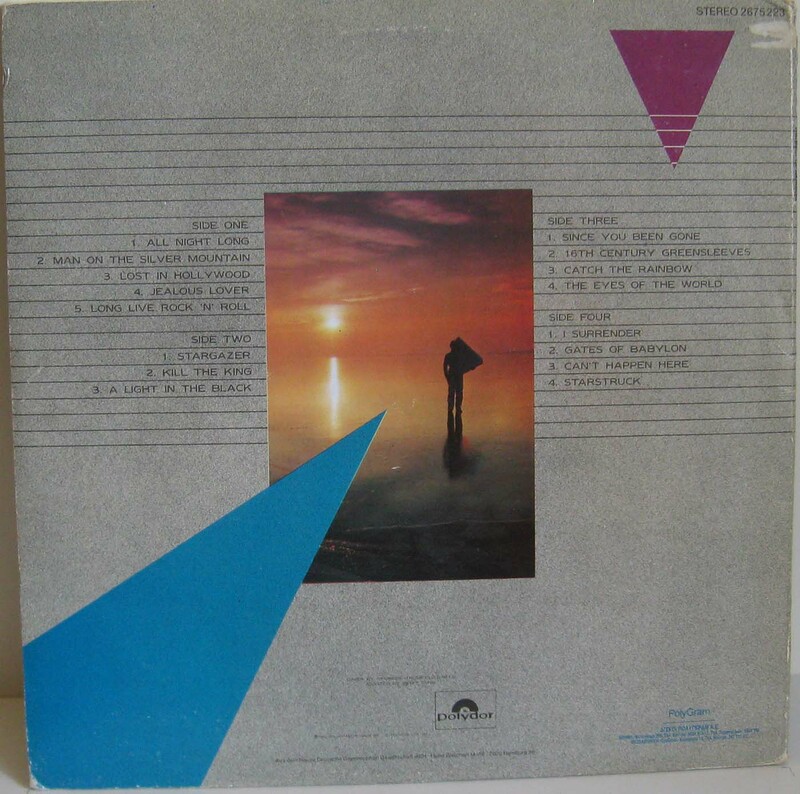 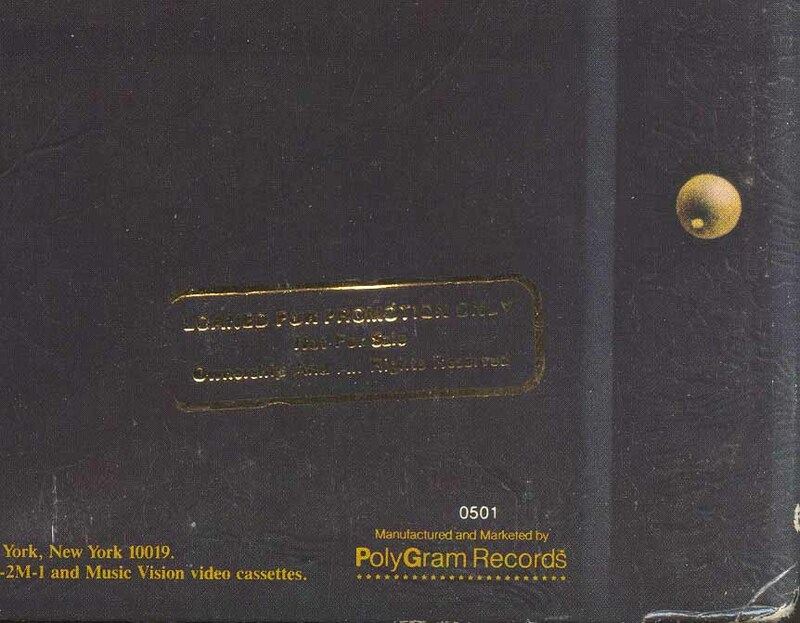 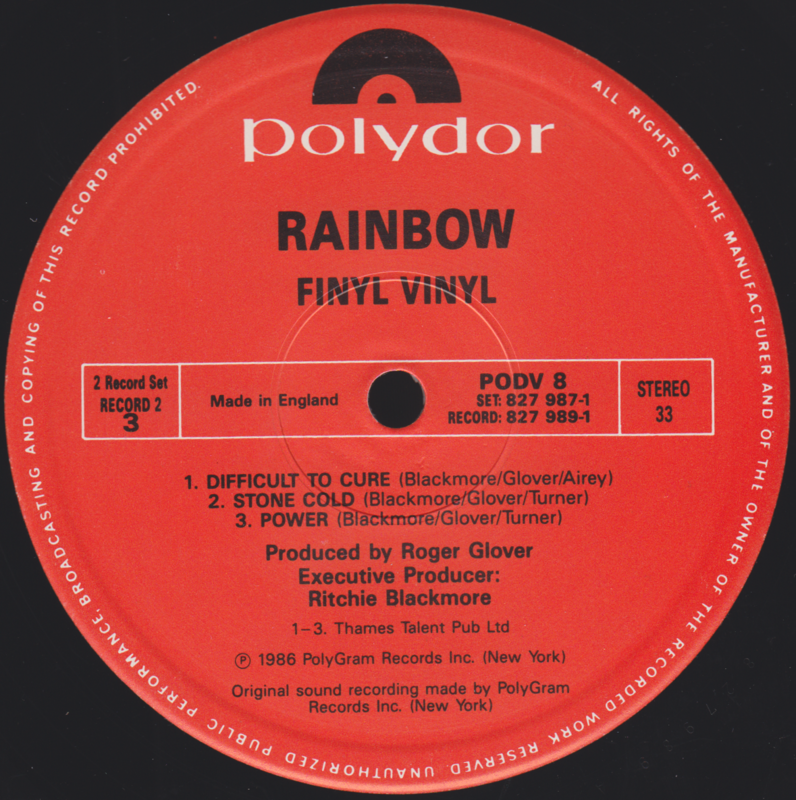 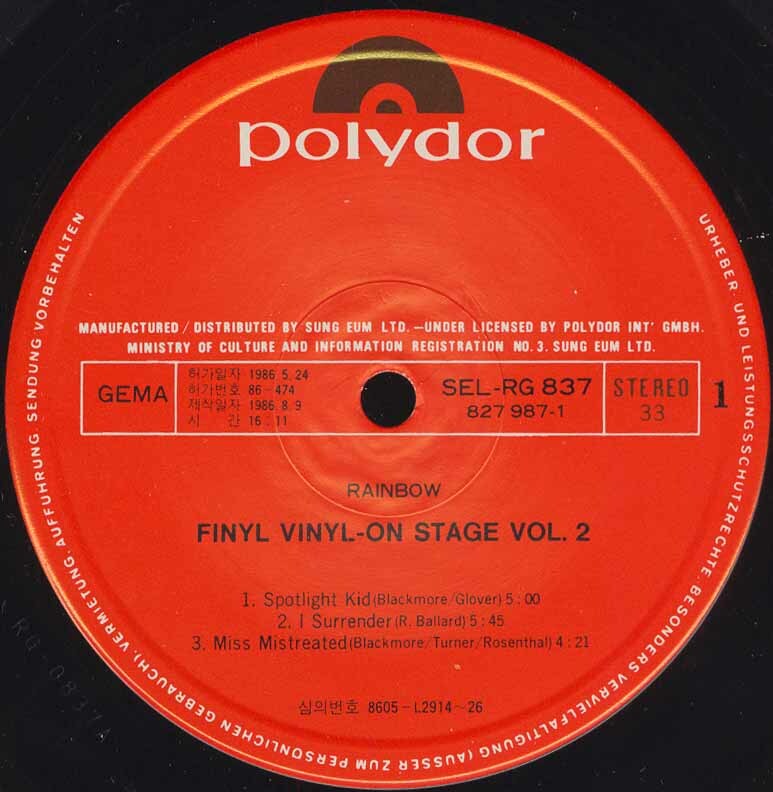 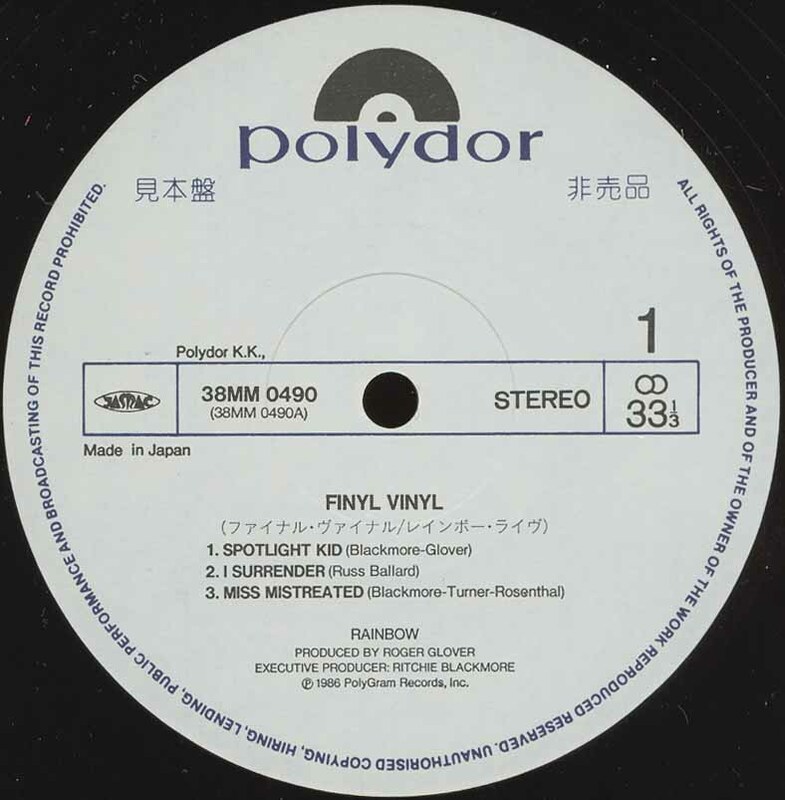 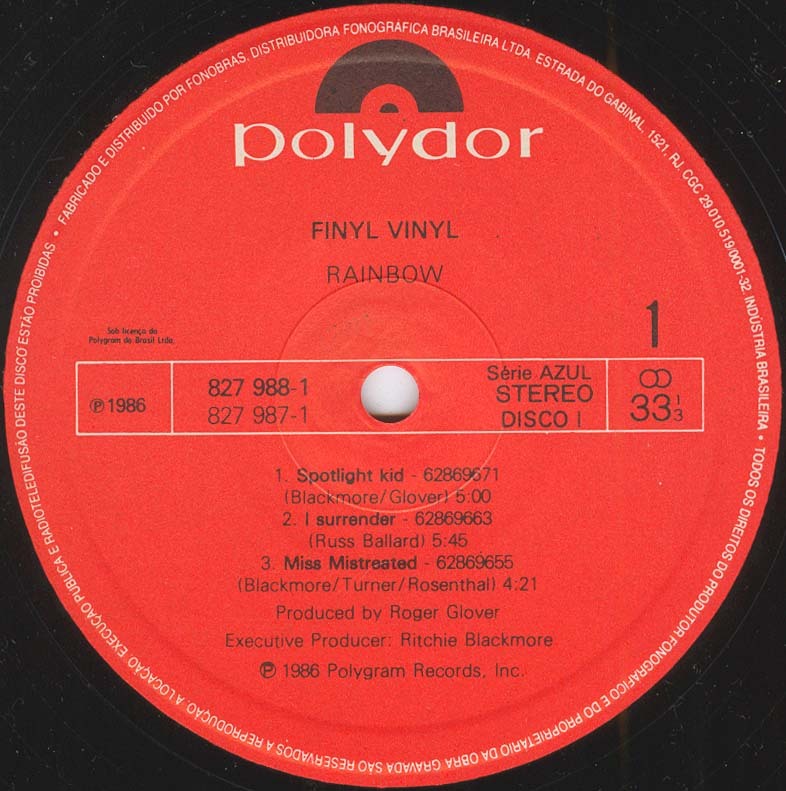 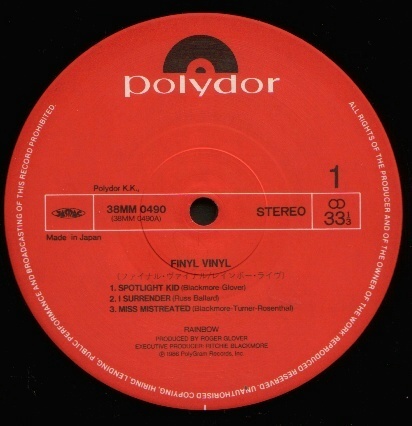 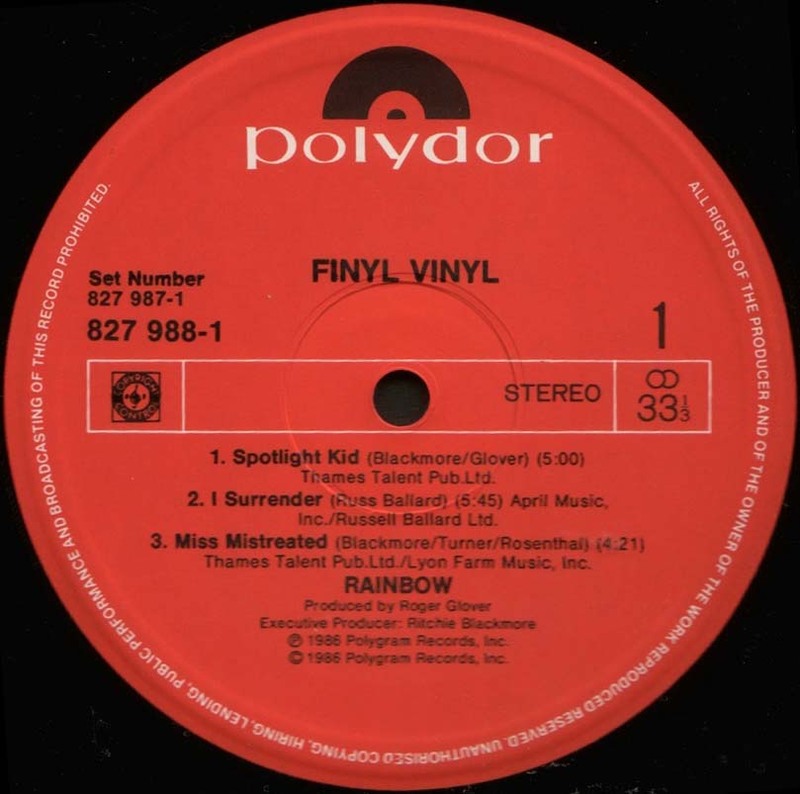 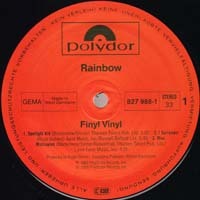 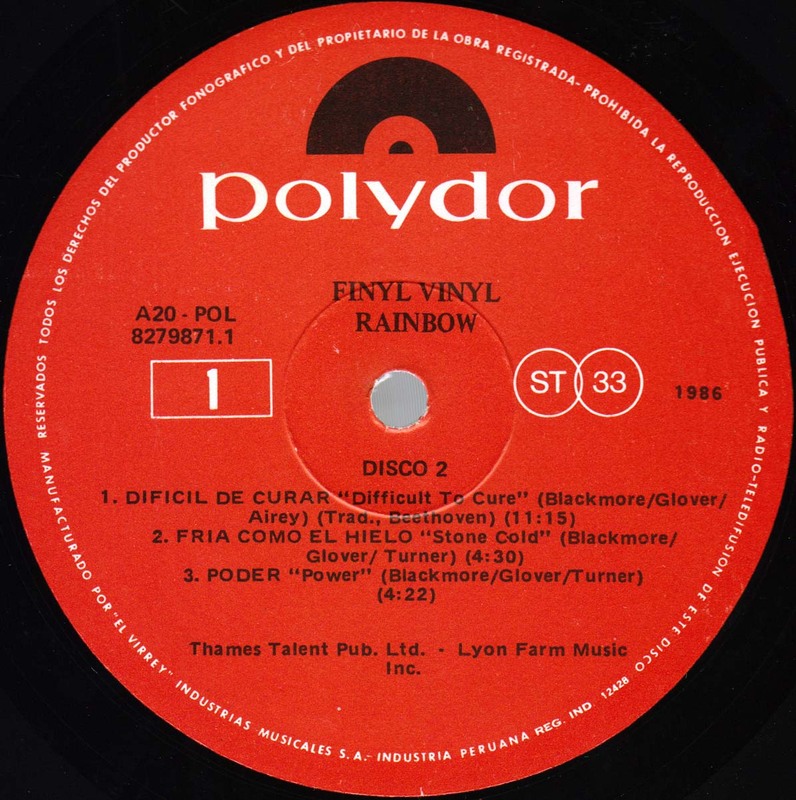 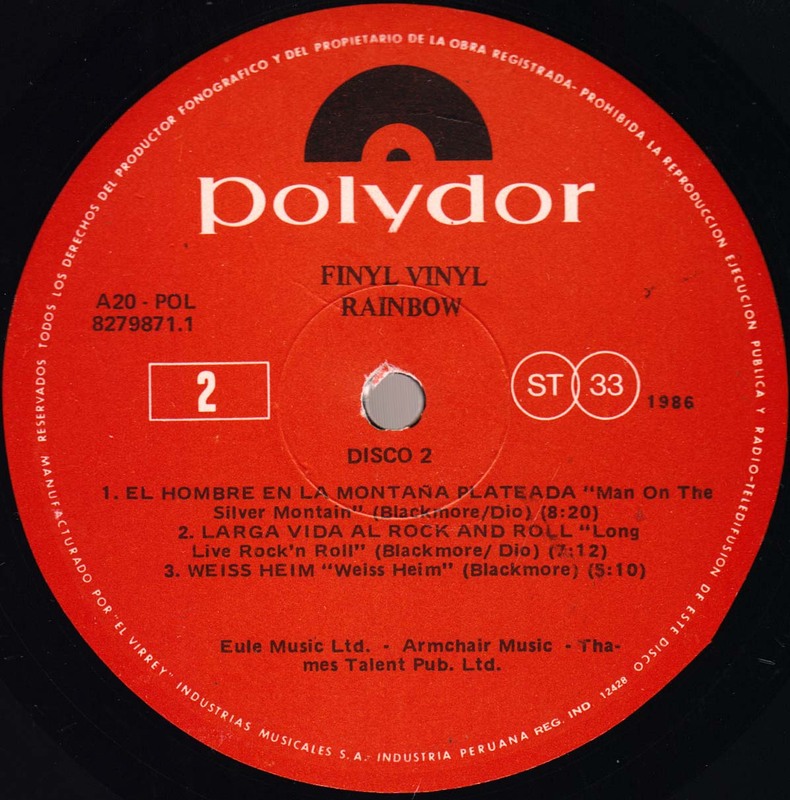 Polydor 2929 106, Israel, 1981? 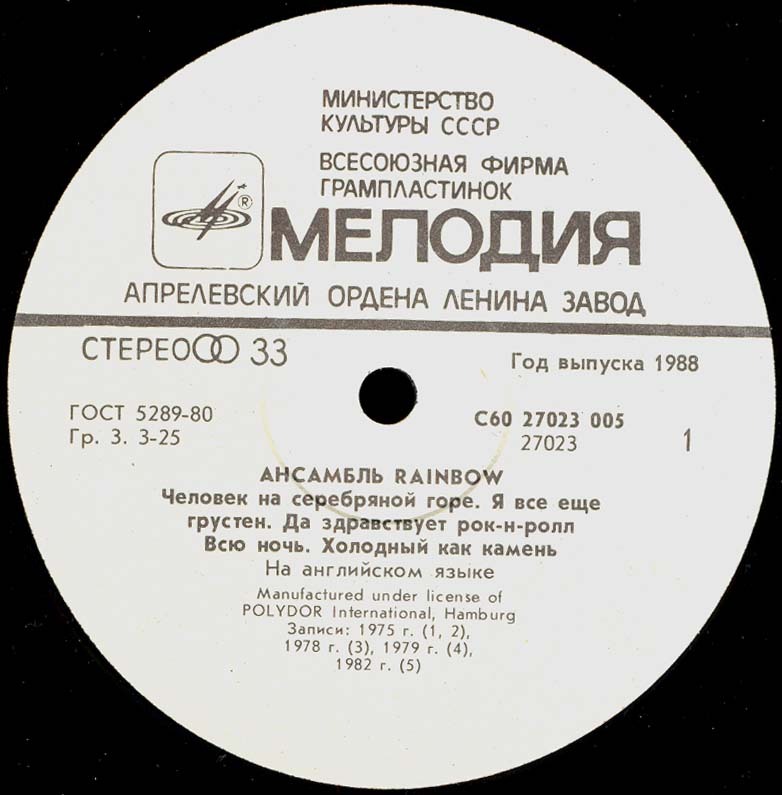 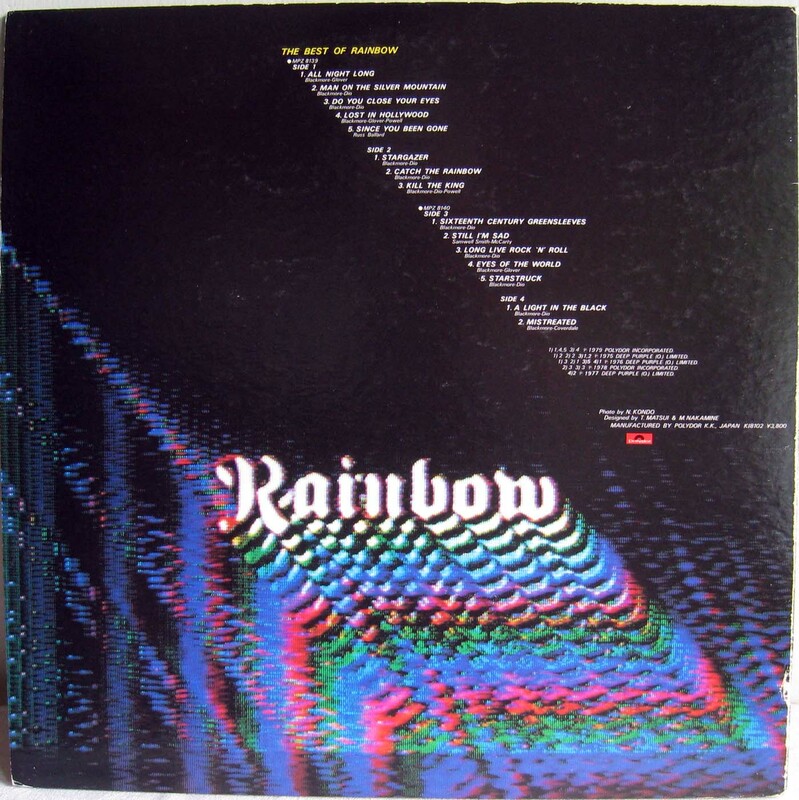 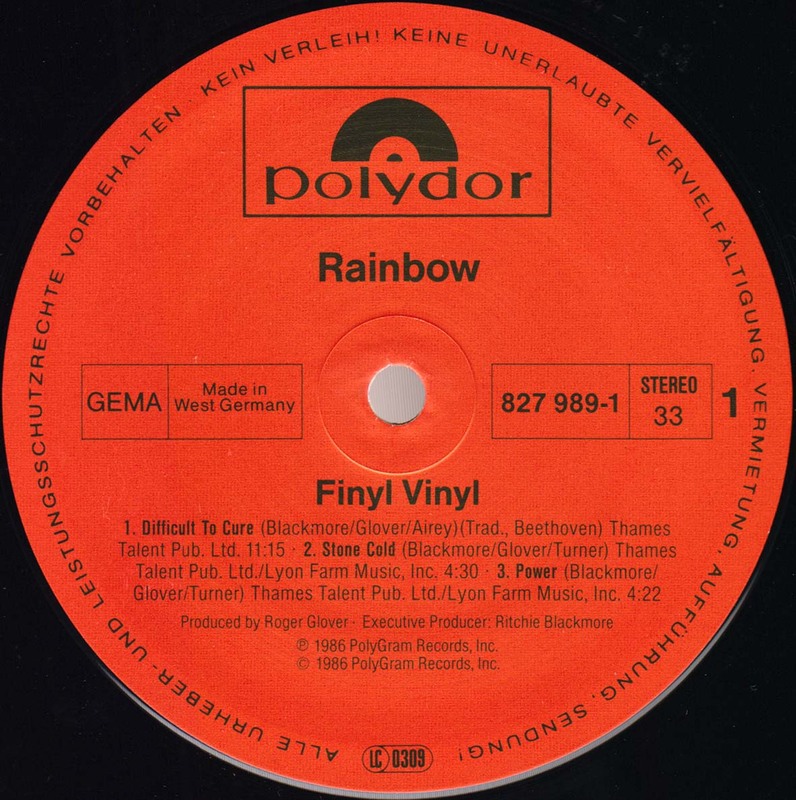 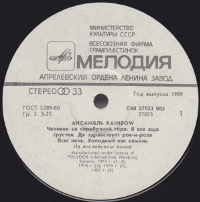 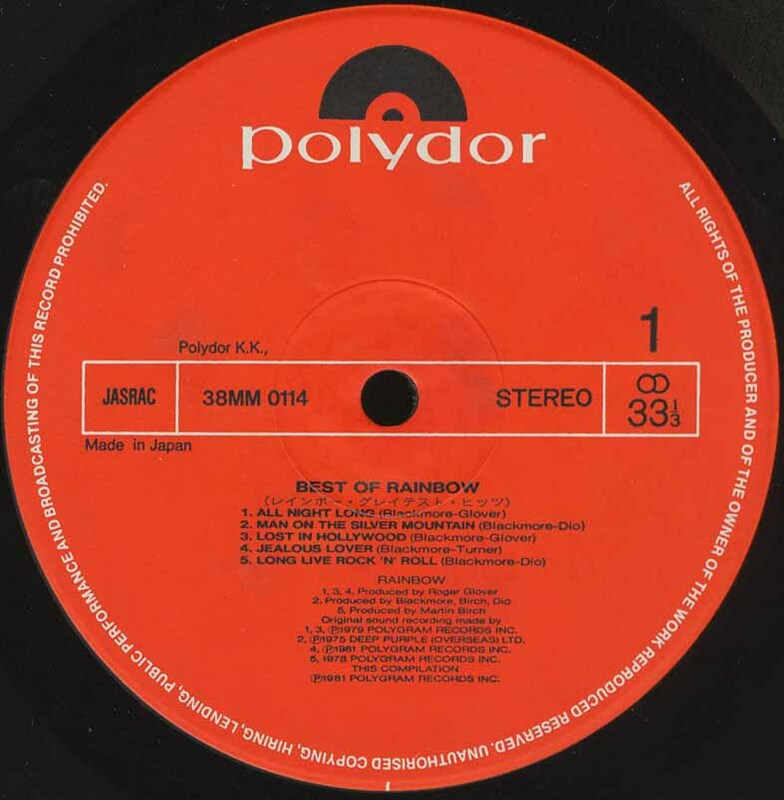 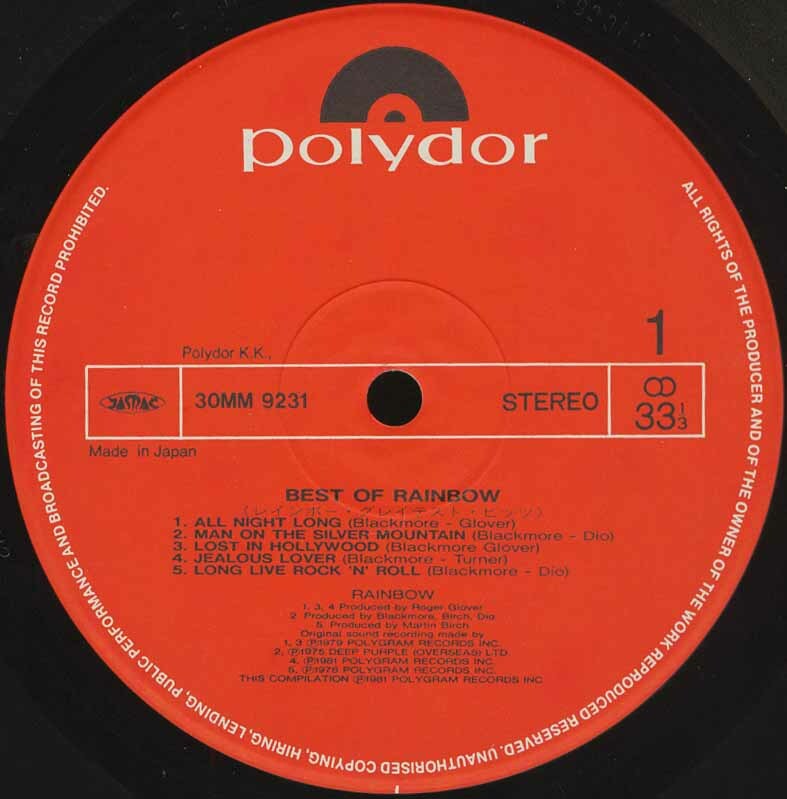 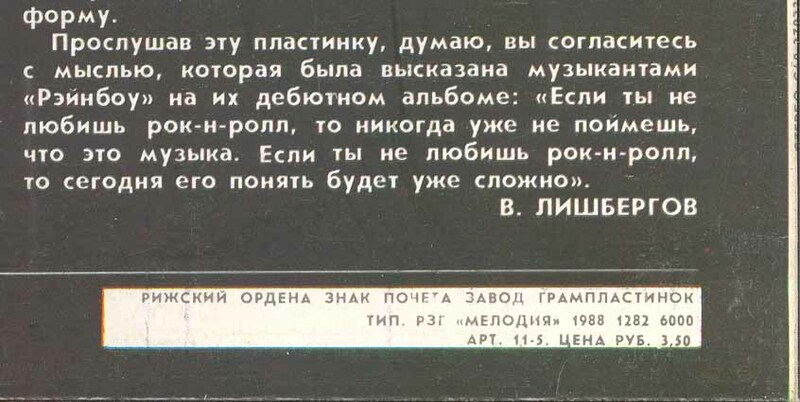 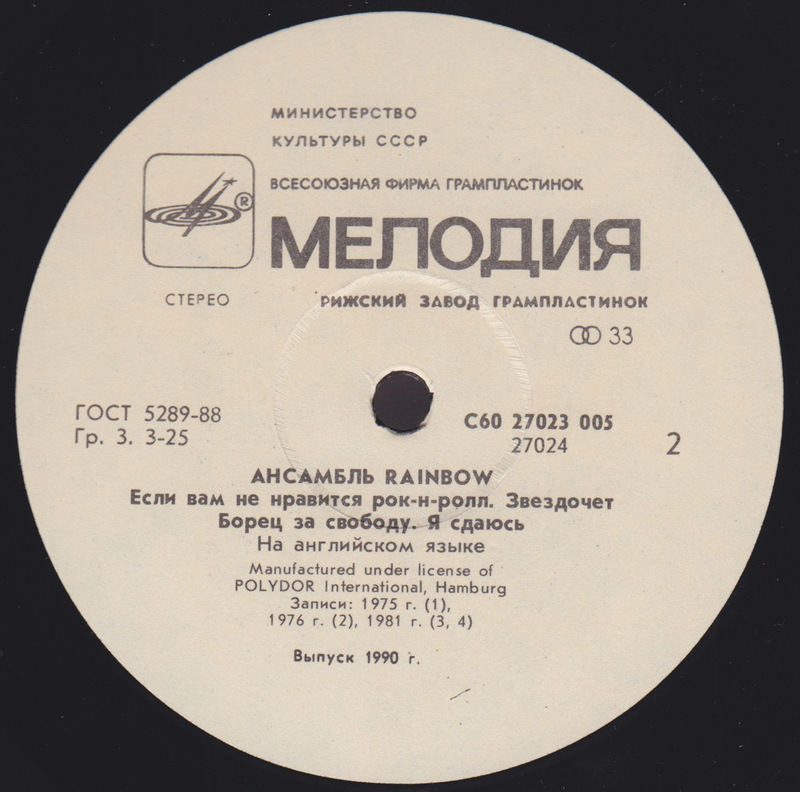 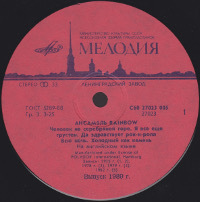 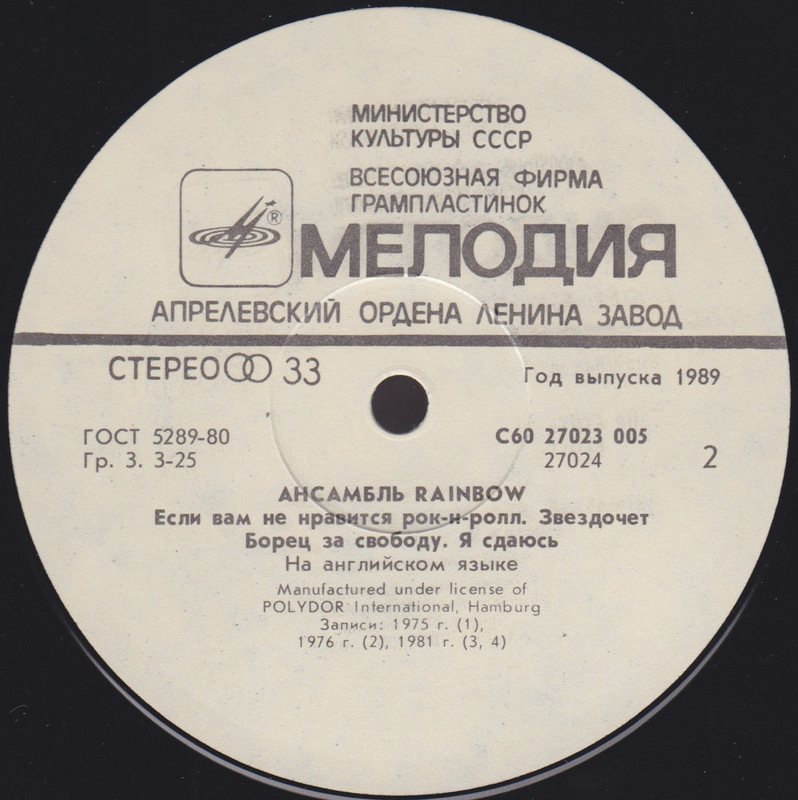 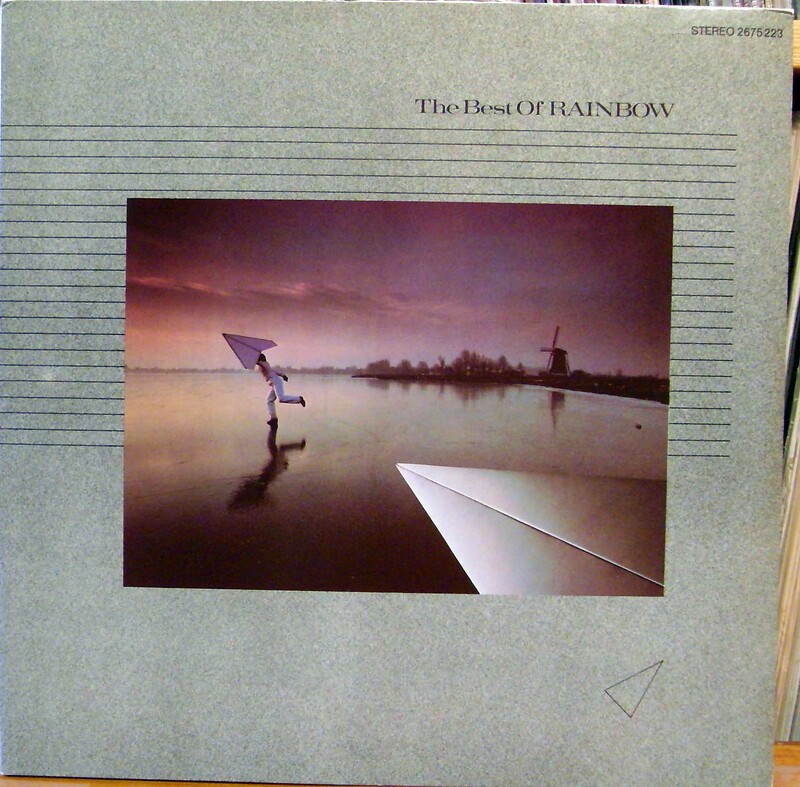 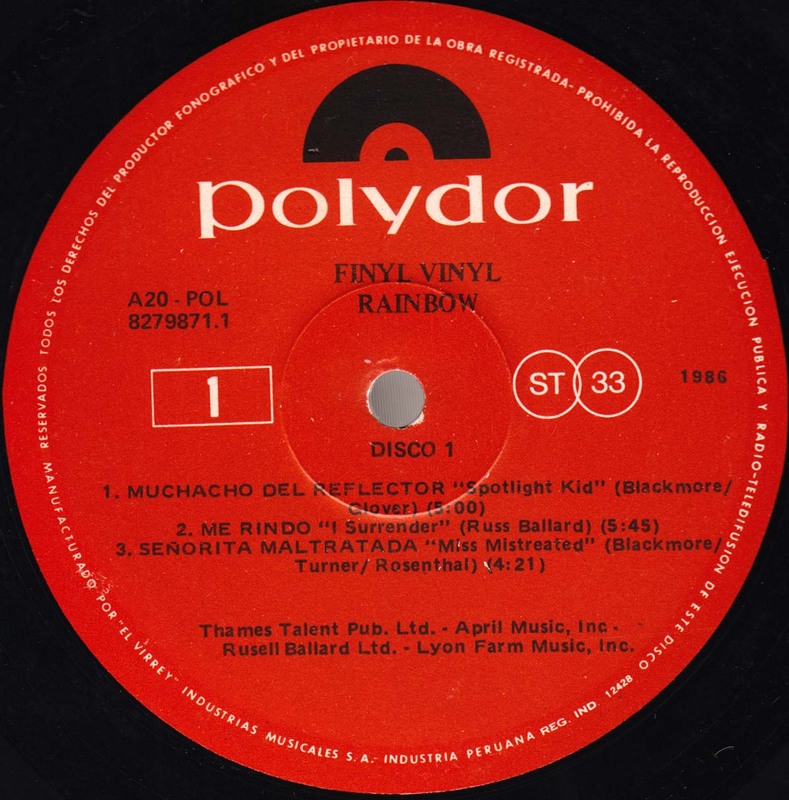 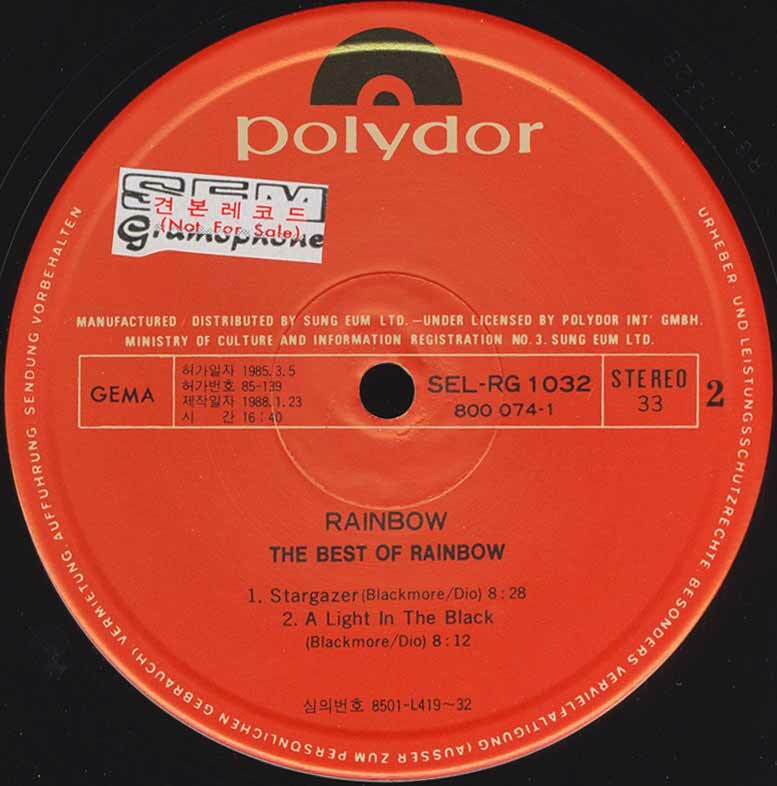 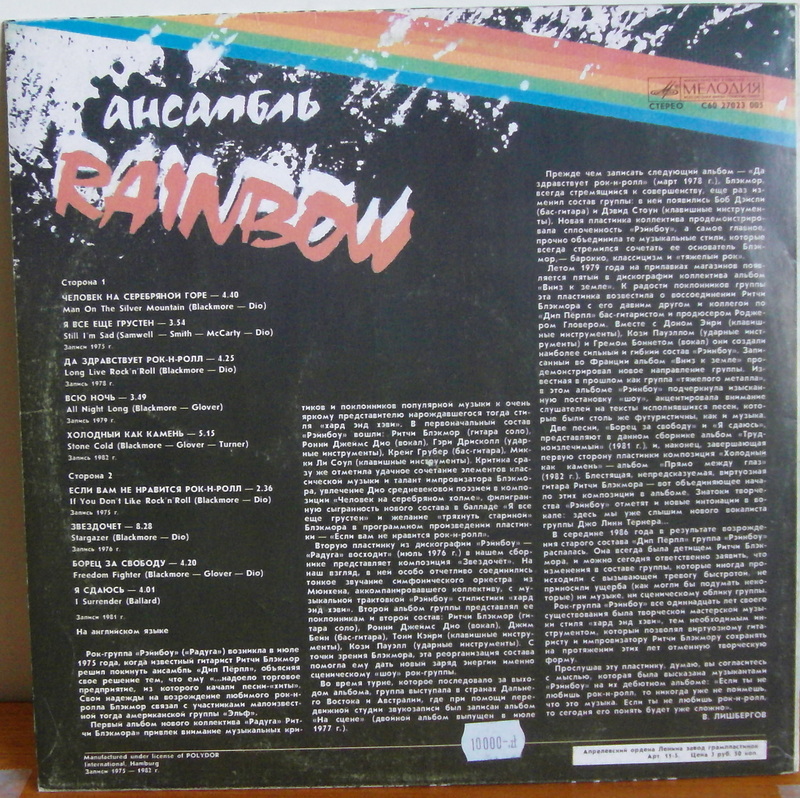 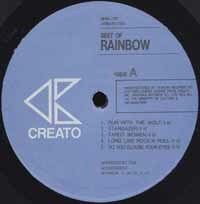 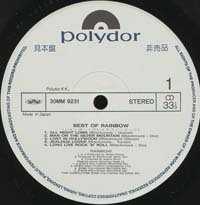 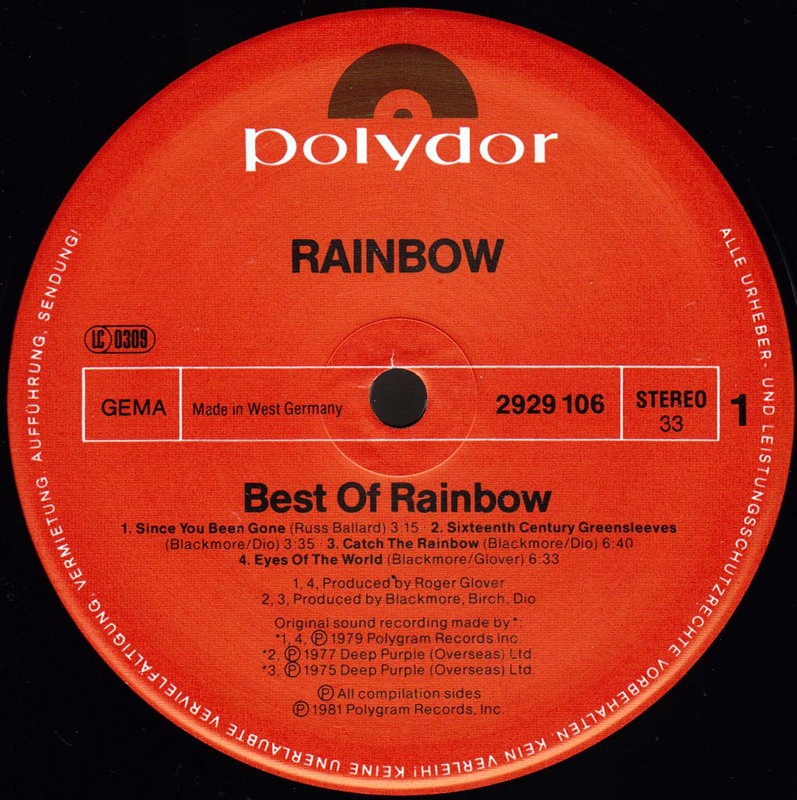 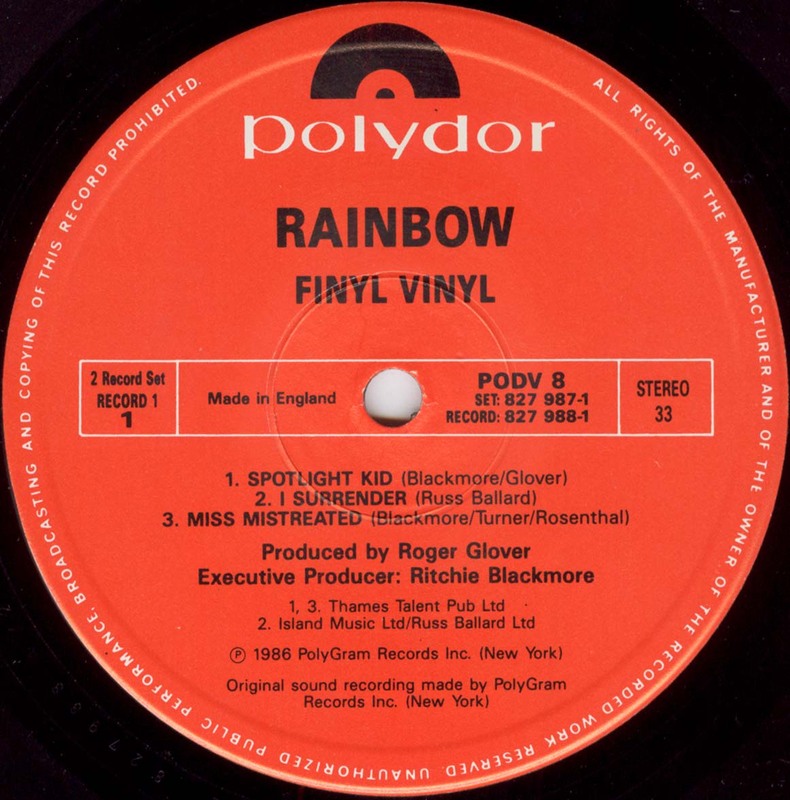 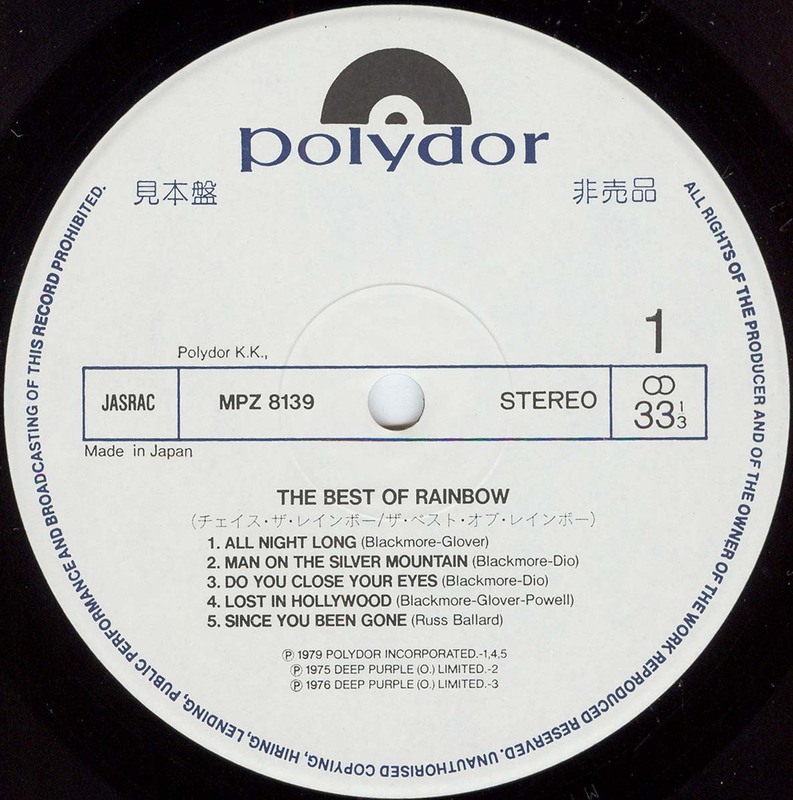 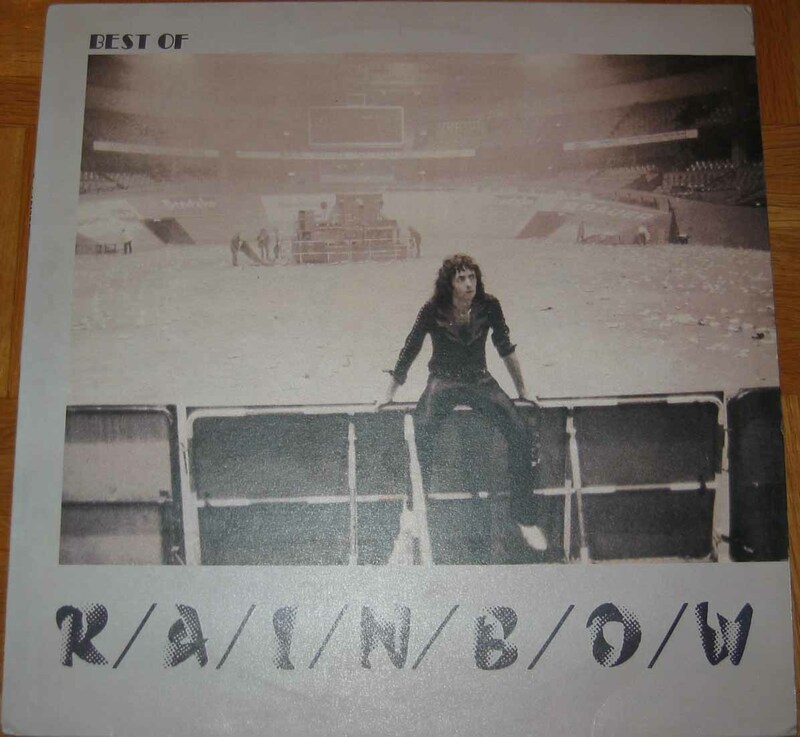 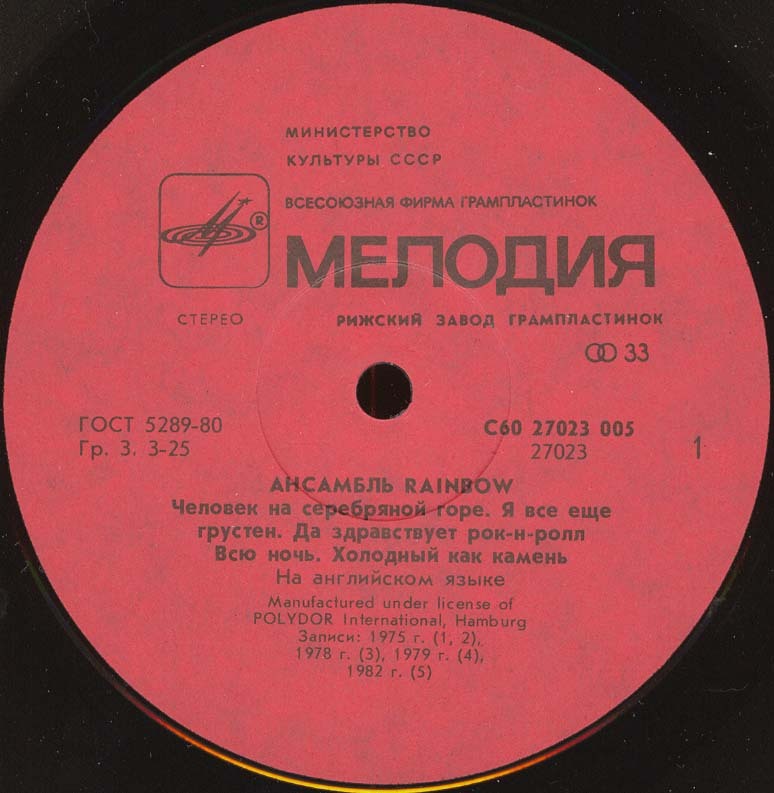 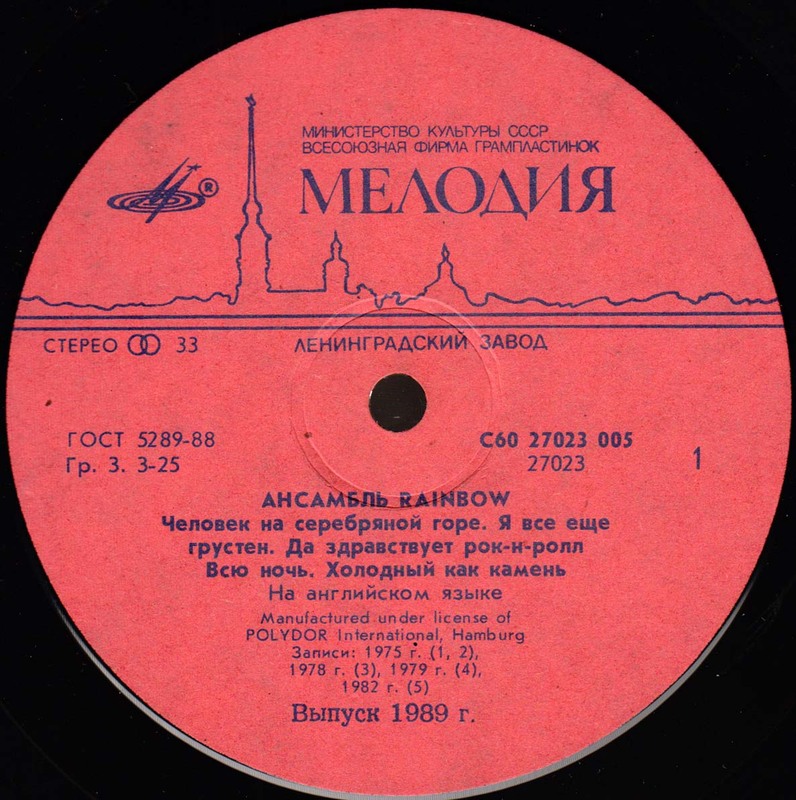 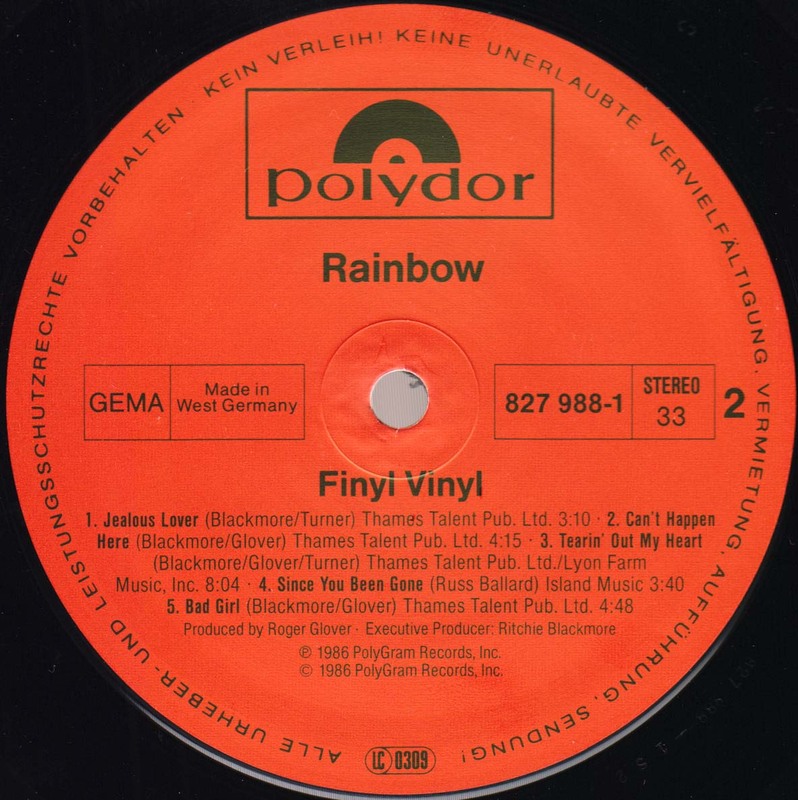 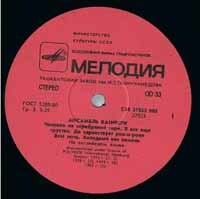 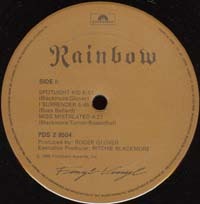 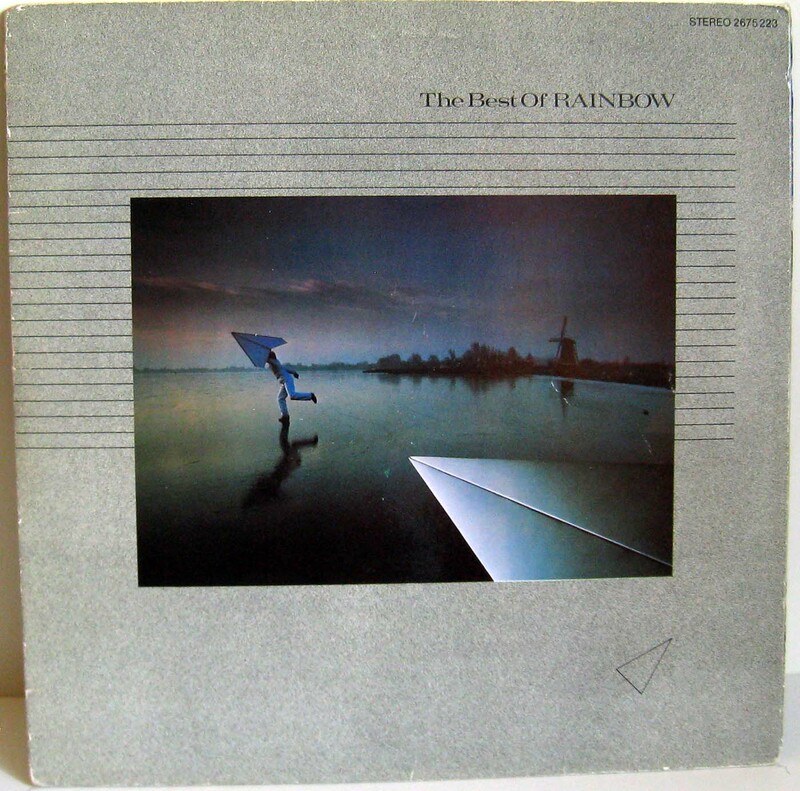 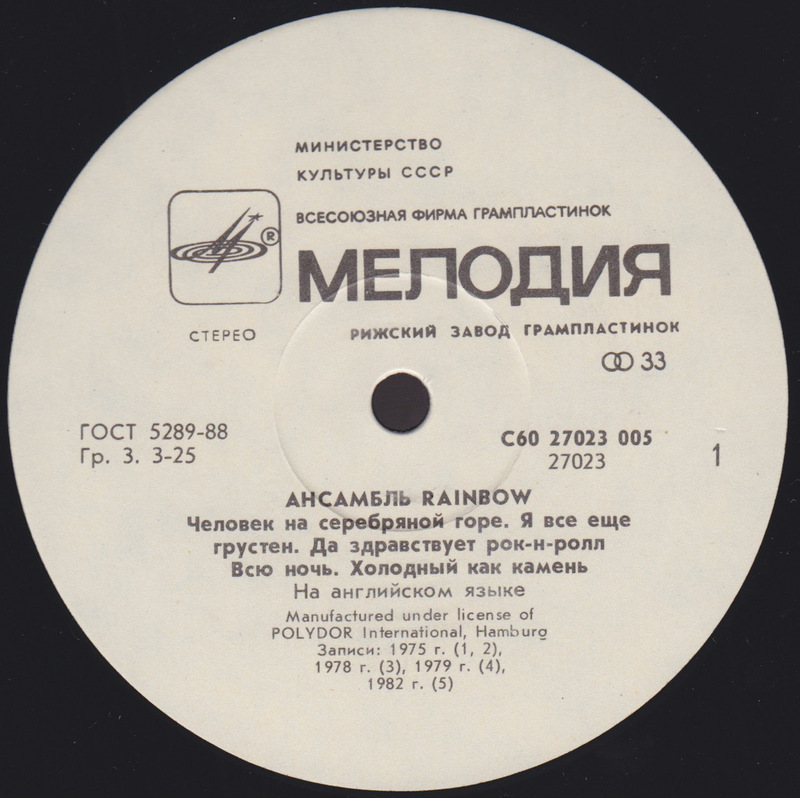 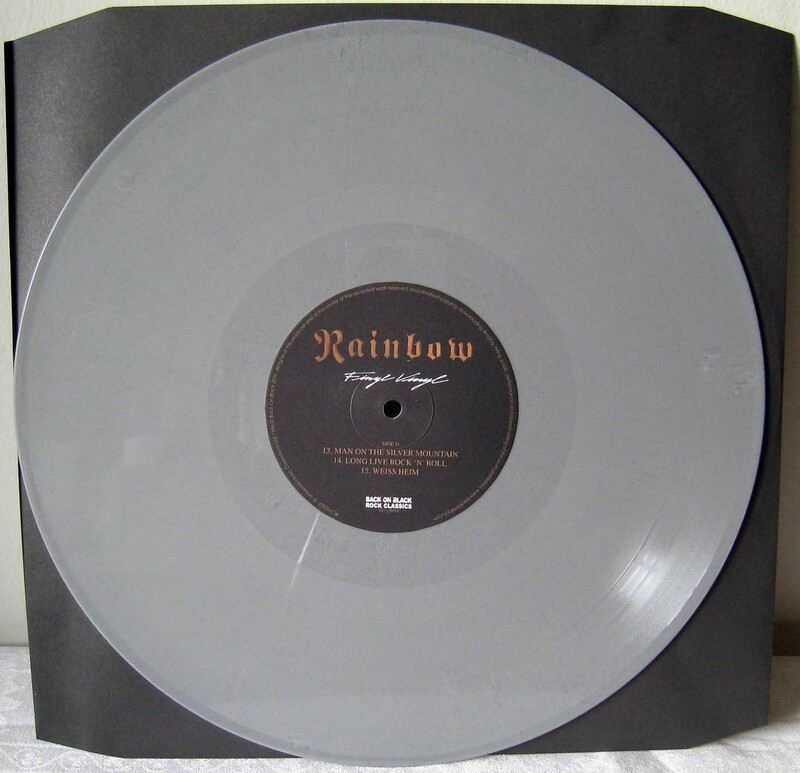 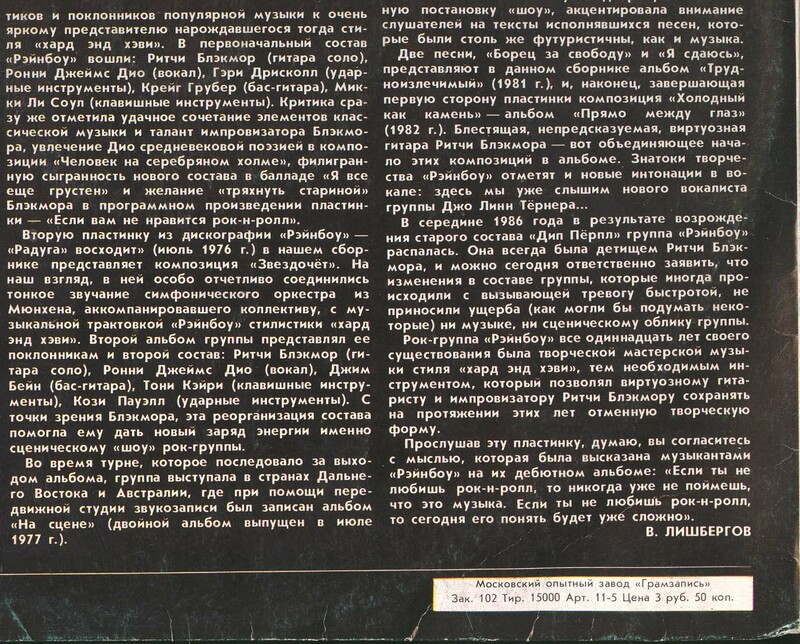 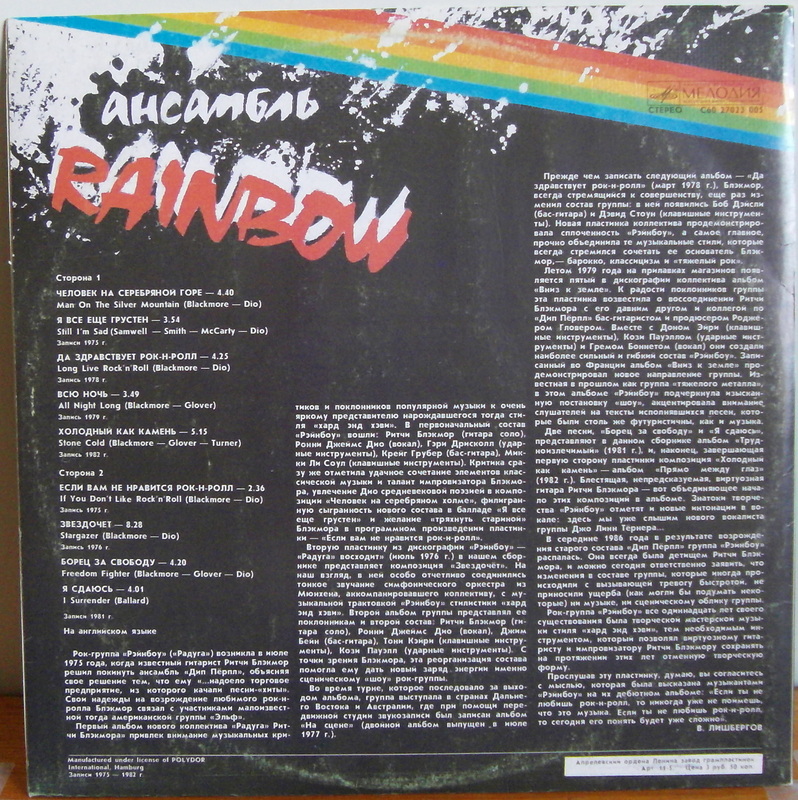 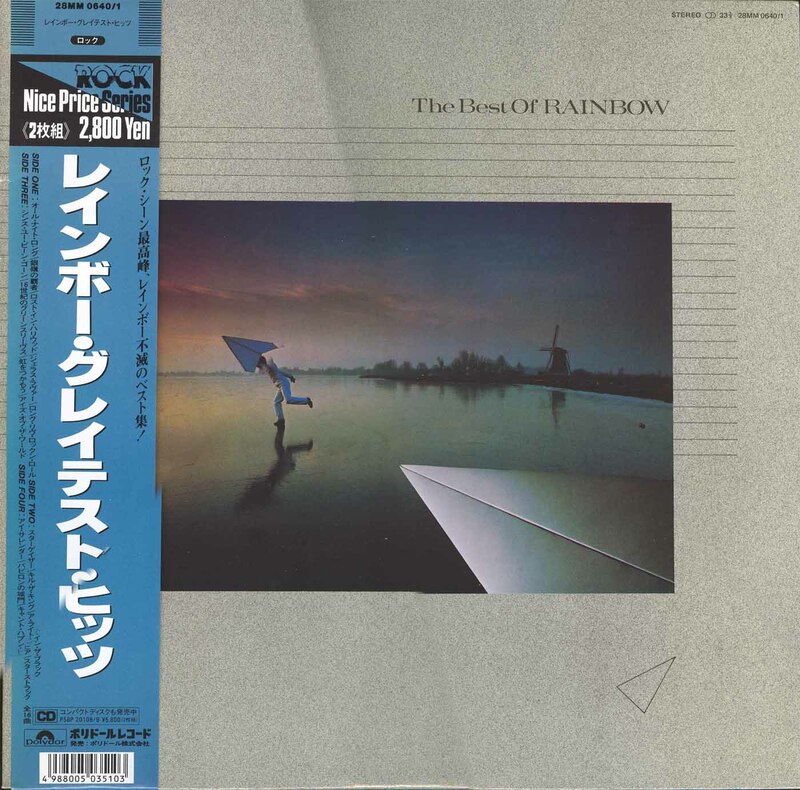 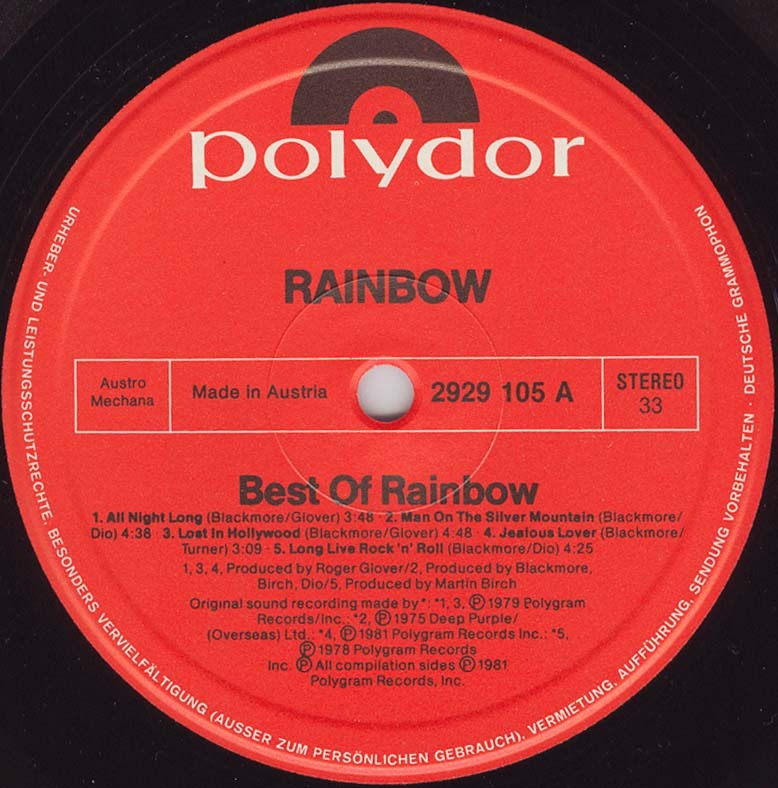 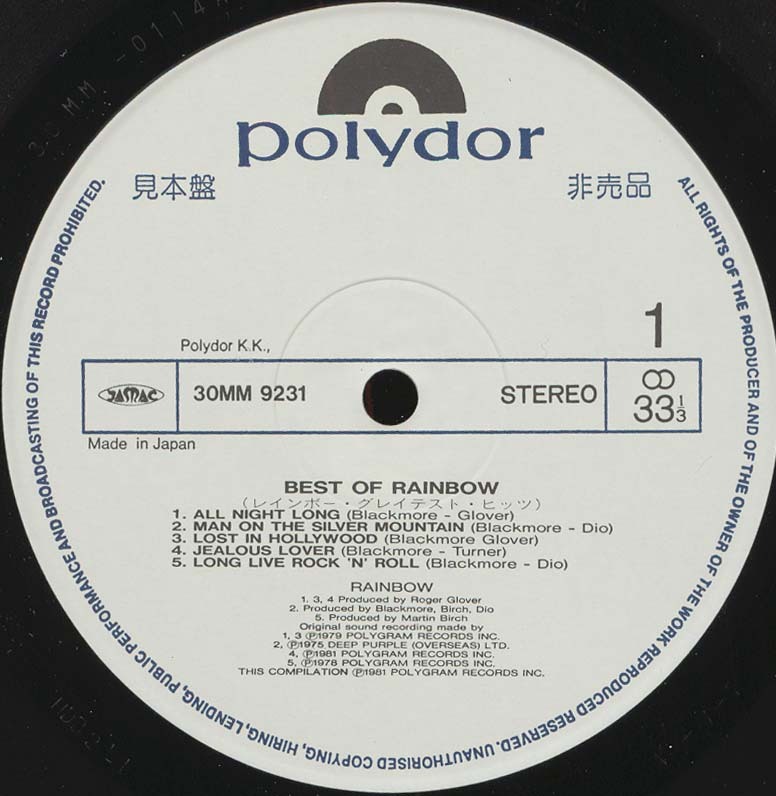 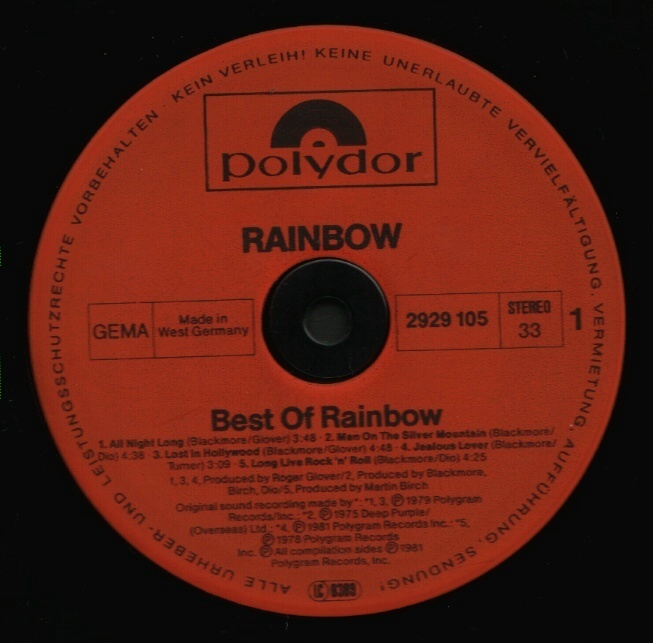 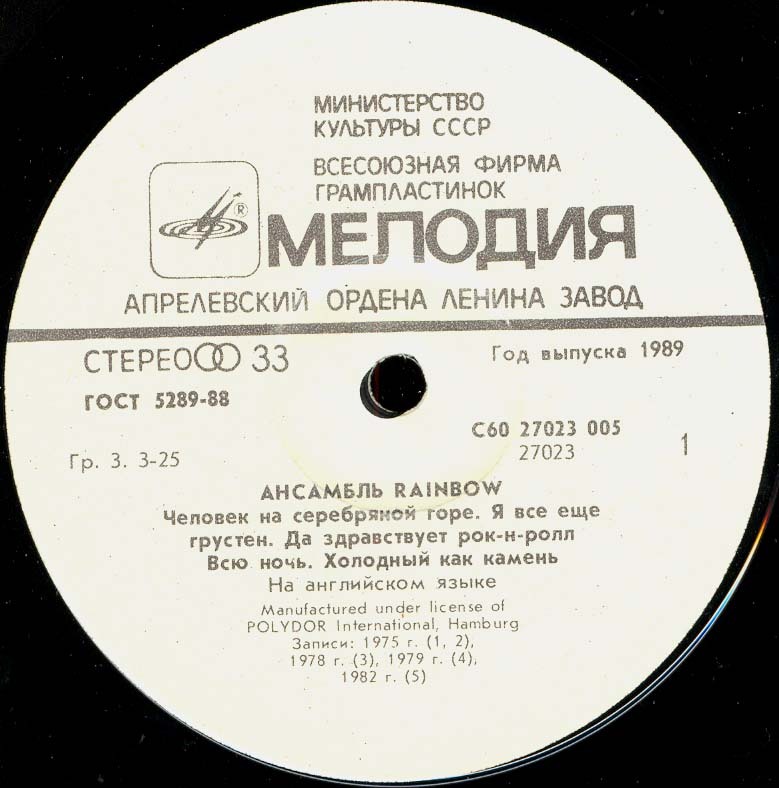 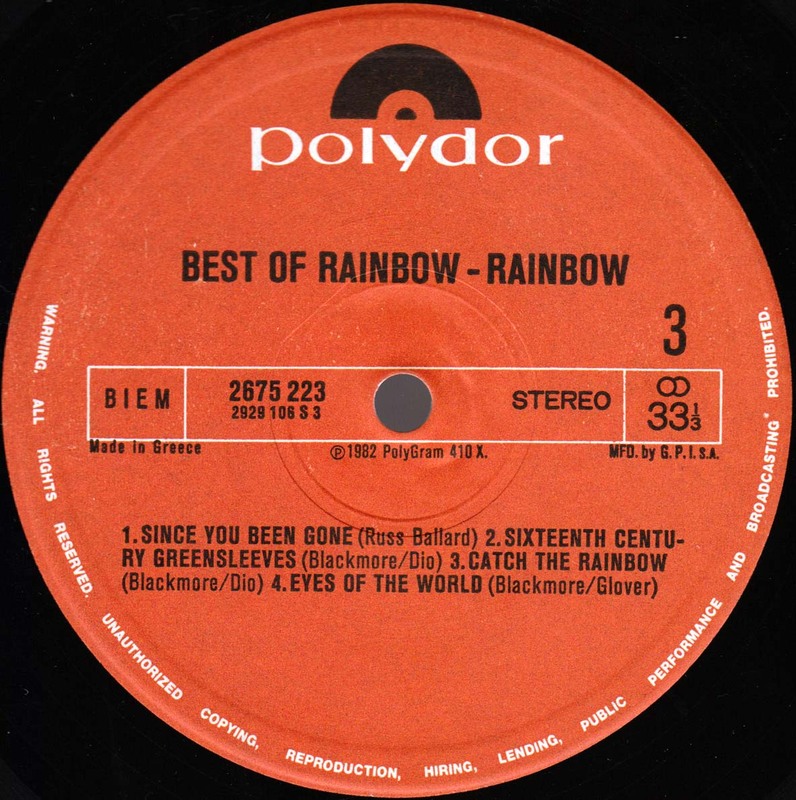 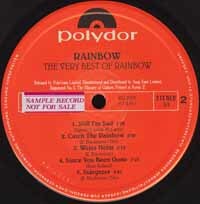 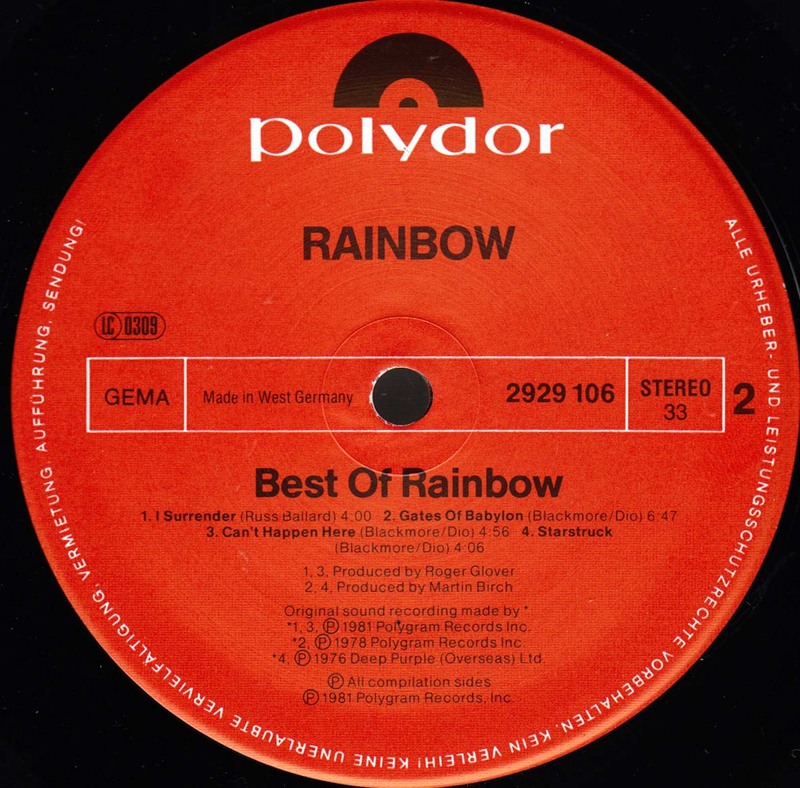 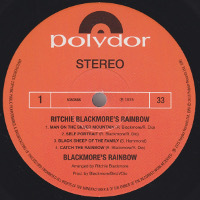 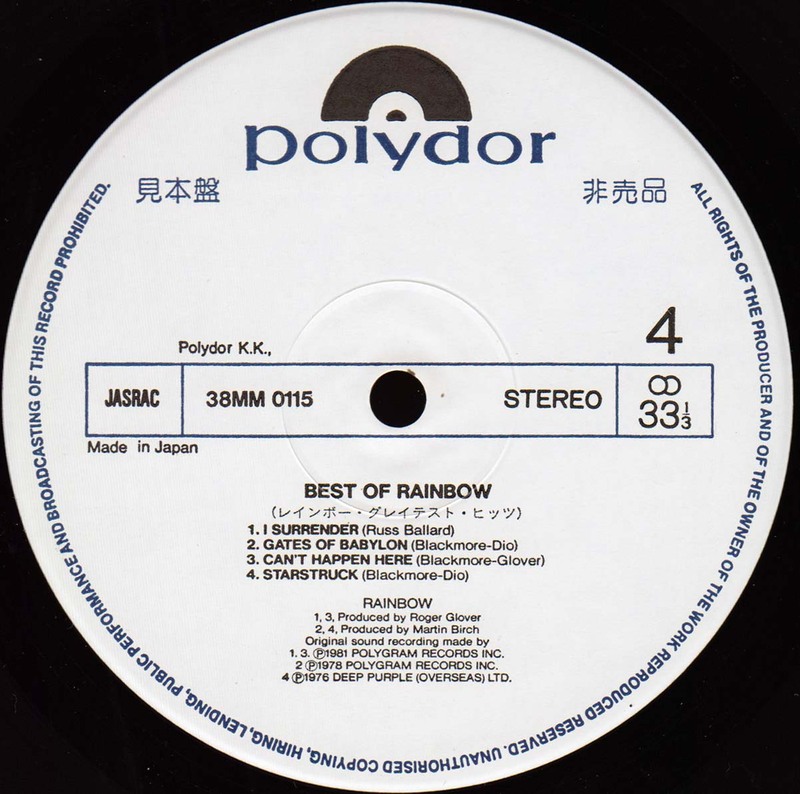 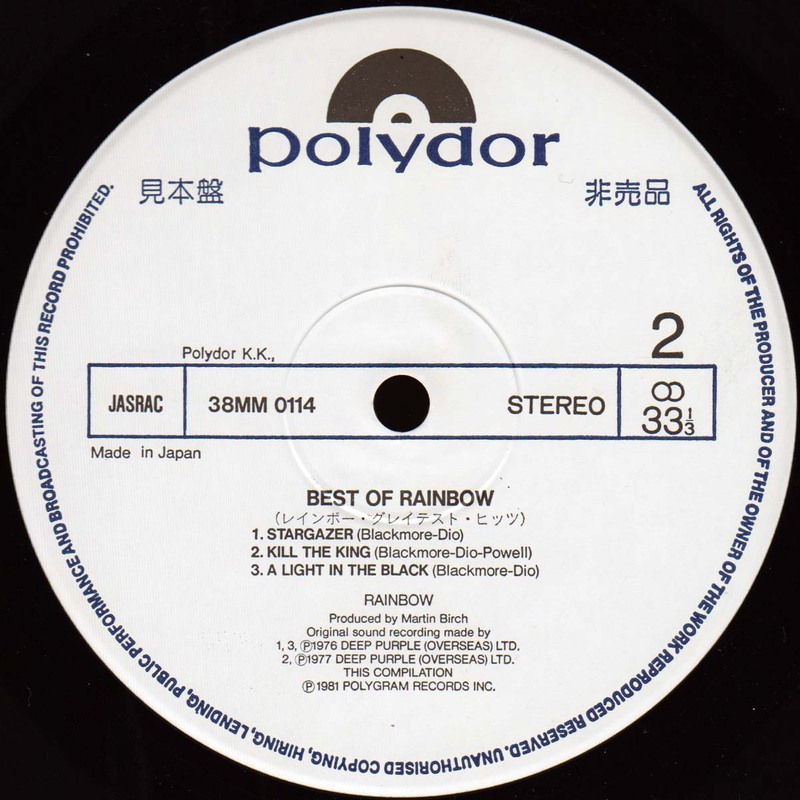 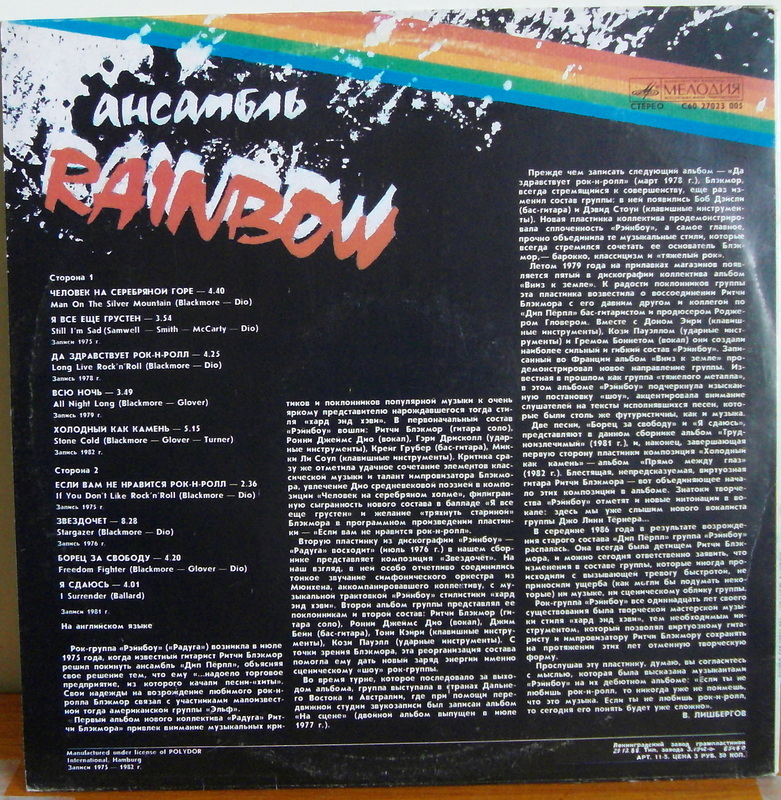 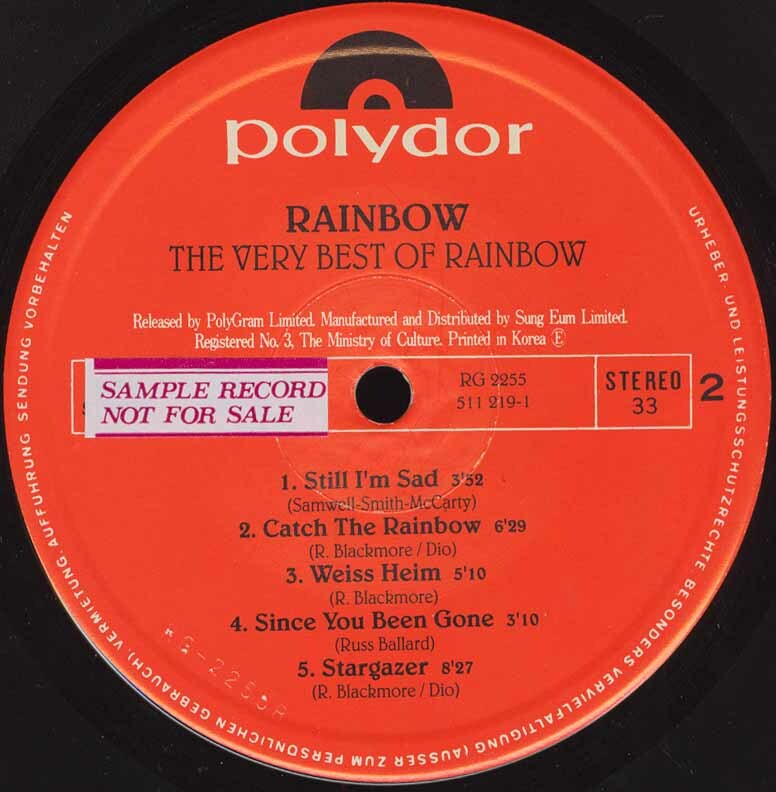 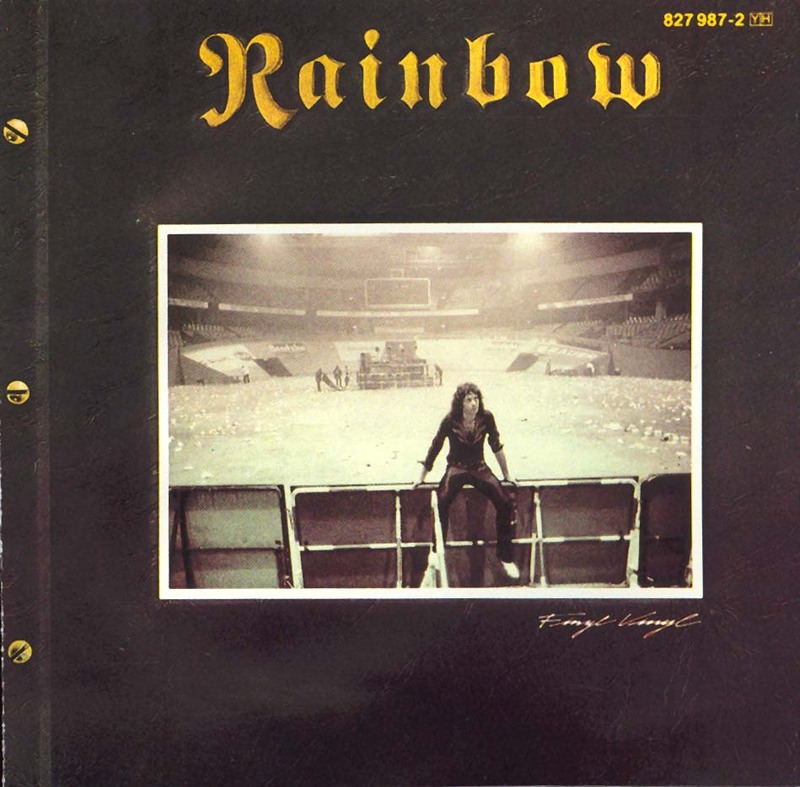 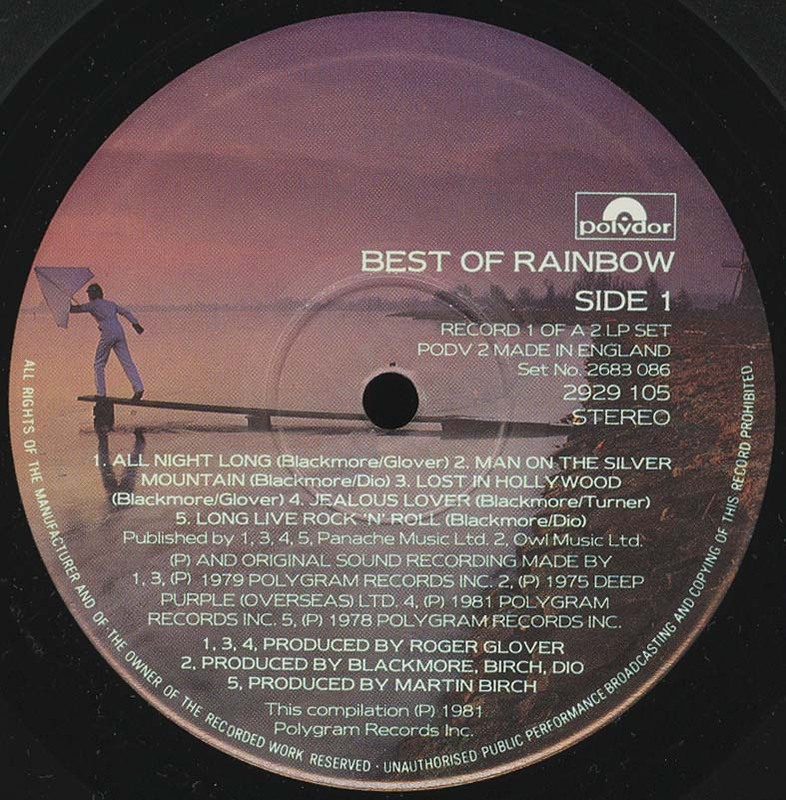 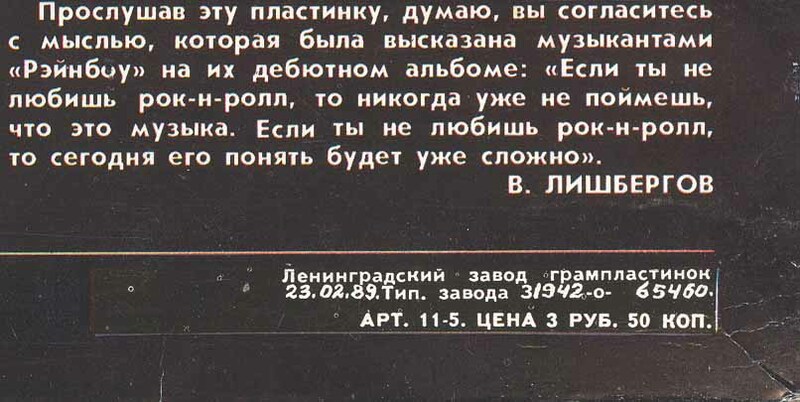 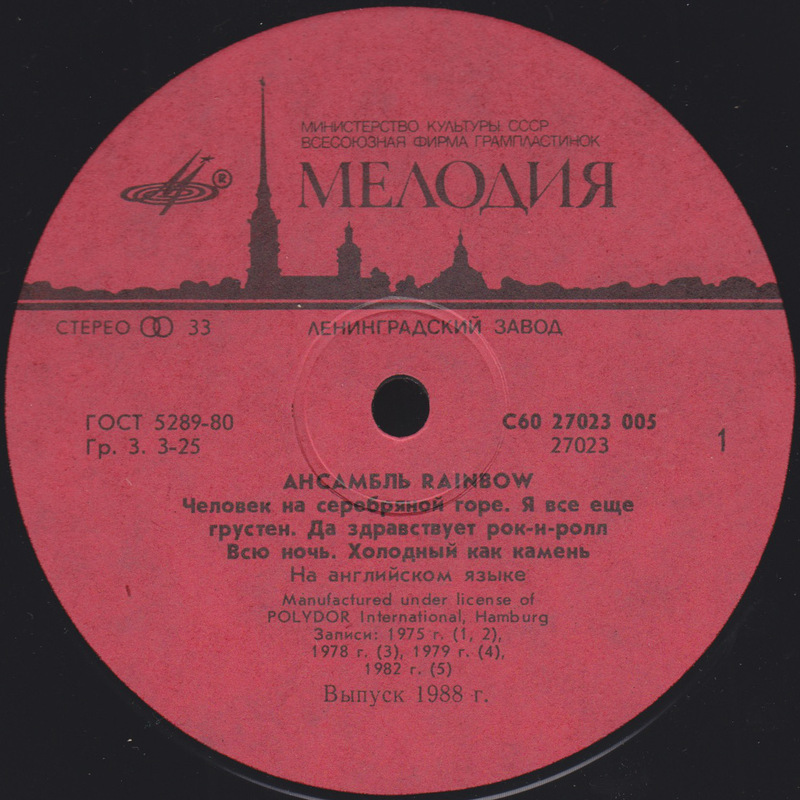 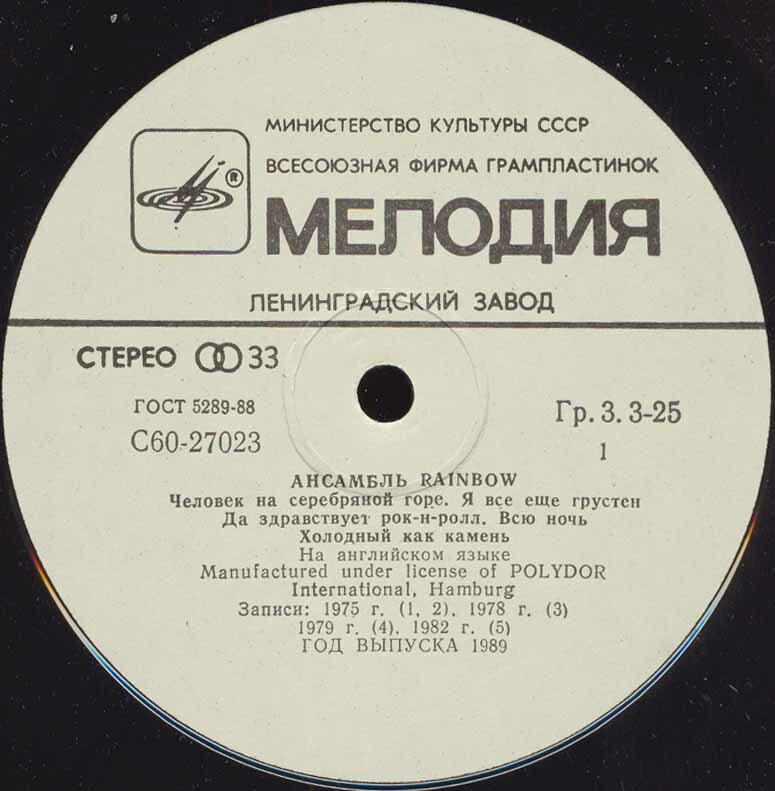 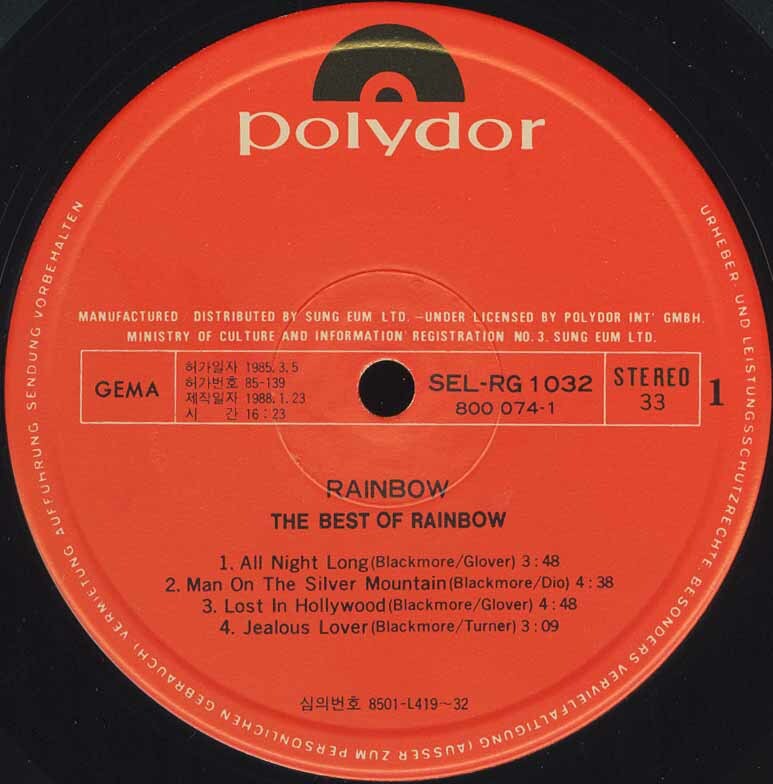 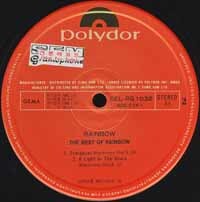 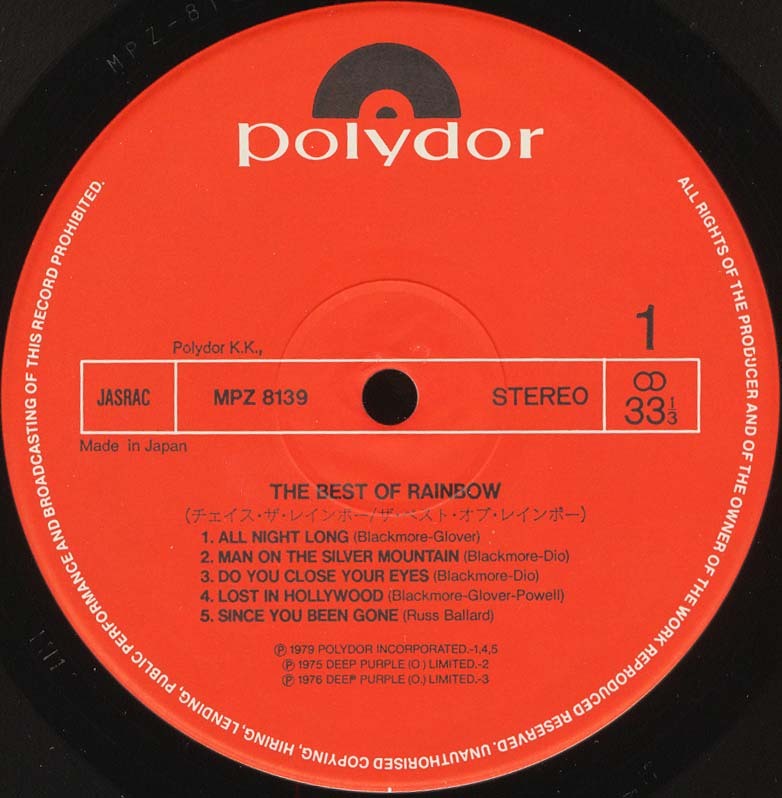 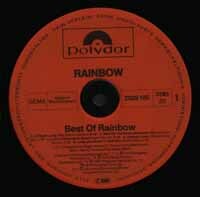 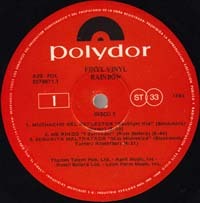 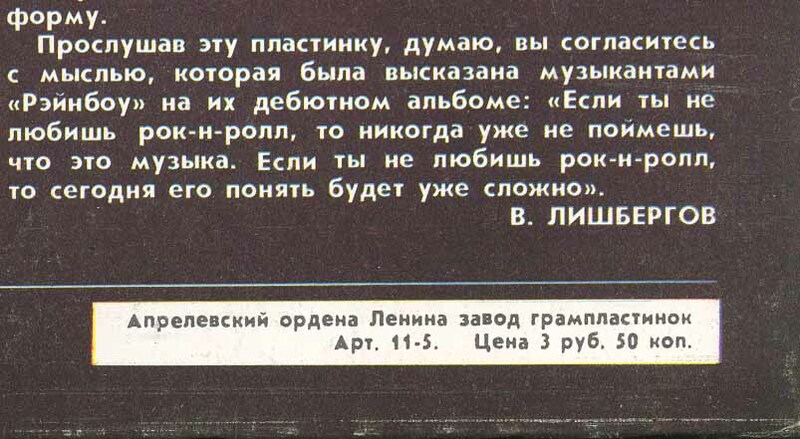 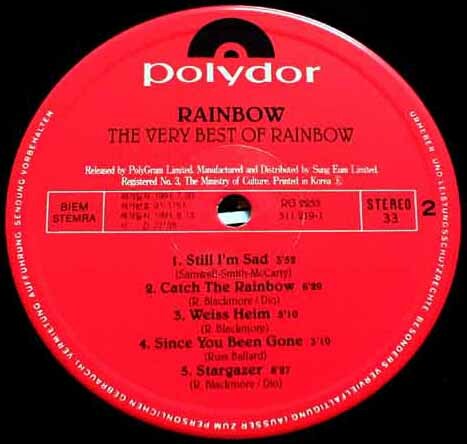 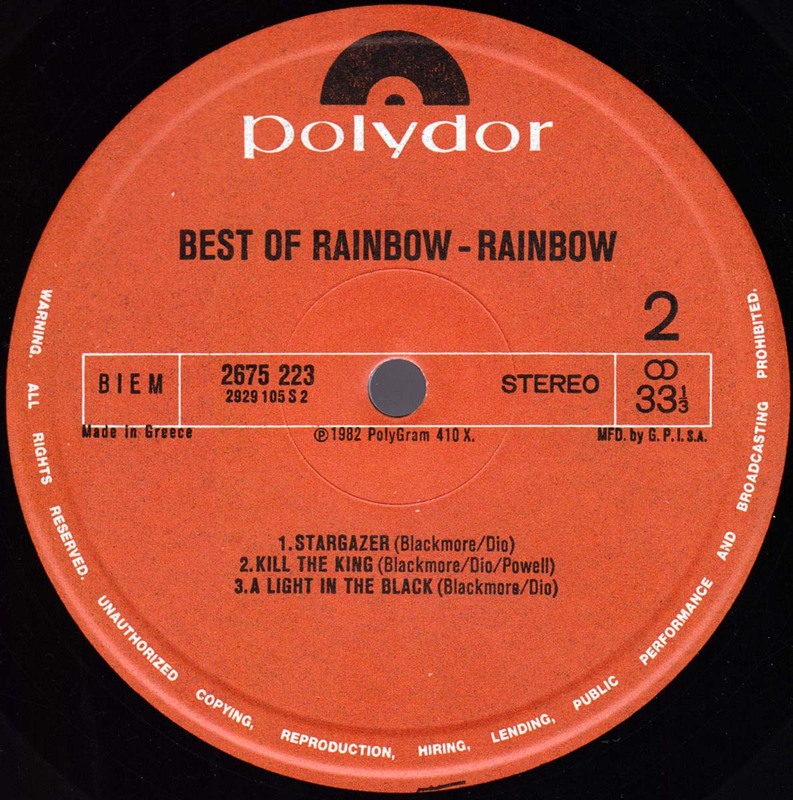 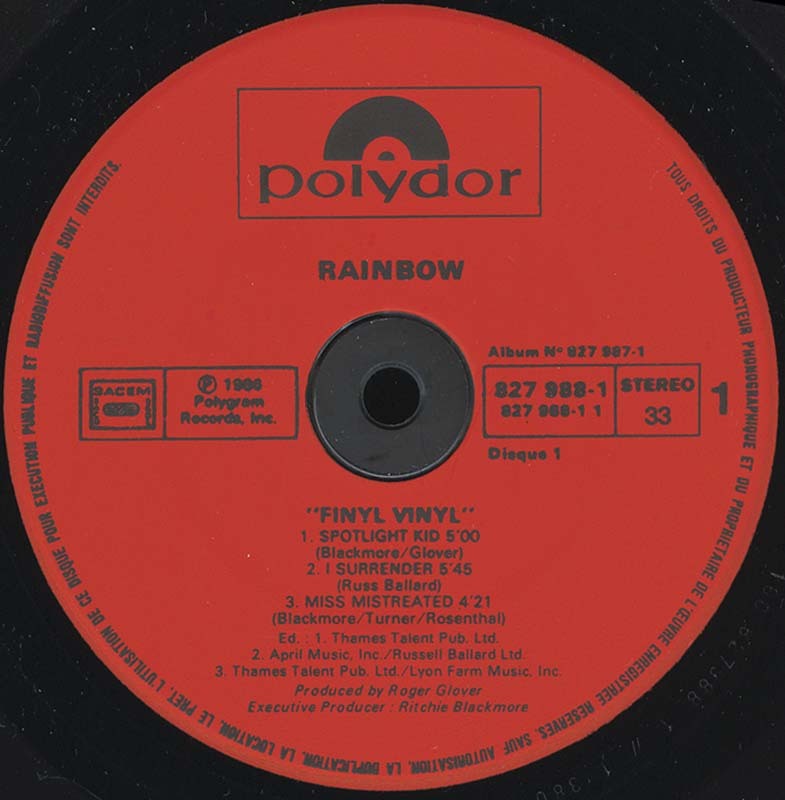 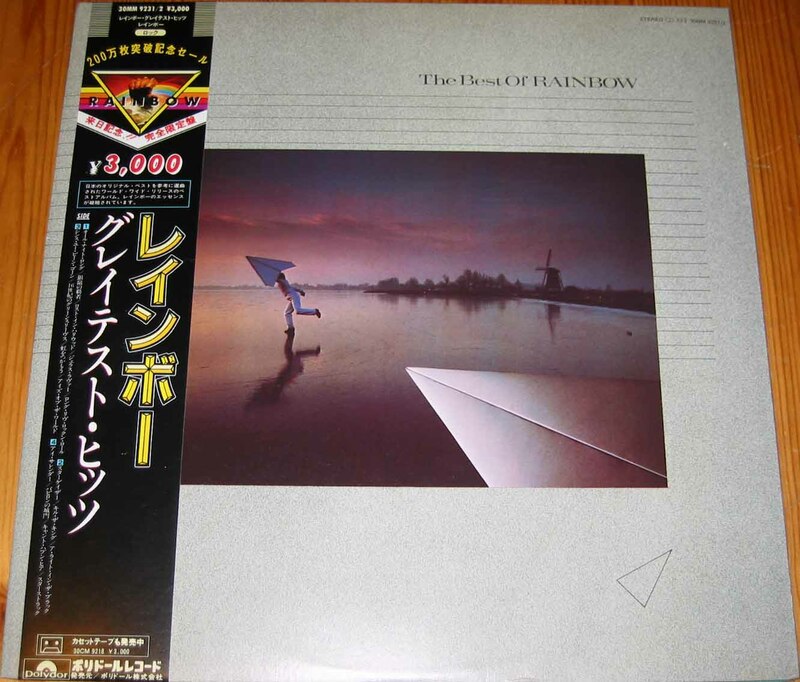 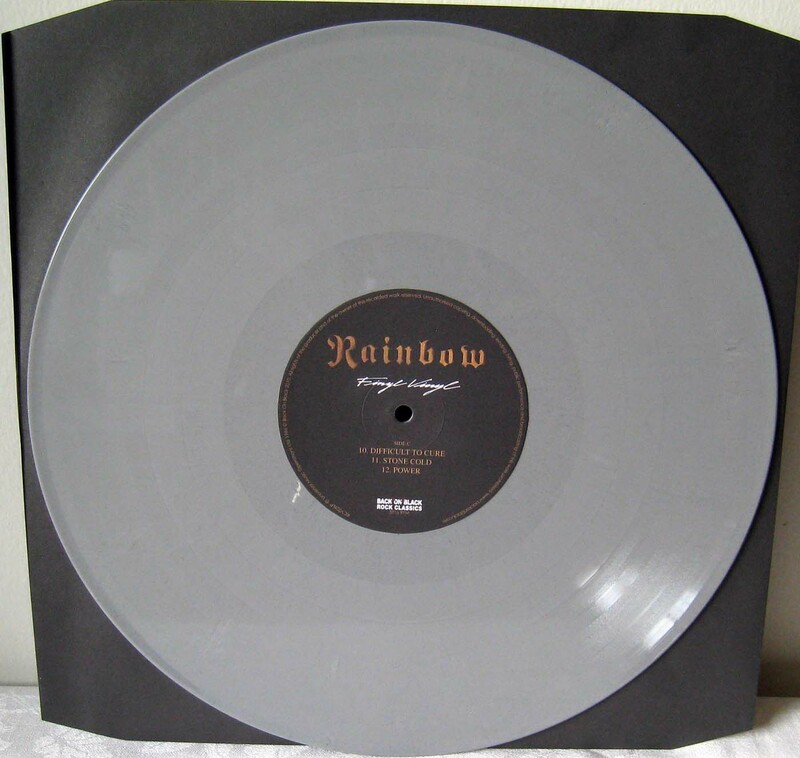 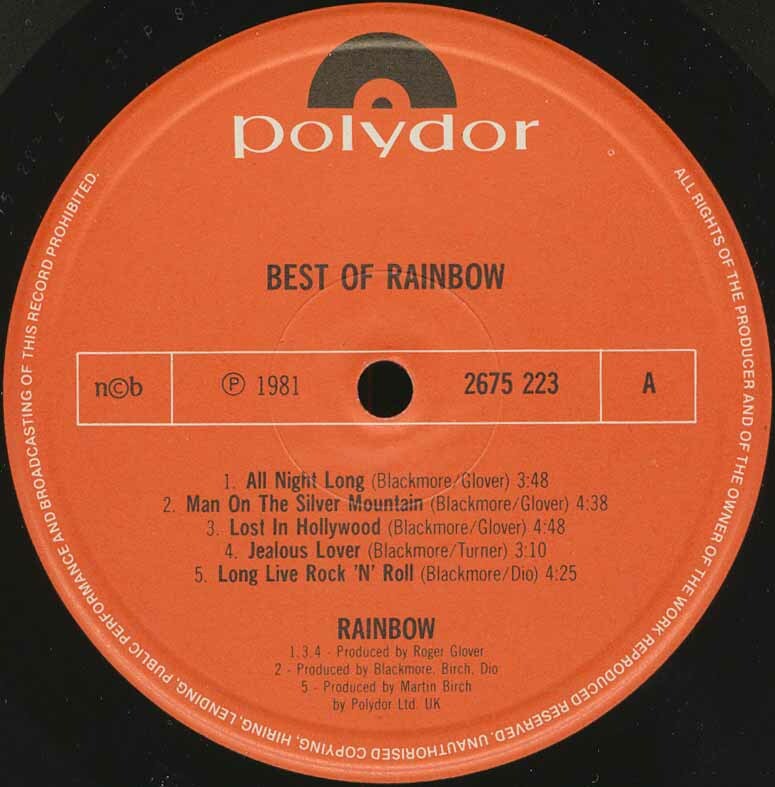 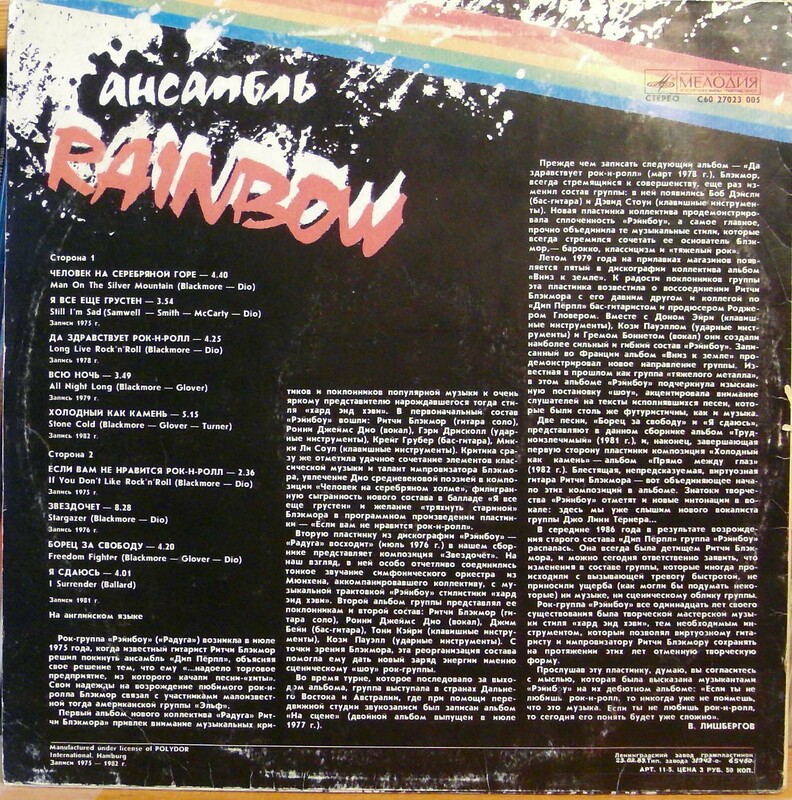 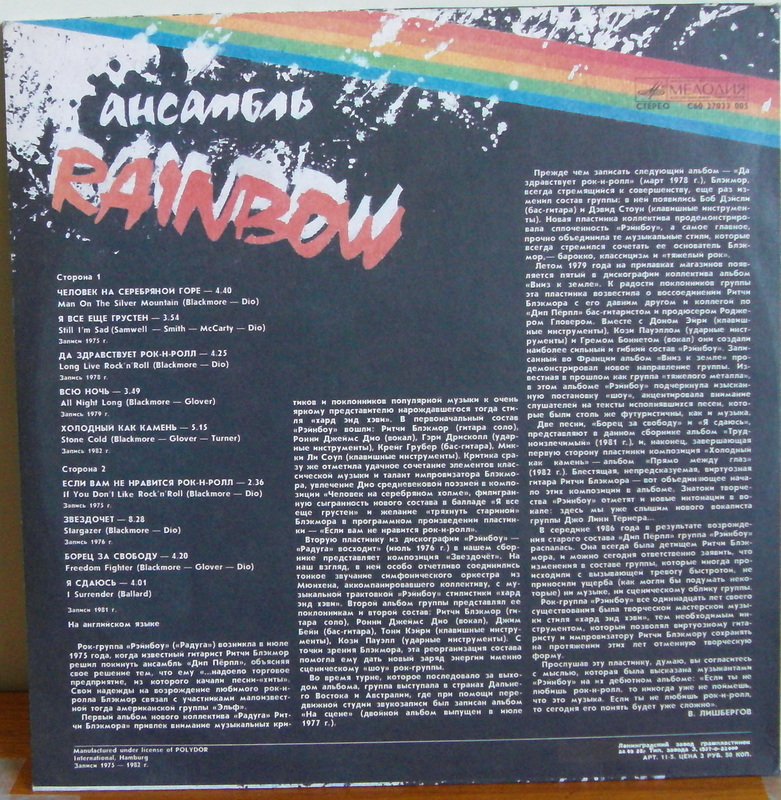 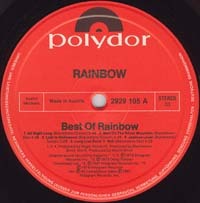 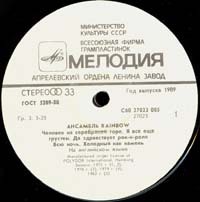 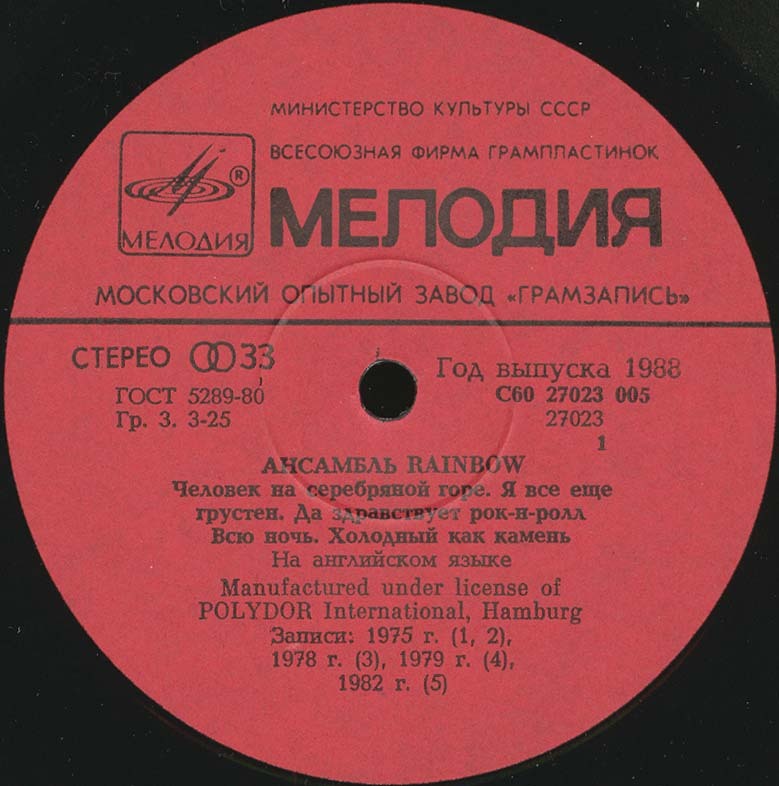 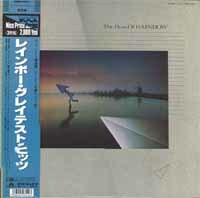 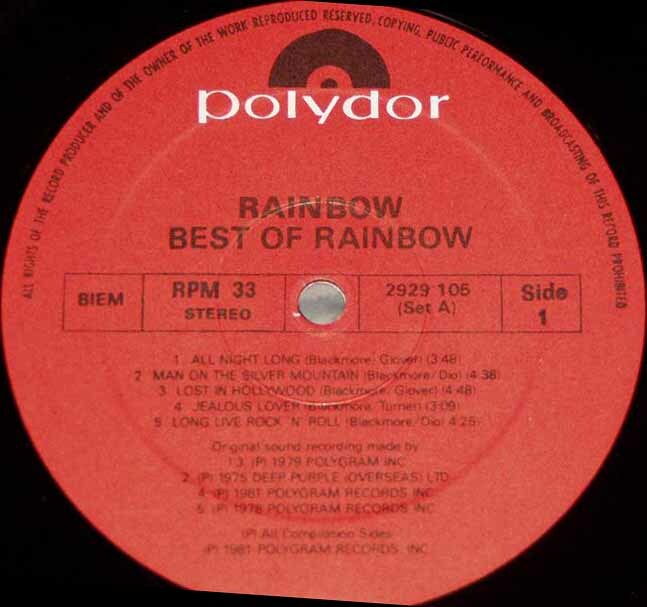 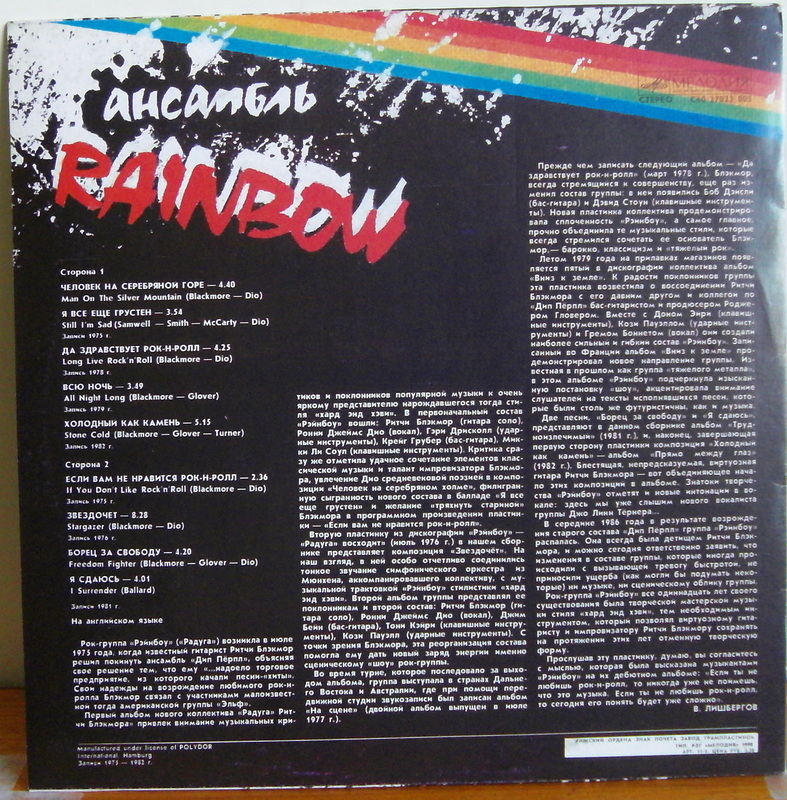 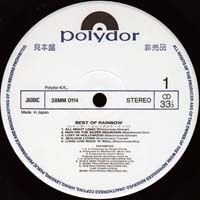 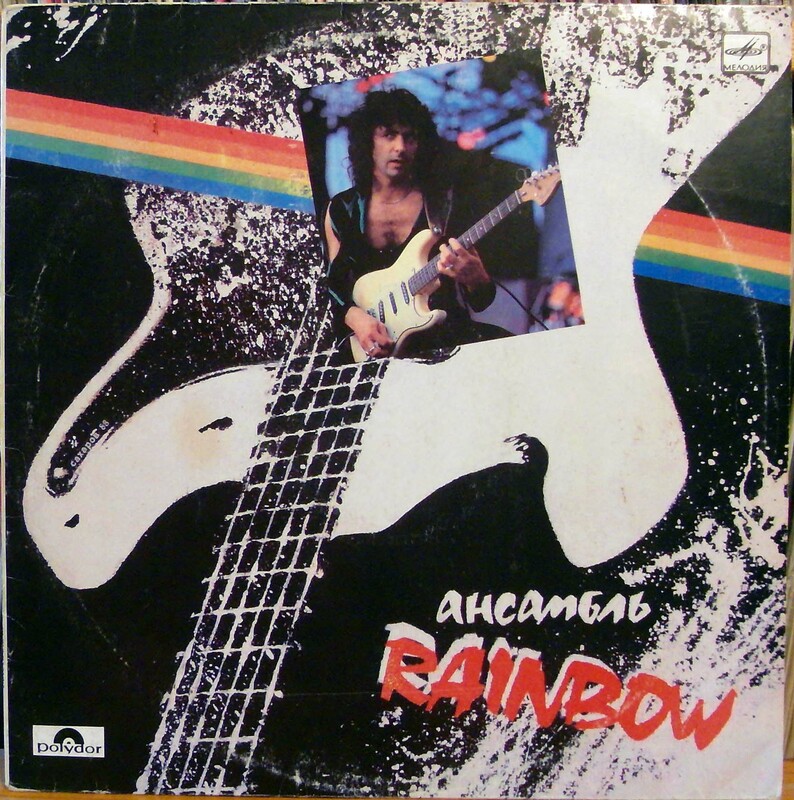 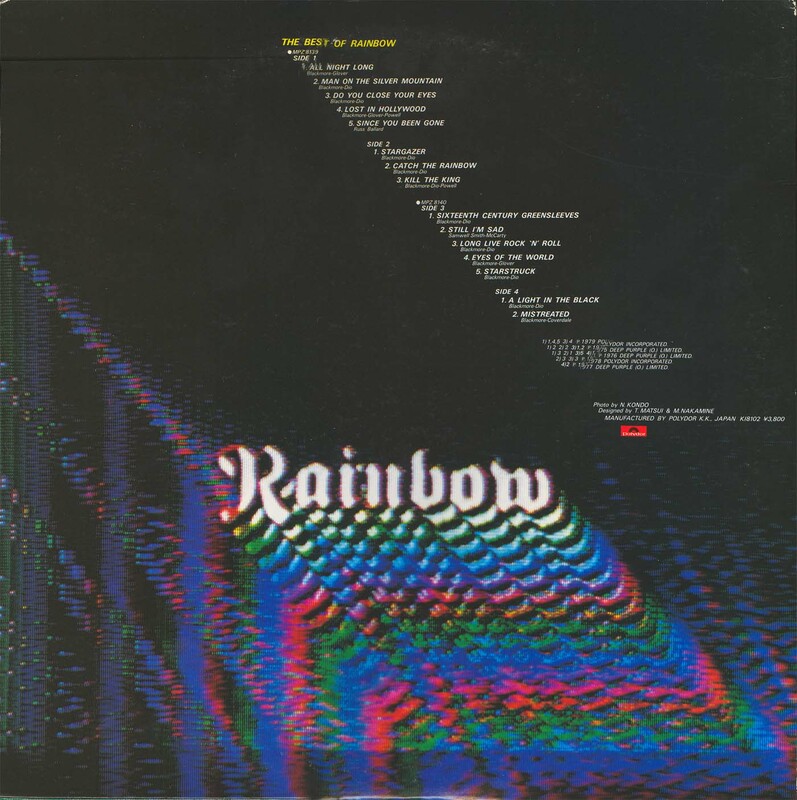 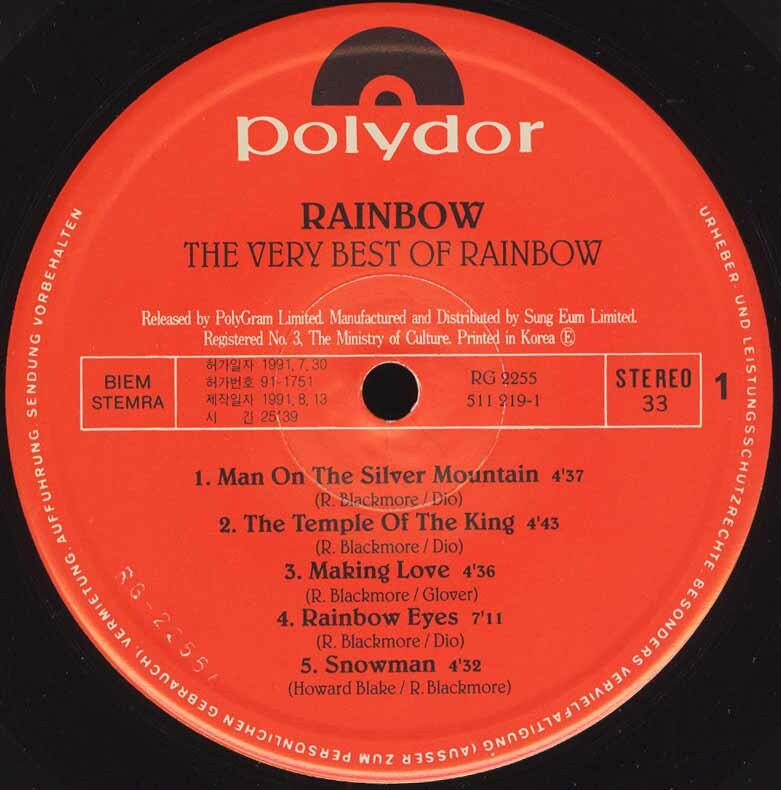 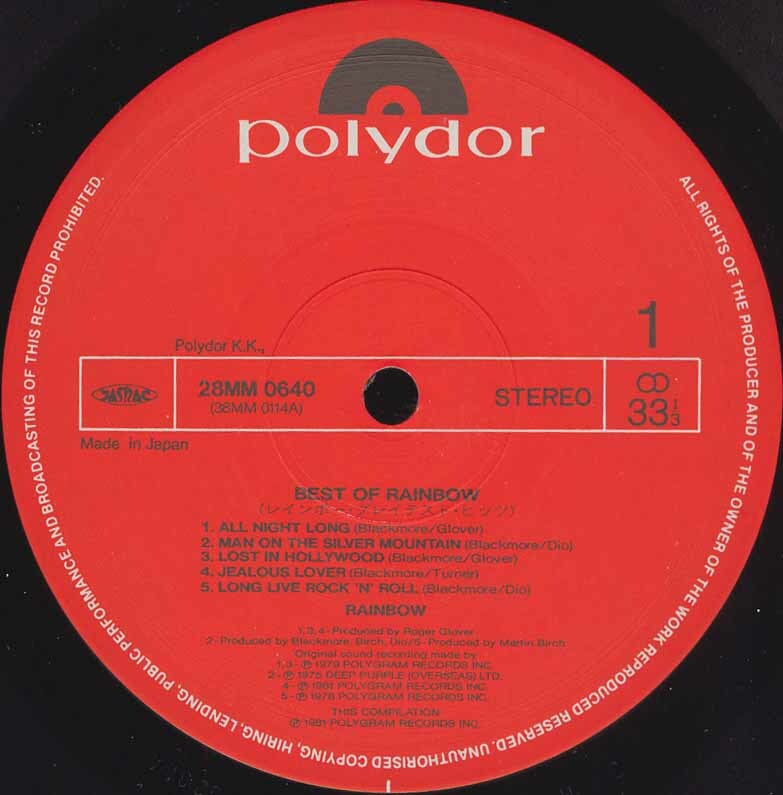 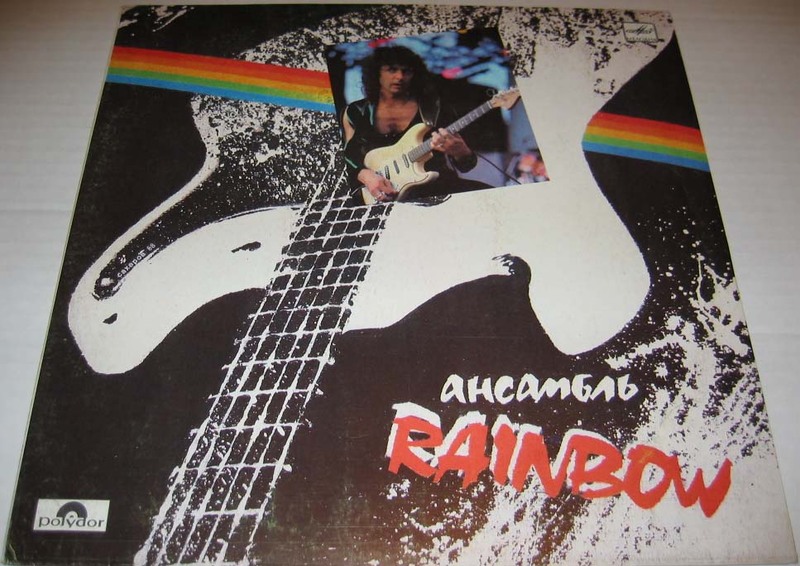 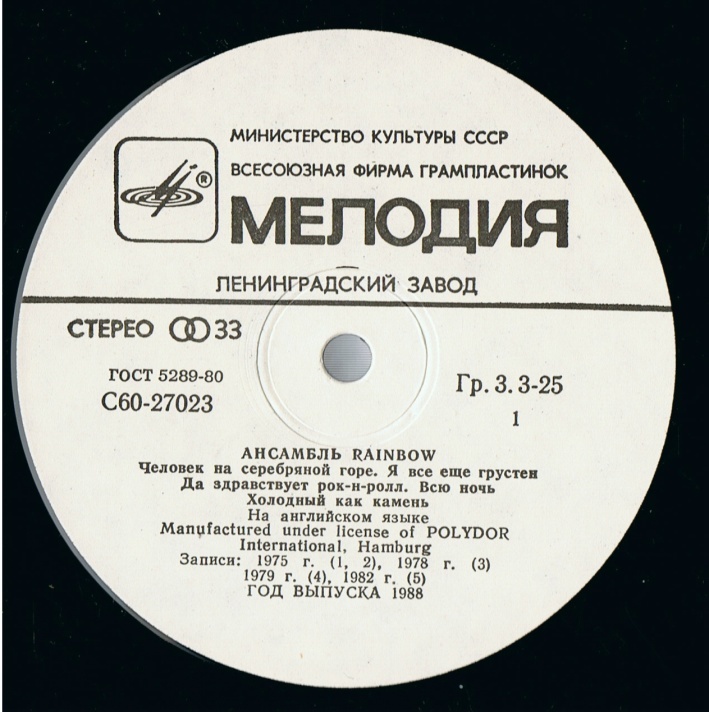 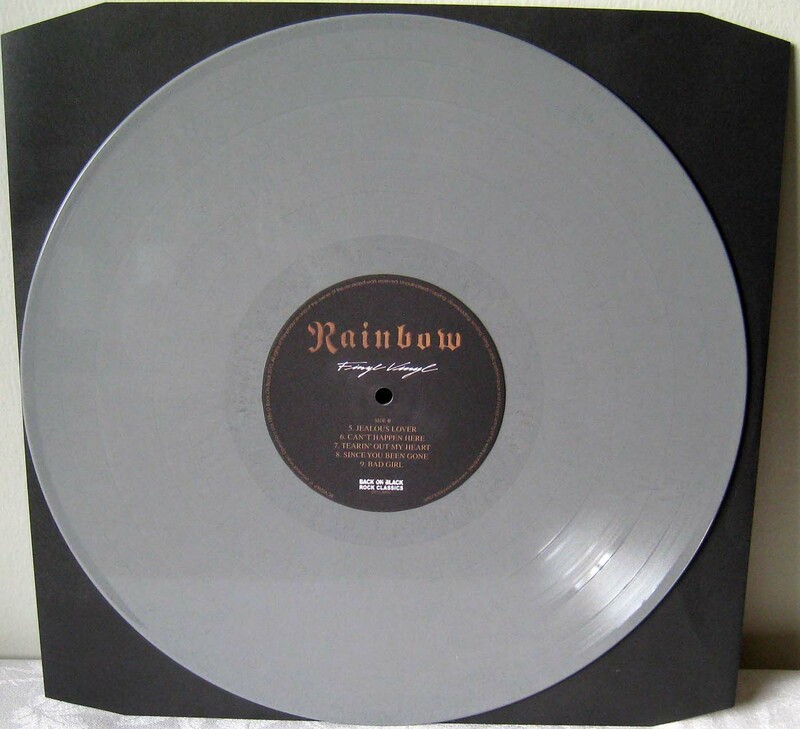 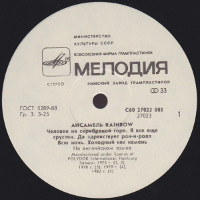 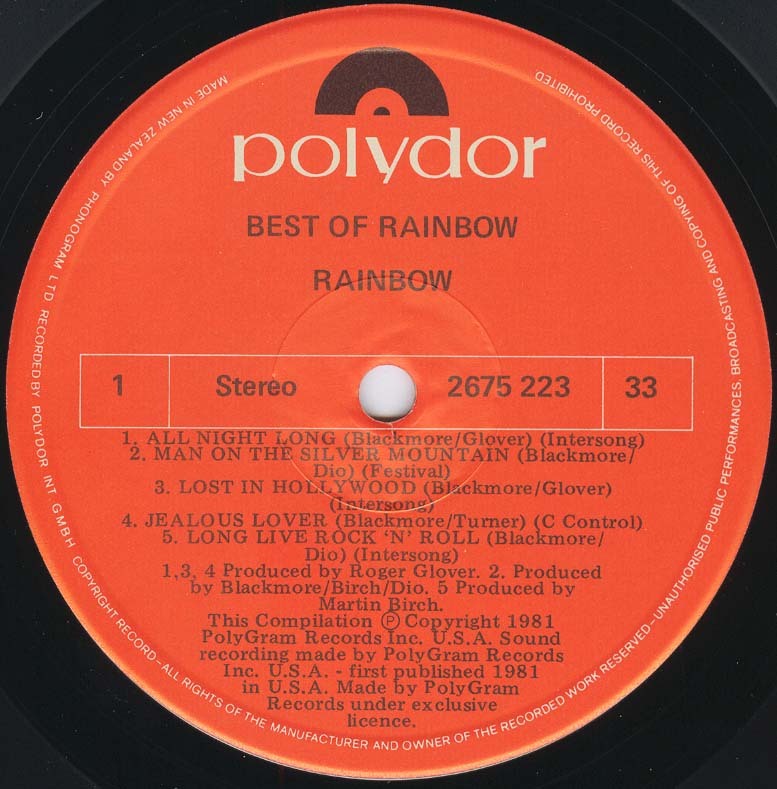 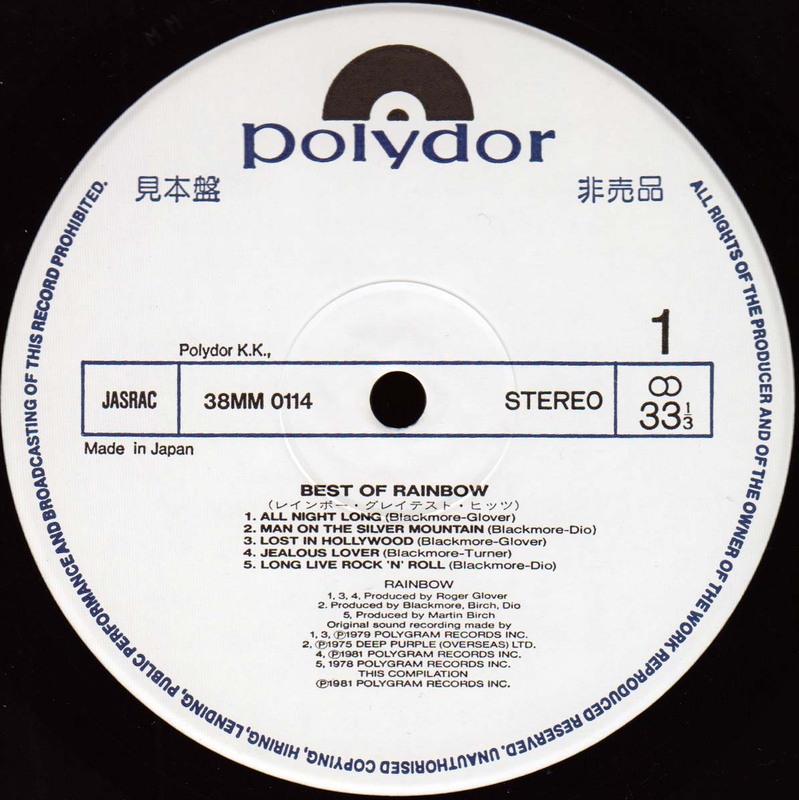 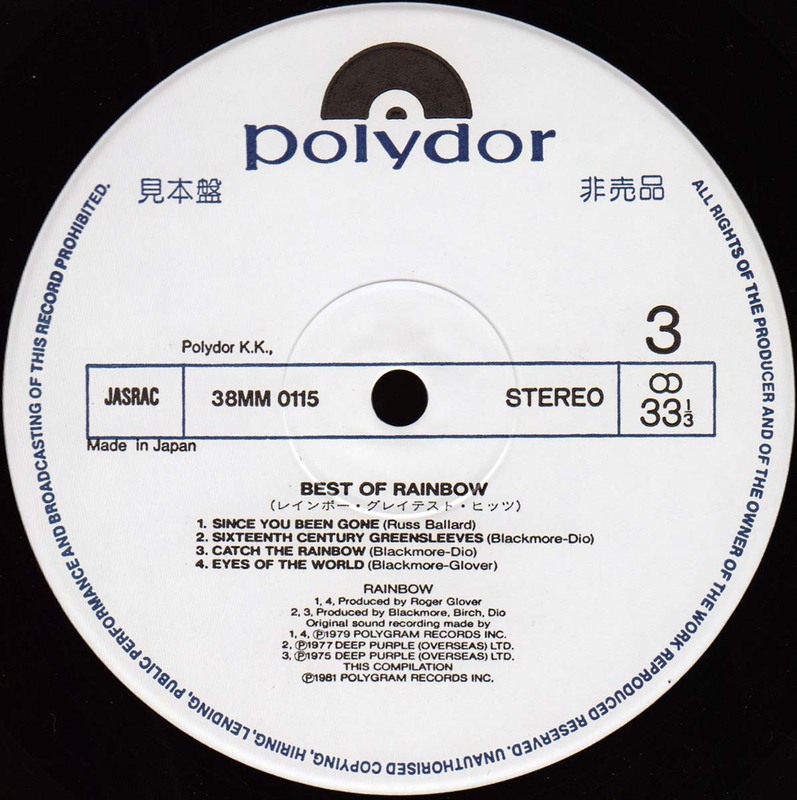 - Most of the texts are in Russian in Cyrillic alphabet, the title "The Best Of Rainbow" is usually used with this album in various discographies. 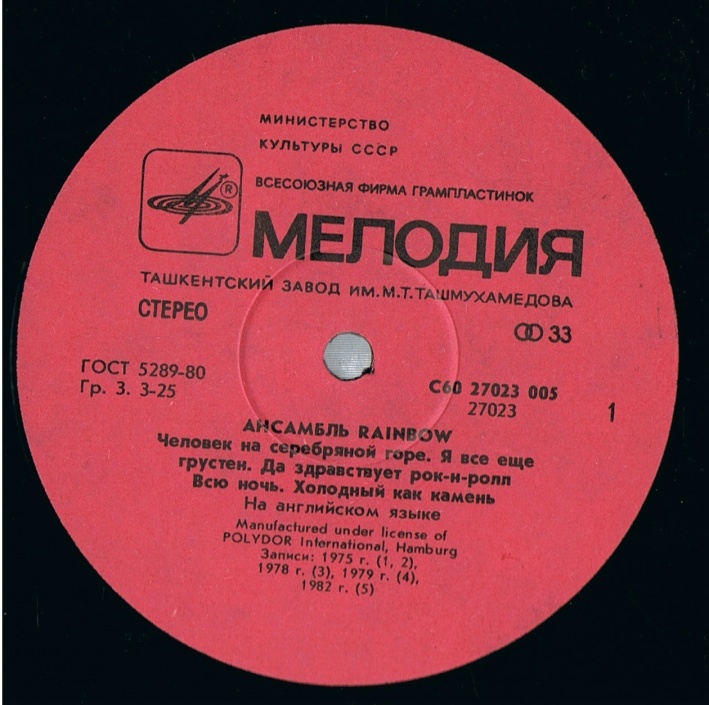 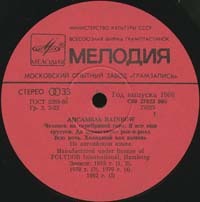 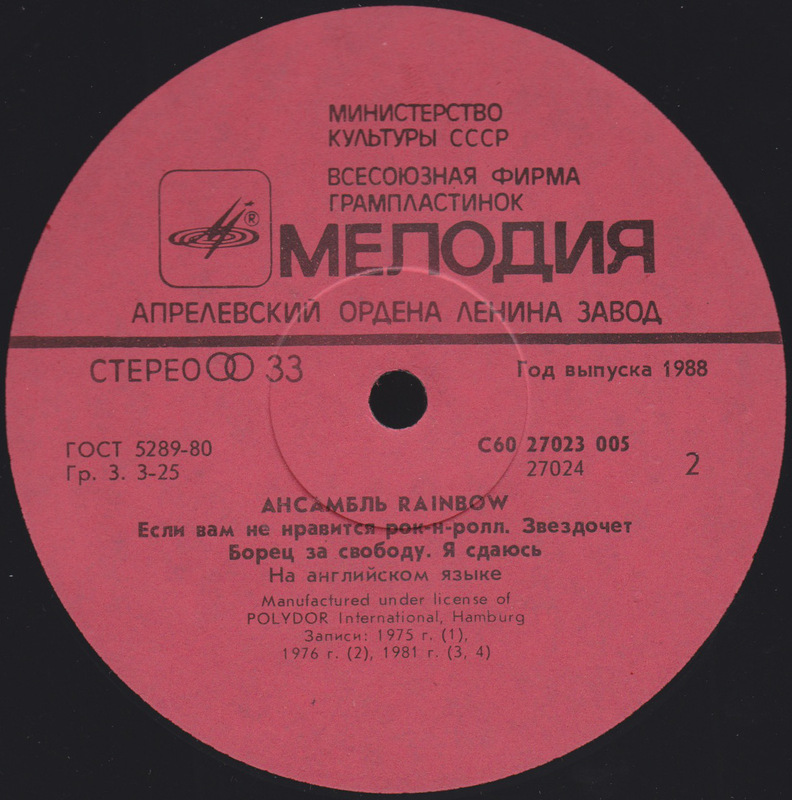 - Pressed at Leningrad pressing plant. 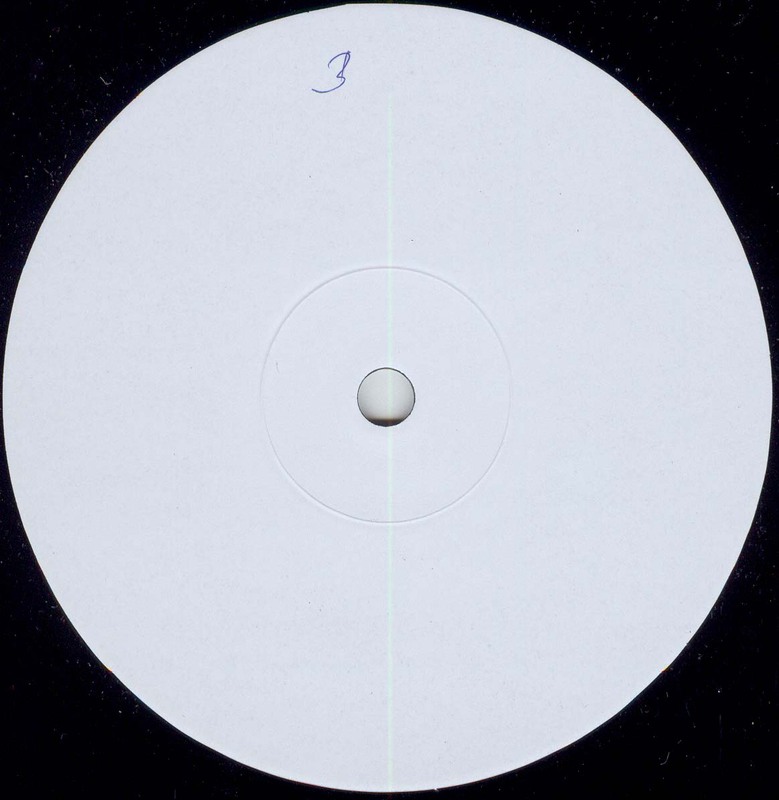 - Pressed at Aprelevska pressing plant. 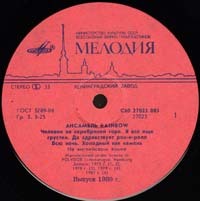 - Pressed at Riga pressing plant. 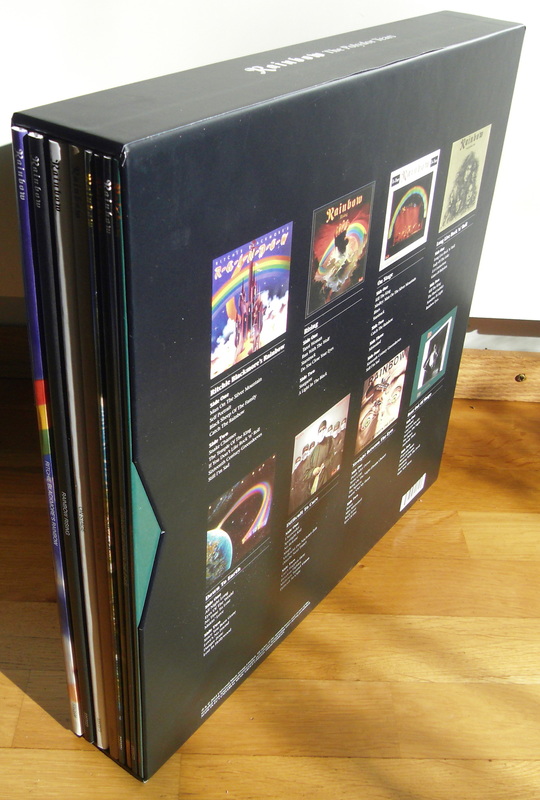 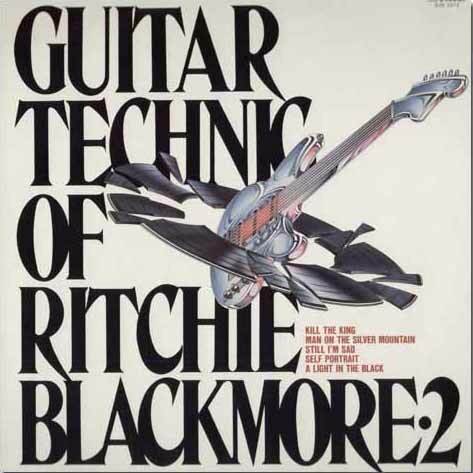 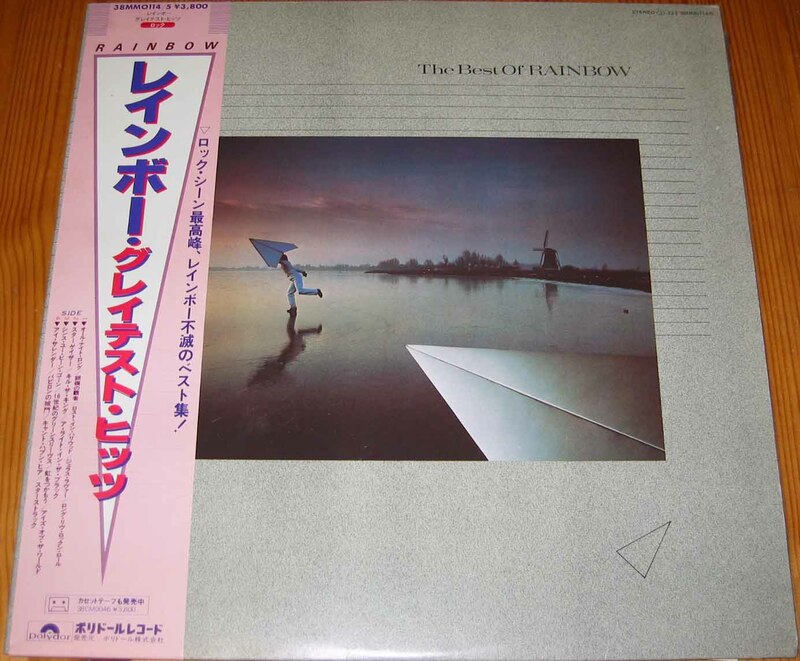 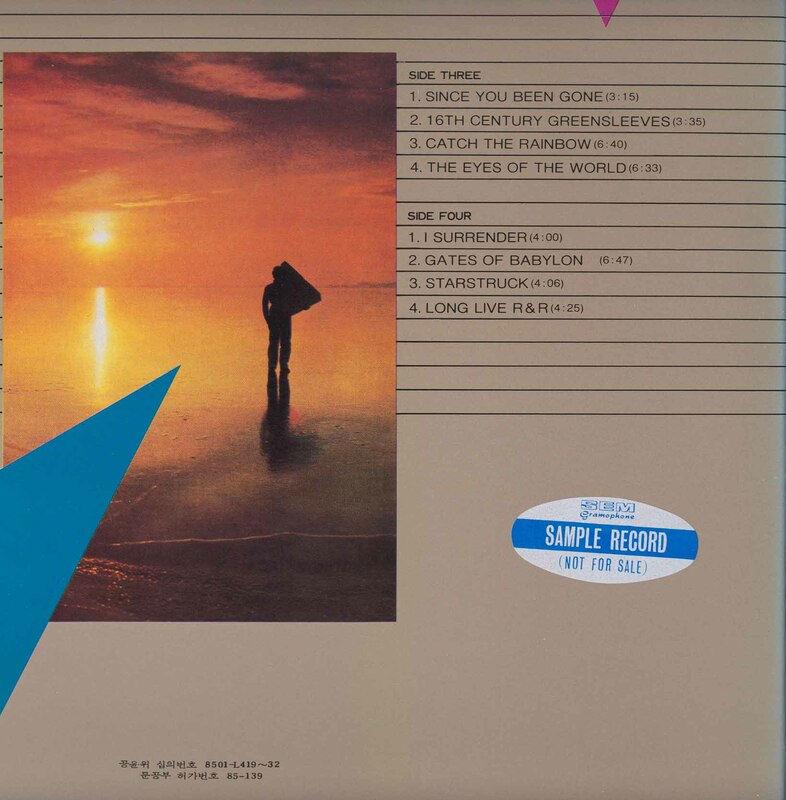 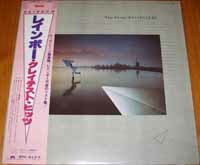 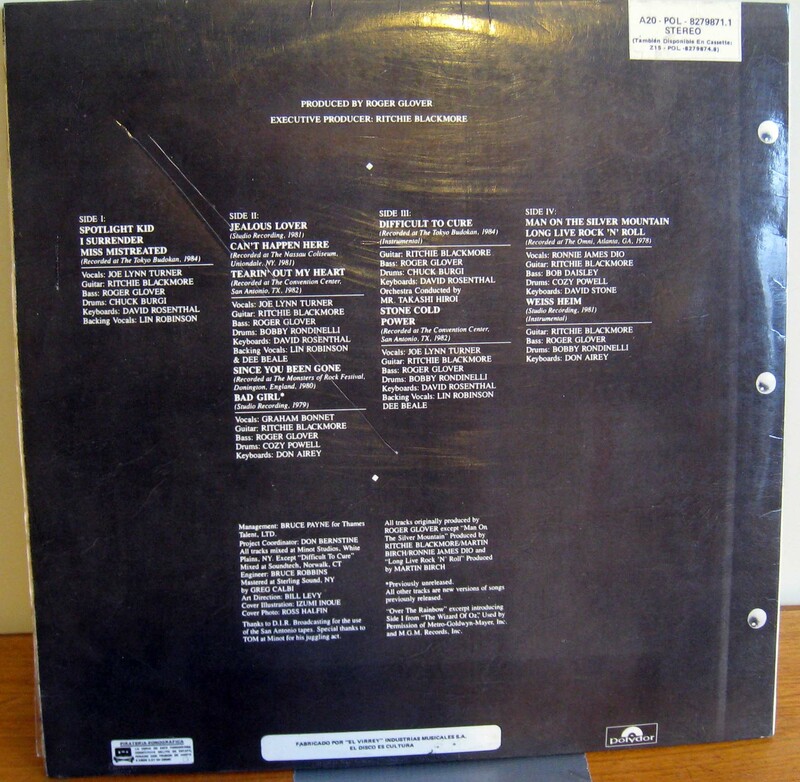 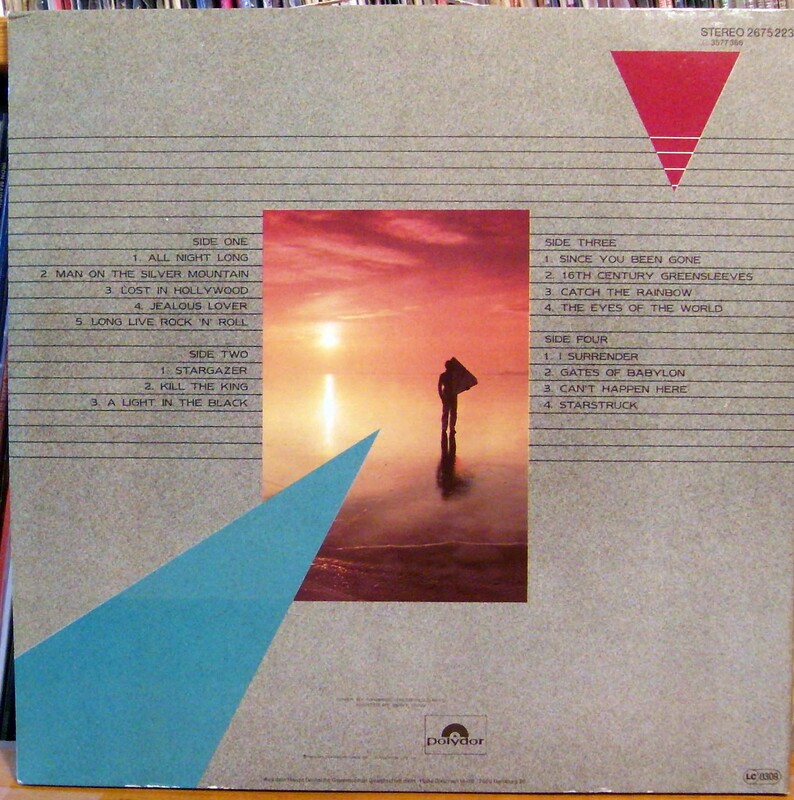 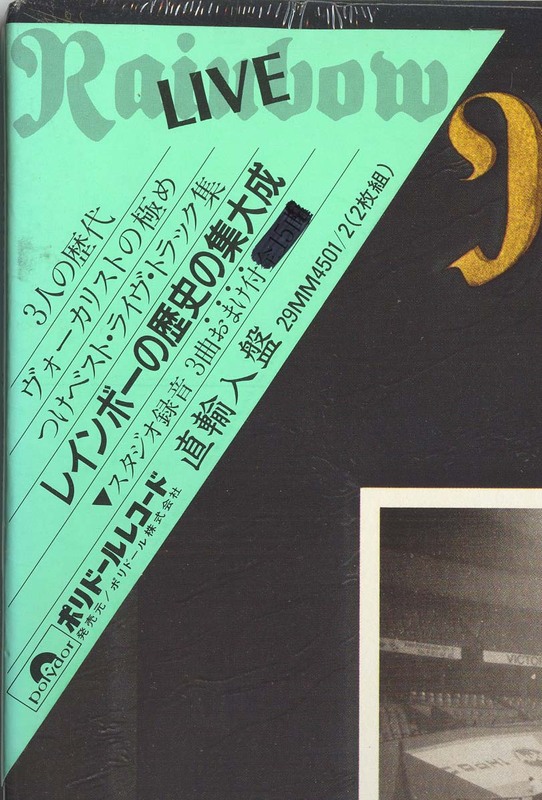 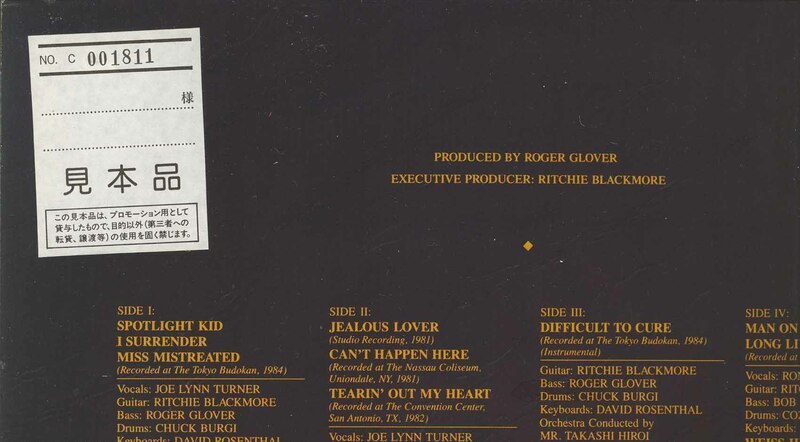 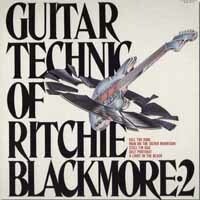 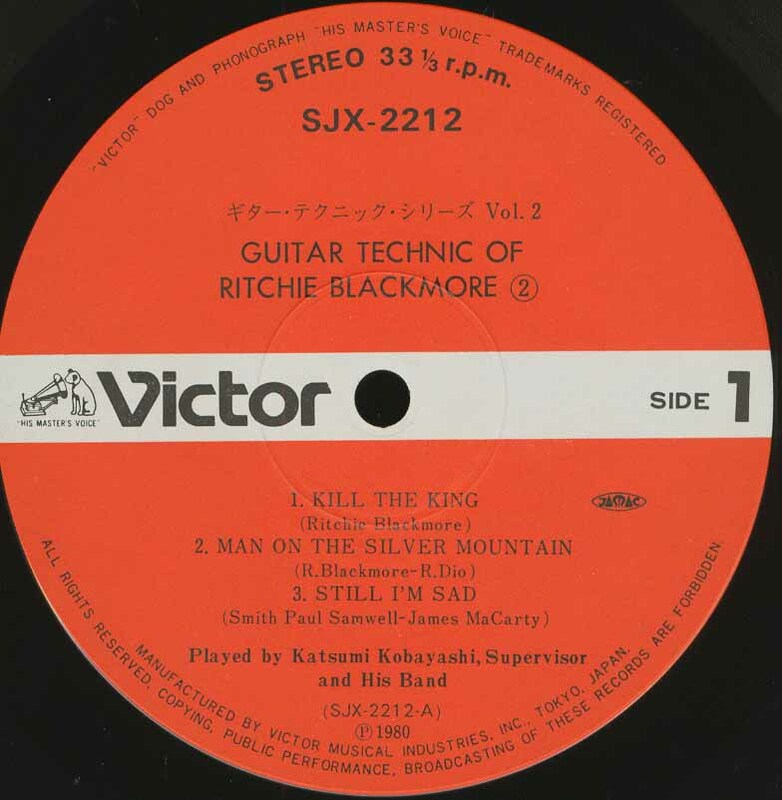 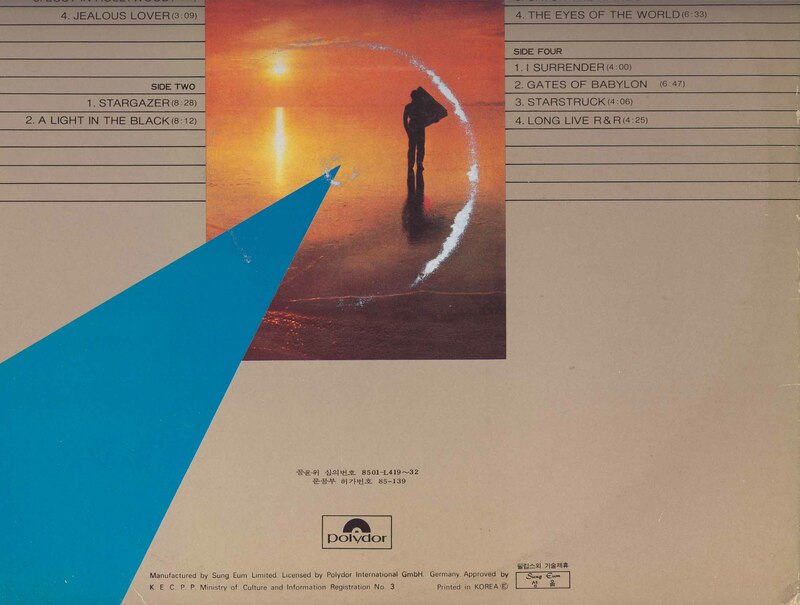 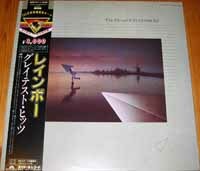 - Sleeve catalog number is 827 987-1, 1st LP is 827 988-1 and 2nd LP is 827 989-1. 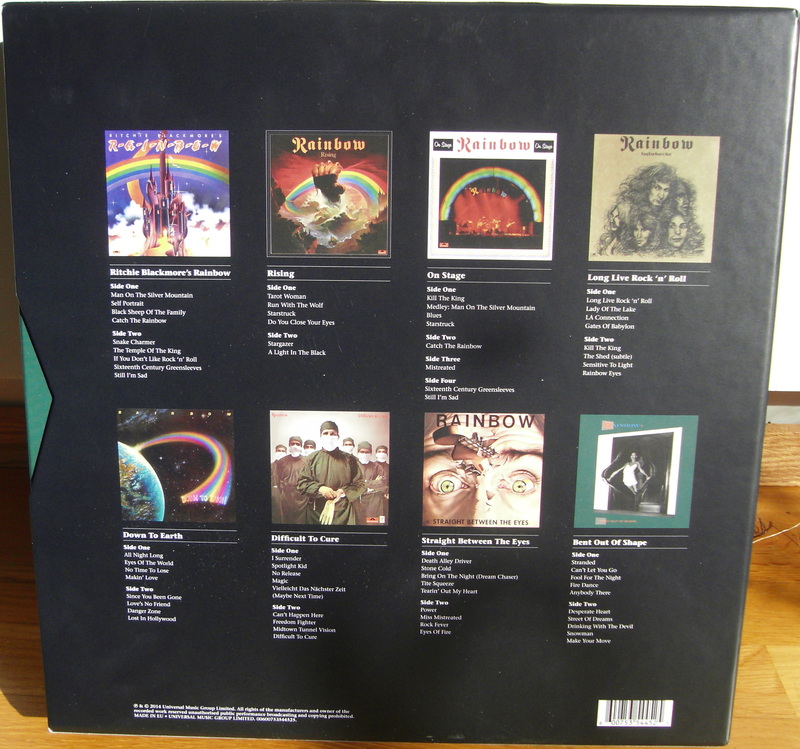 - At least some copies originally include a sticker attached on the front sleeve. 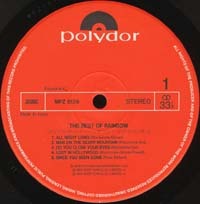 - Click here for front side of the title strip. 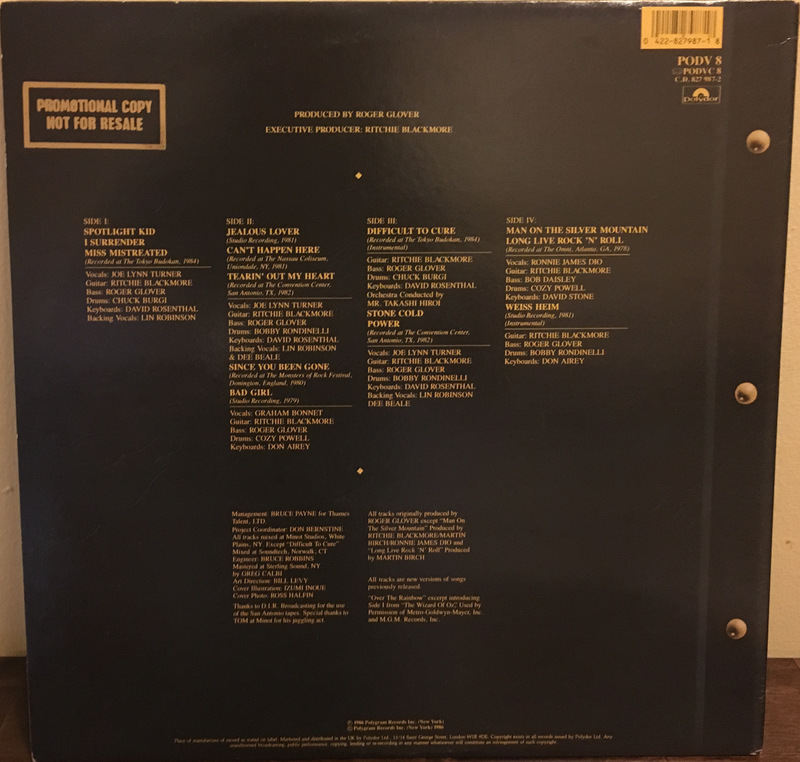 - Click here for back side of the title strip. 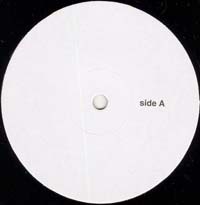 - Click here for the sticker picture. 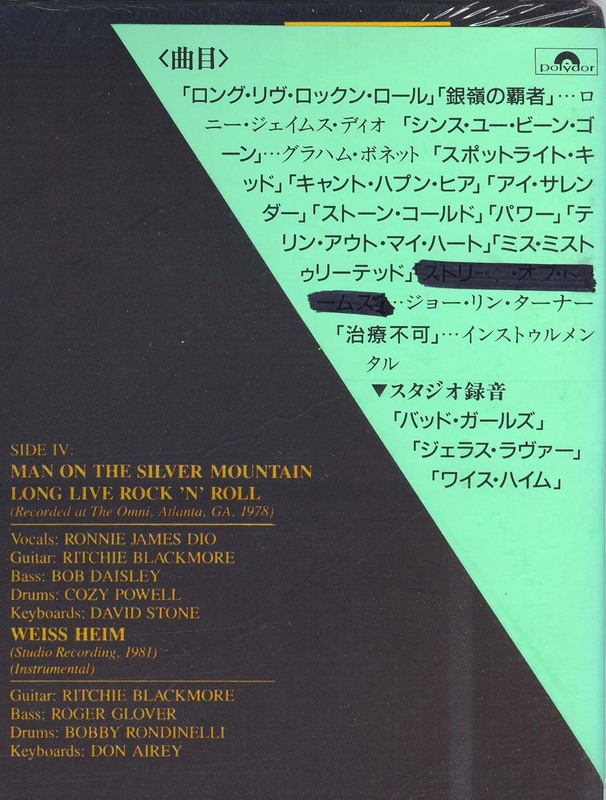 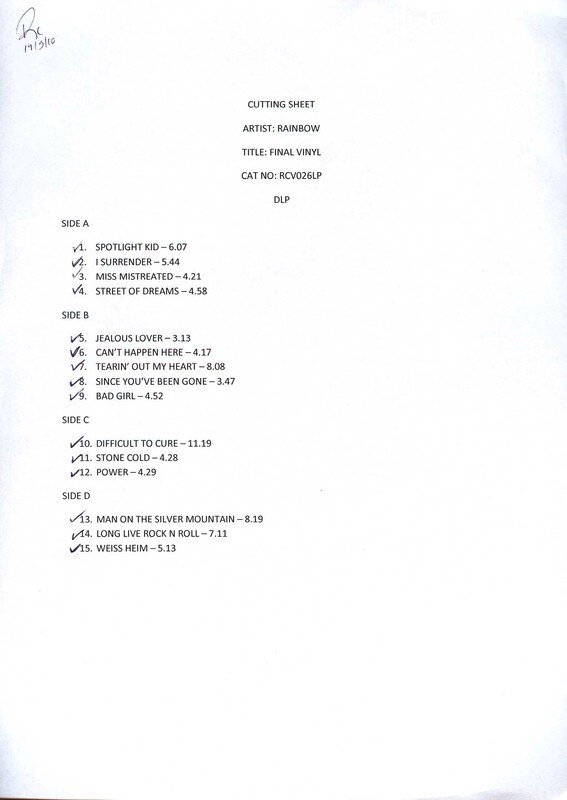 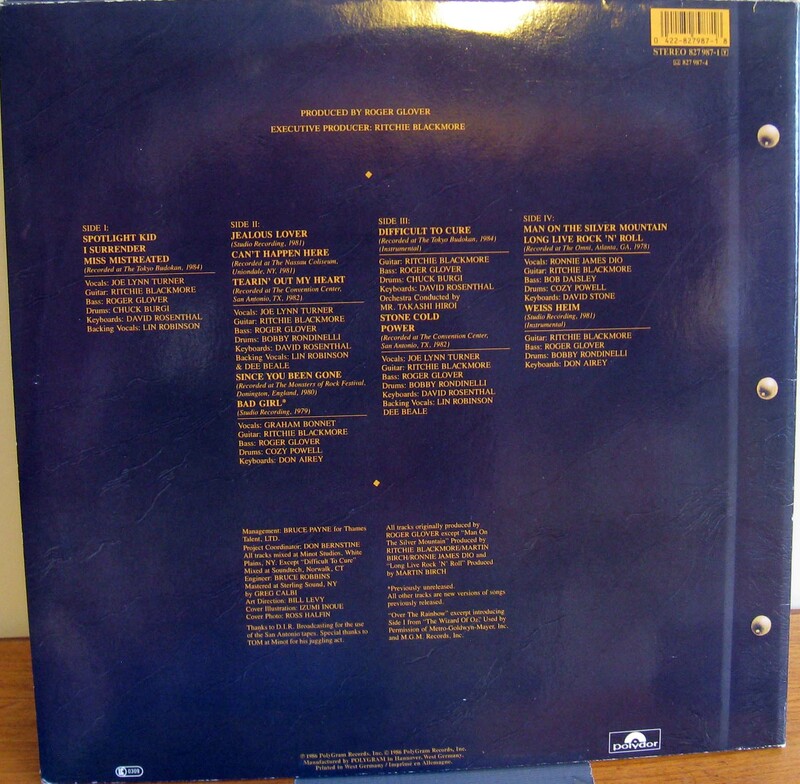 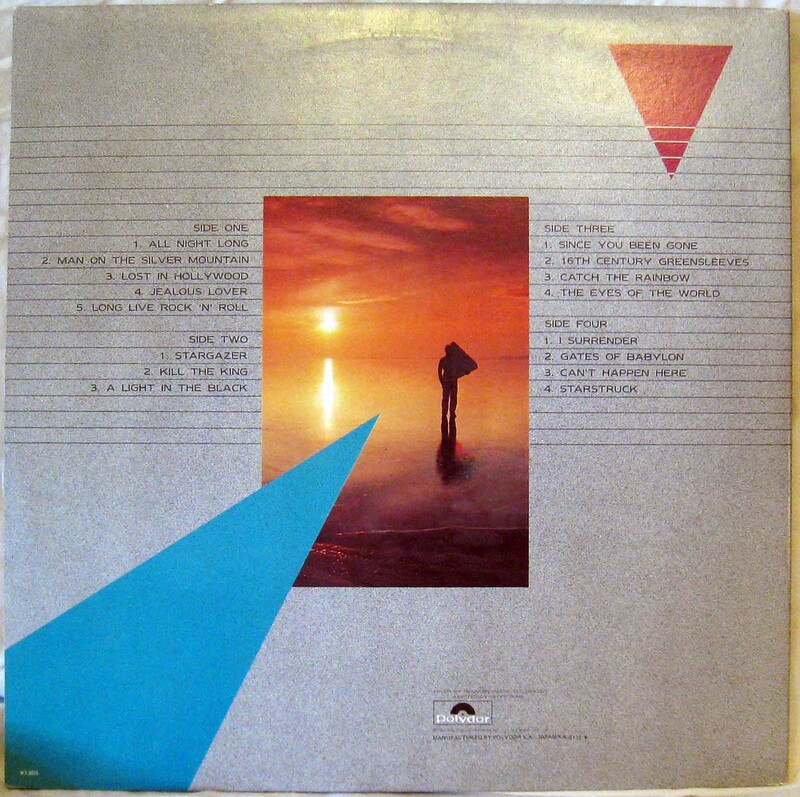 Sides A-J include Ronnie James Dio on vocals. - Click here for front side view of the box set. 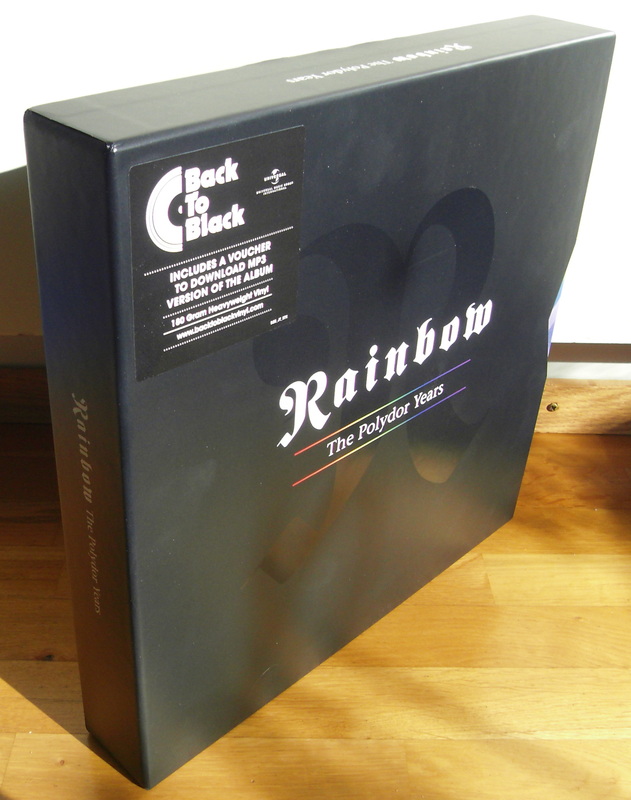 - Click here for back side view of the box set. 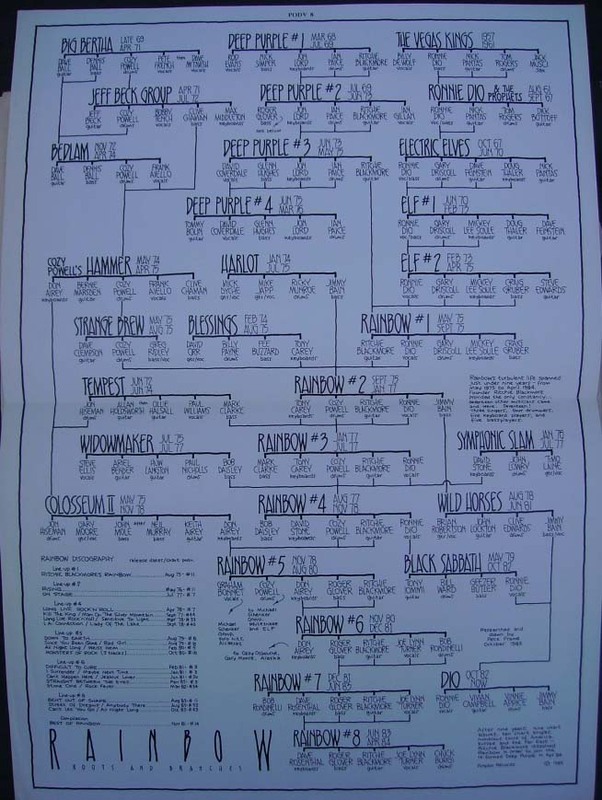 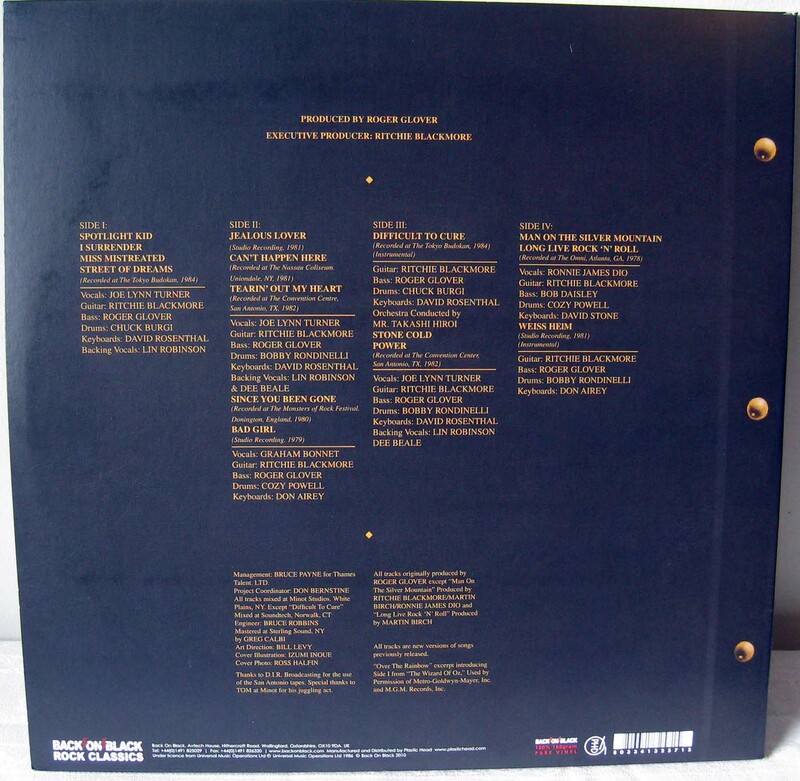 - Click here for picture of the back of the box set. 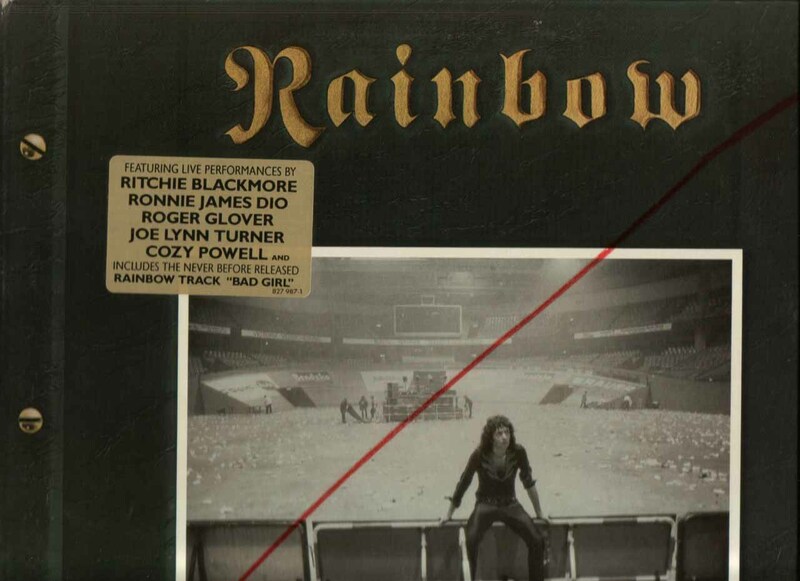 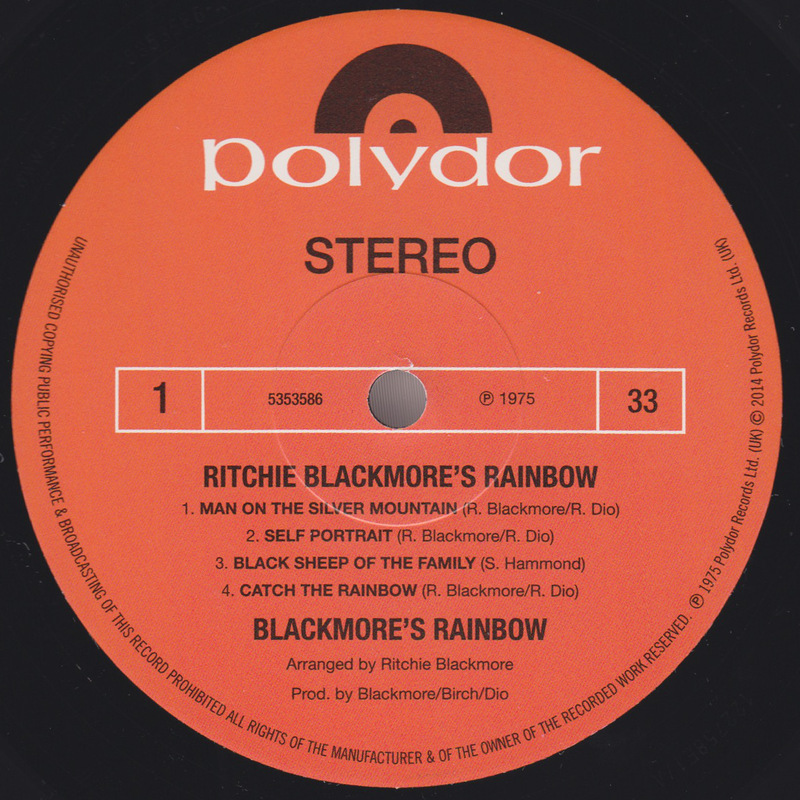 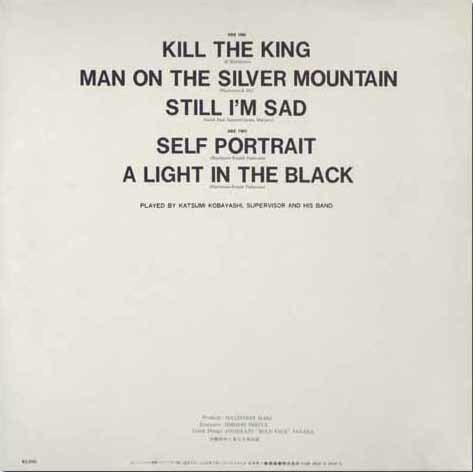 - (*) includes Ronnie James Dio on vocals. 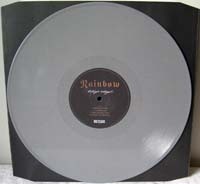 Printing on the front sleeve is in silver, not in gold as it shows in the picture here.